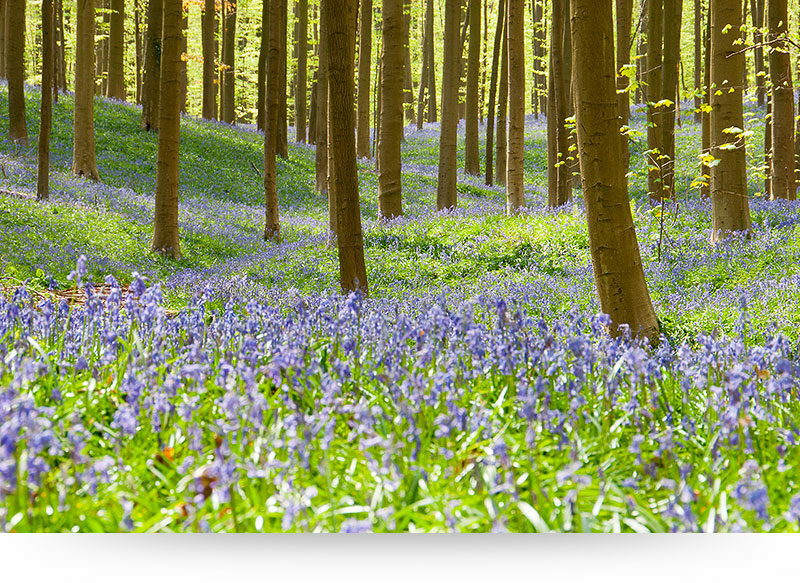 Millions of visitors flock to this amazing forest near Brussels every year, to bask in the beauty of the abundant wildflowers that cover the forest floor during spring. 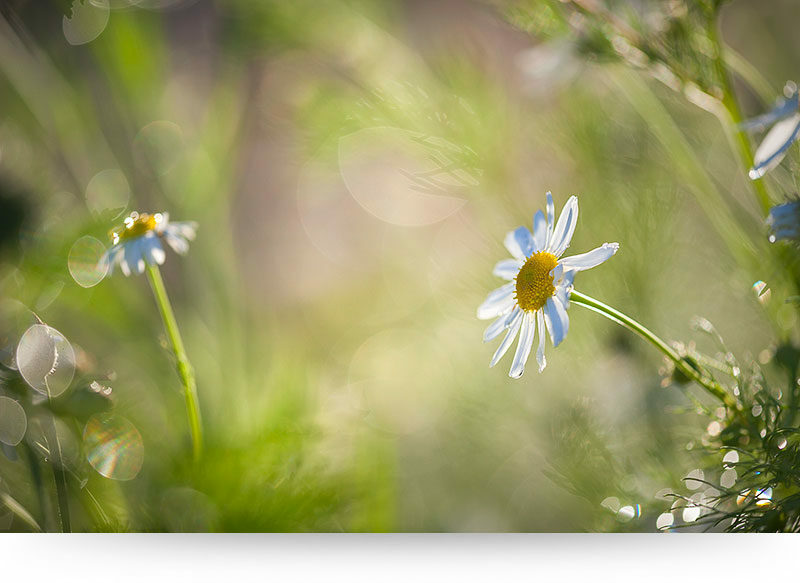 I love how the sunbeams hit the fresh green leaves and illuminate the wildflowers. 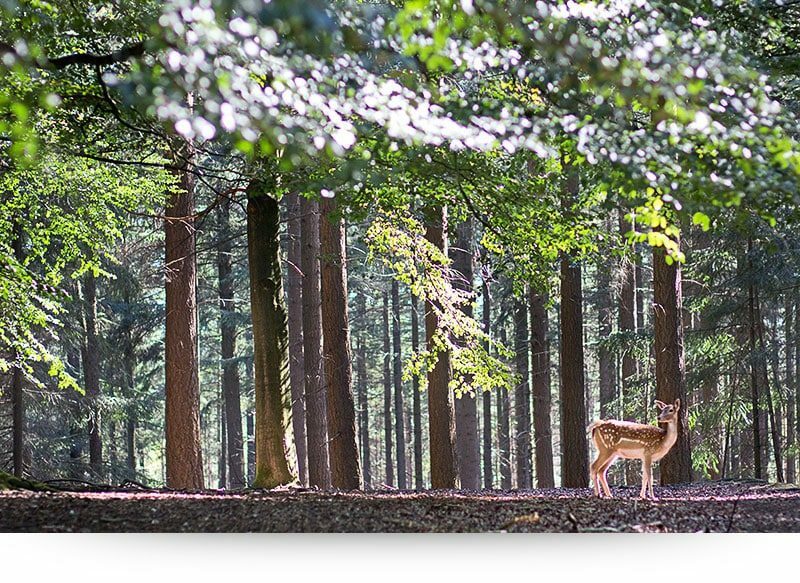 The name of this unique forest is ‘Hallerbos‘. 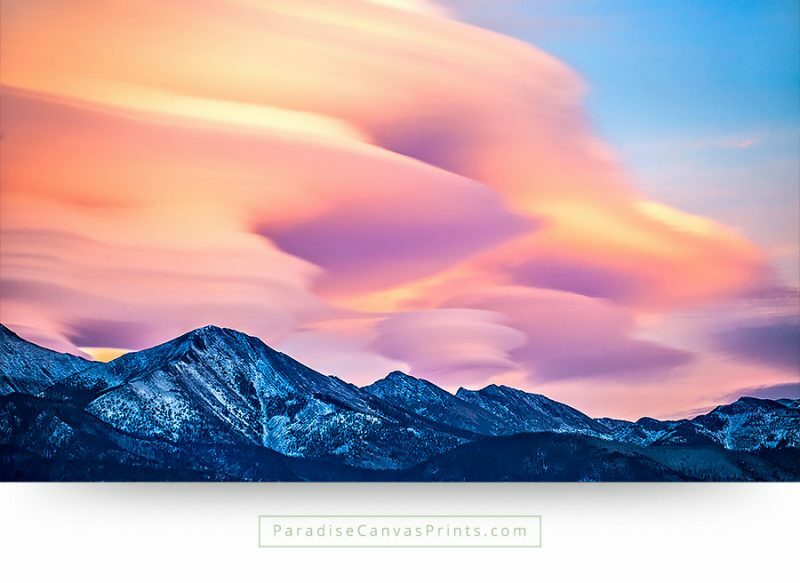 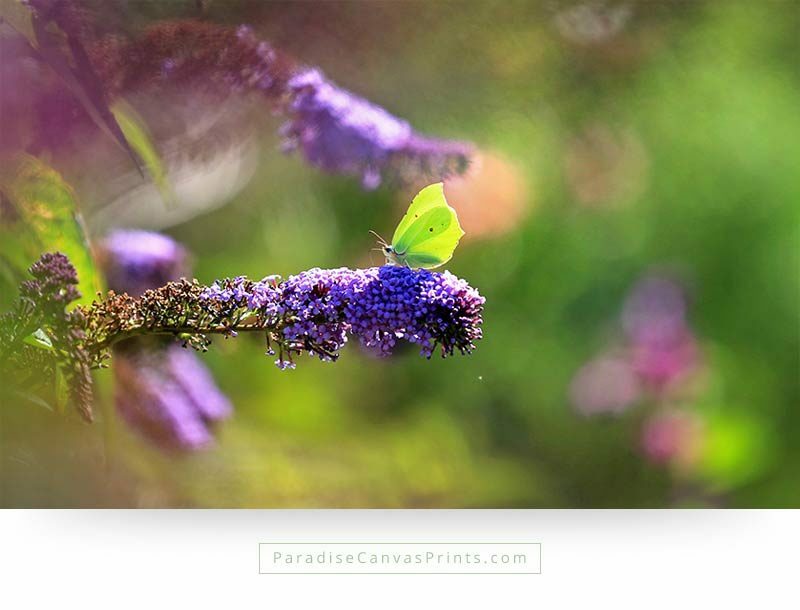 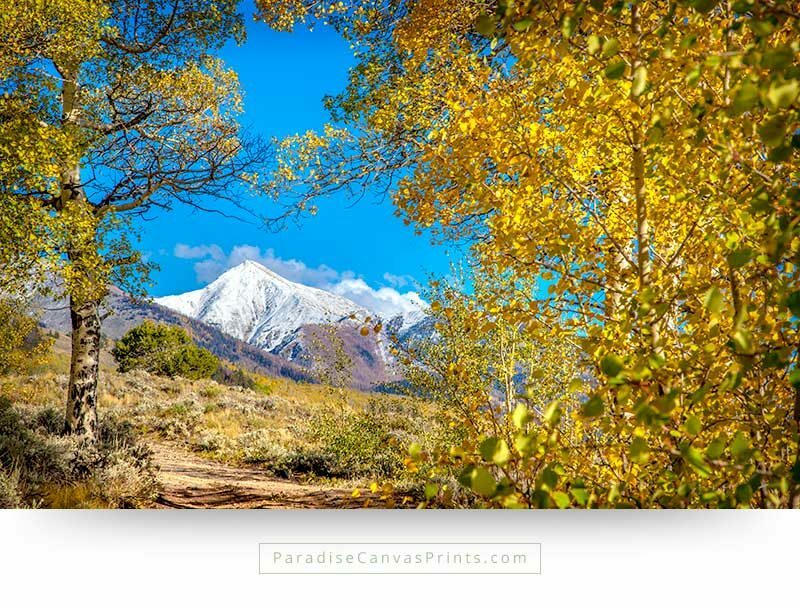 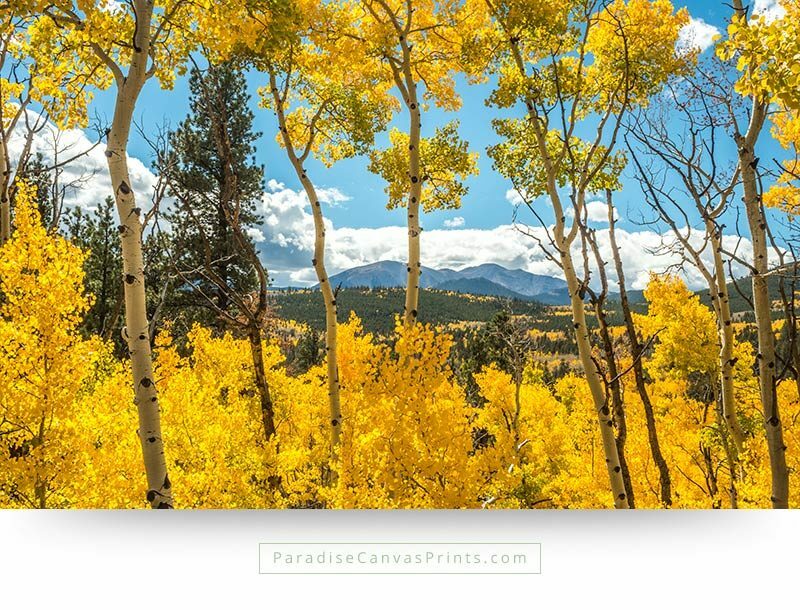 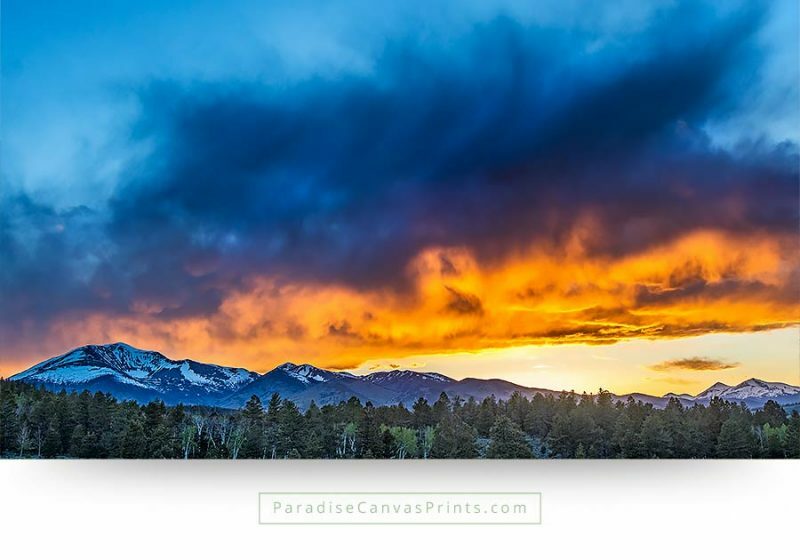 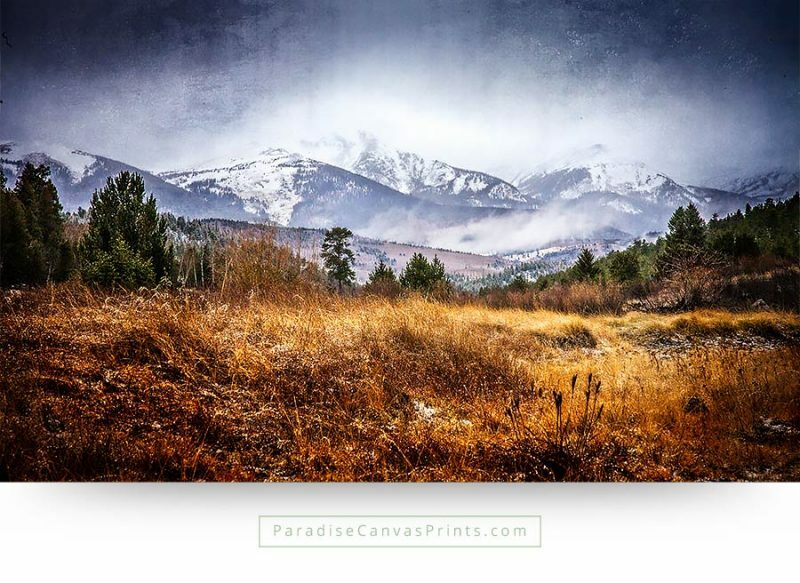 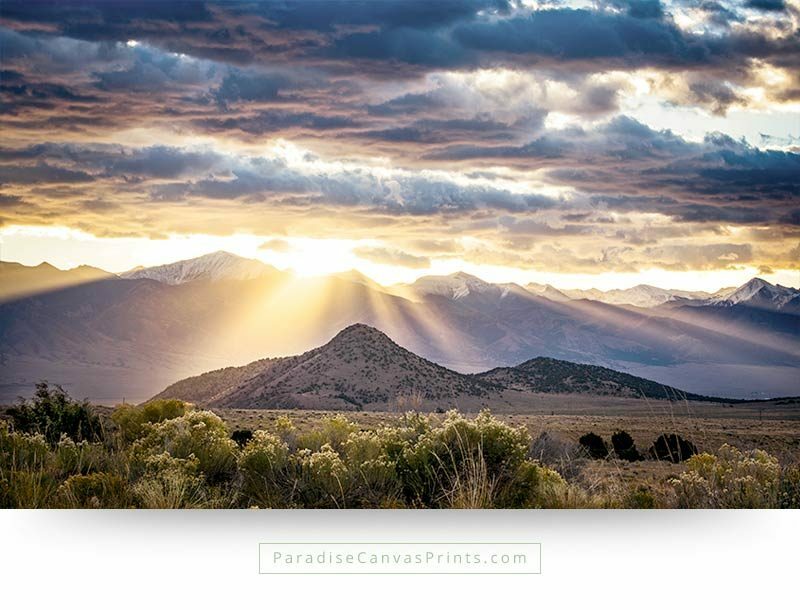 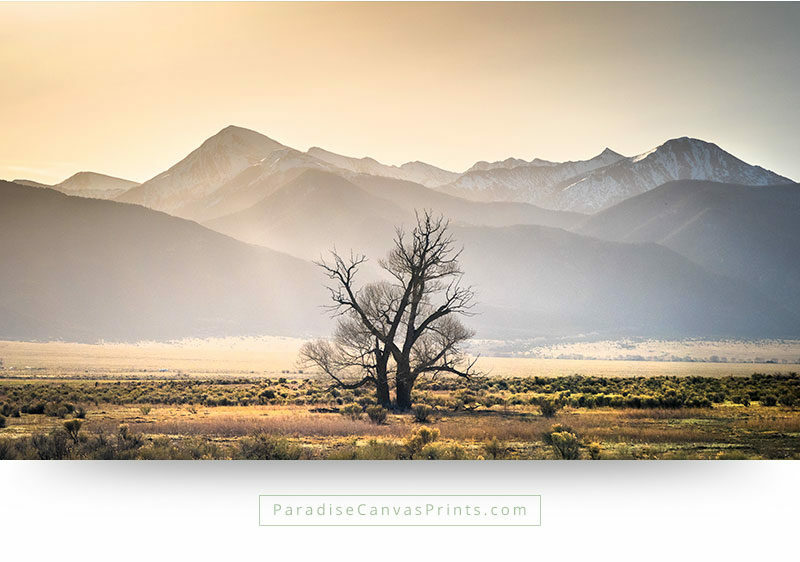 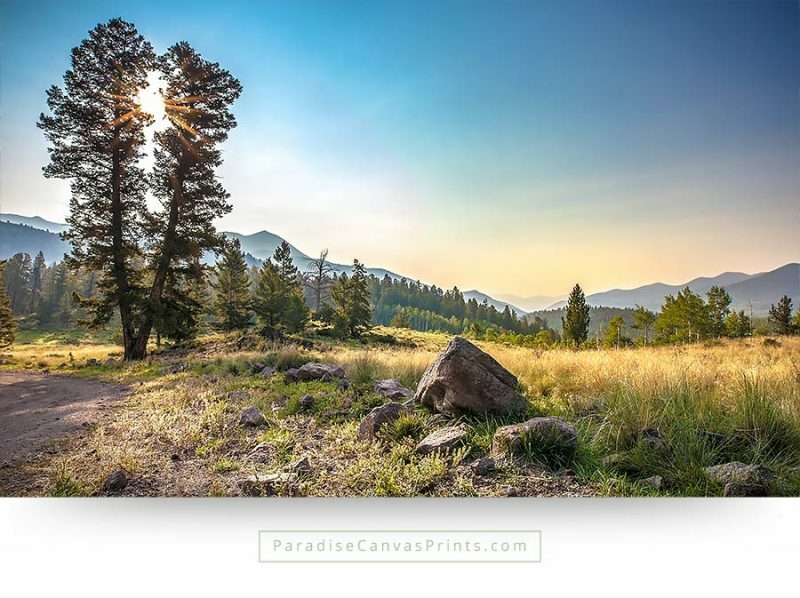 Buy this spectacular image as a large landscape canvas print and enjoy the astonishing beauty of Paradise, every day of your life! 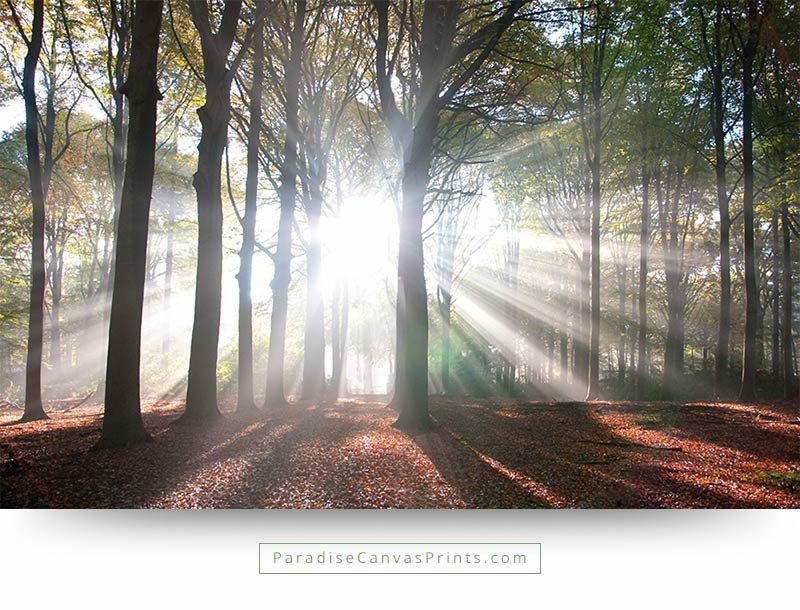 Colorful sun rays illuminate a forest with beautiful light, creating a peaceful and dreamy atmosphere. 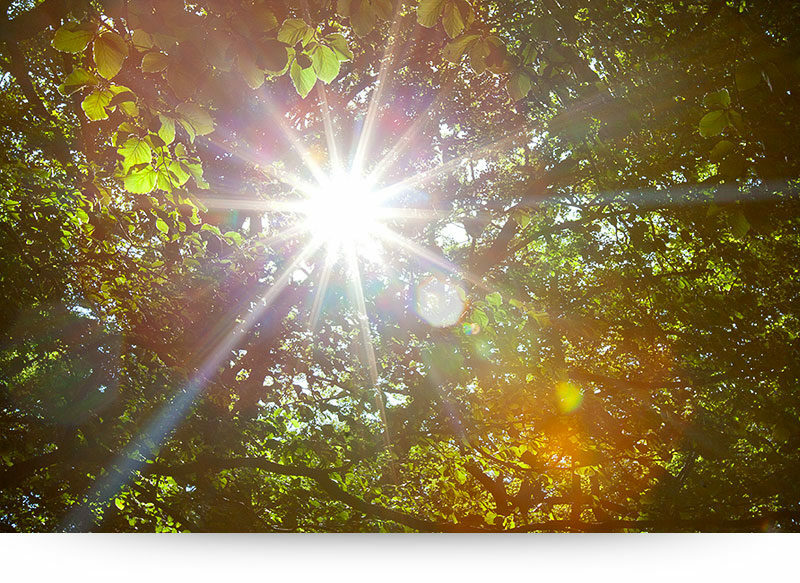 The lens flare from the camera adds a creative effect to the sun beams. 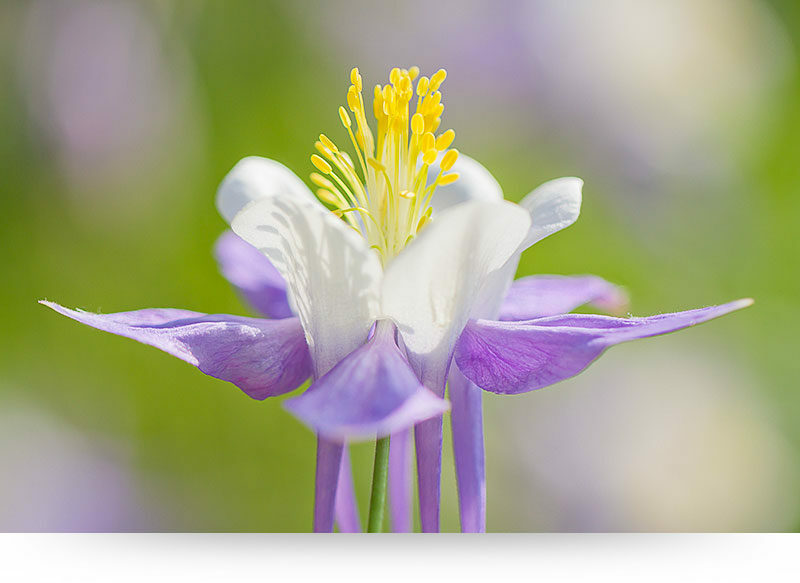 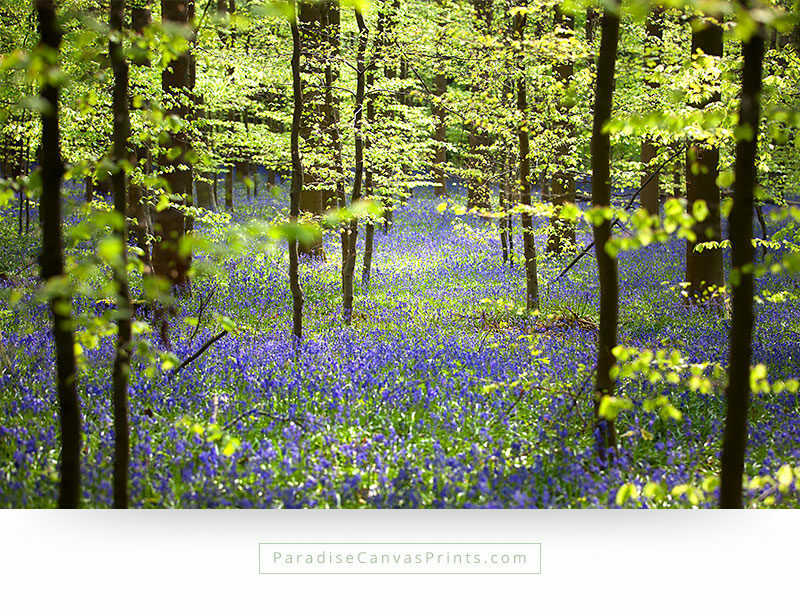 Young trees explode with brightly colored fresh leaves in the spring, creating a colorful work of art in harmony with the millions of purple wildflowers that cover the forest floor. 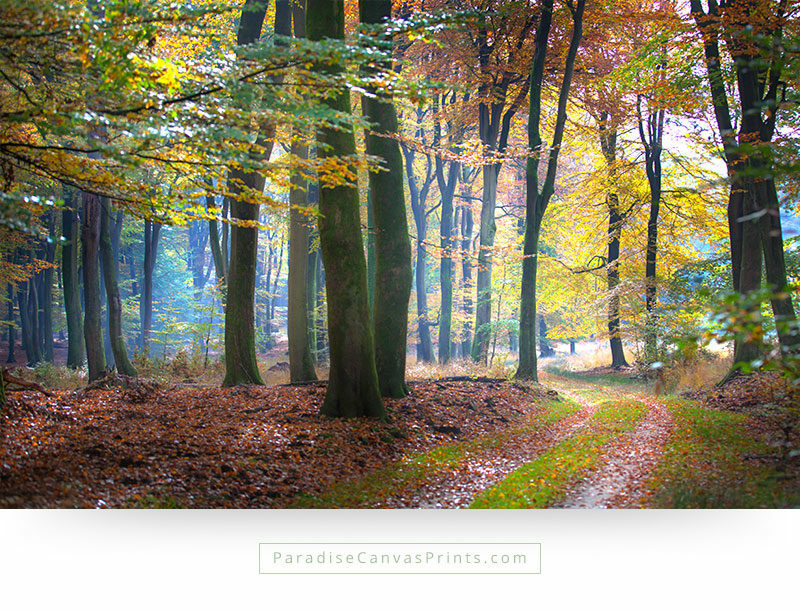 As I was wandering through the gloomy woods, I had no idea where I was going. 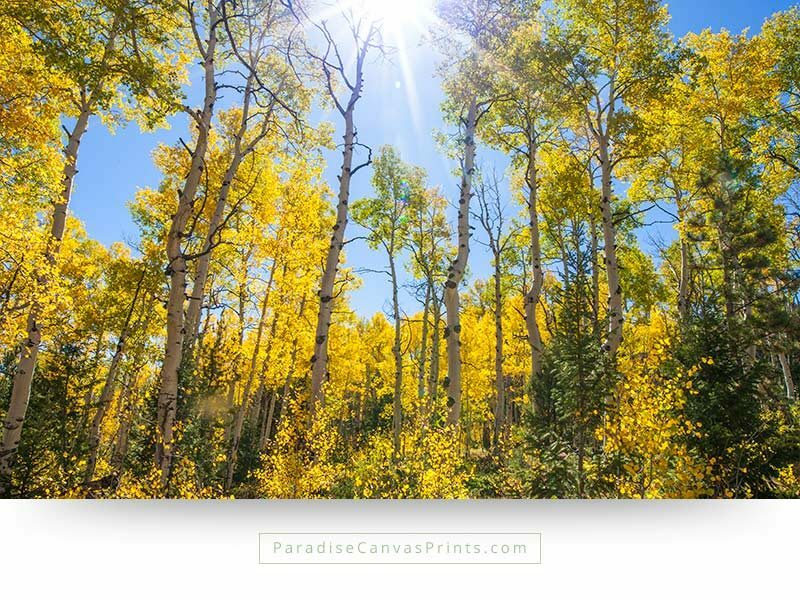 Yet it almost felt as if an invisible force was gently directing me… All of a sudden I found myself in an incredible place, where an explosion of intense sunlight bursted through the trees. 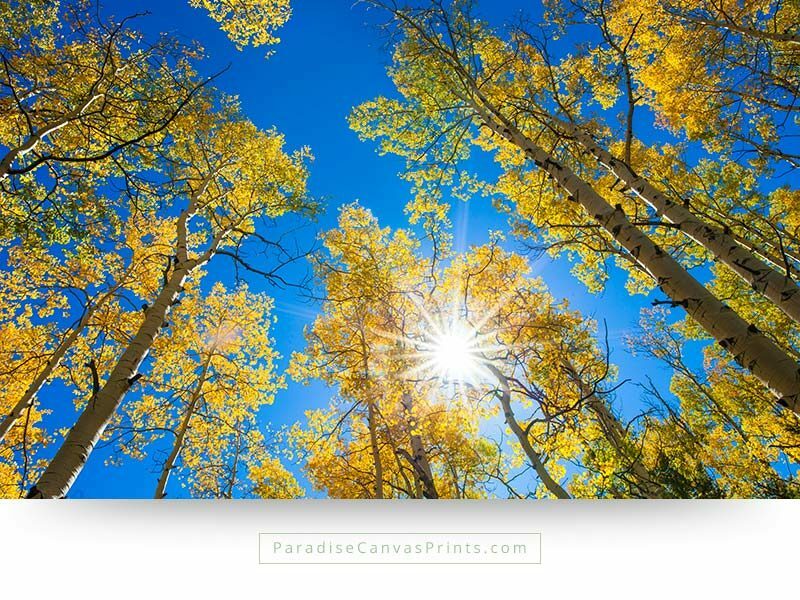 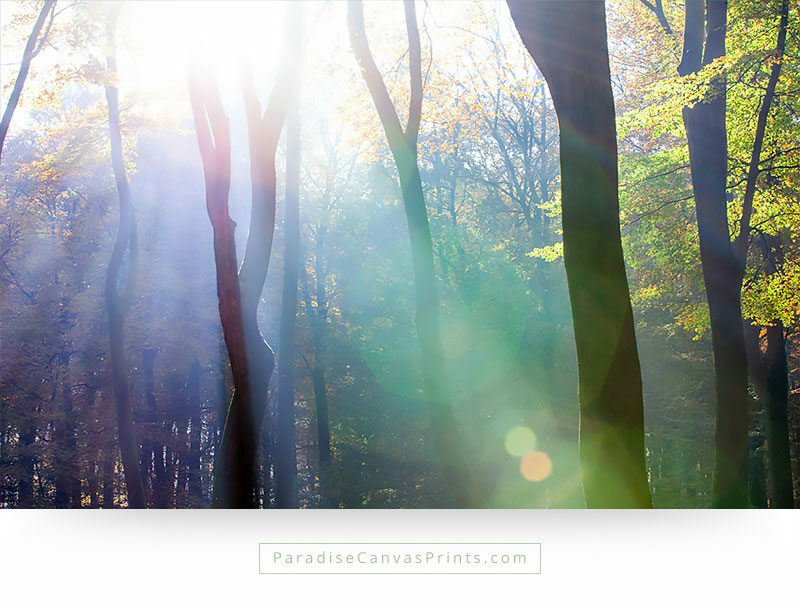 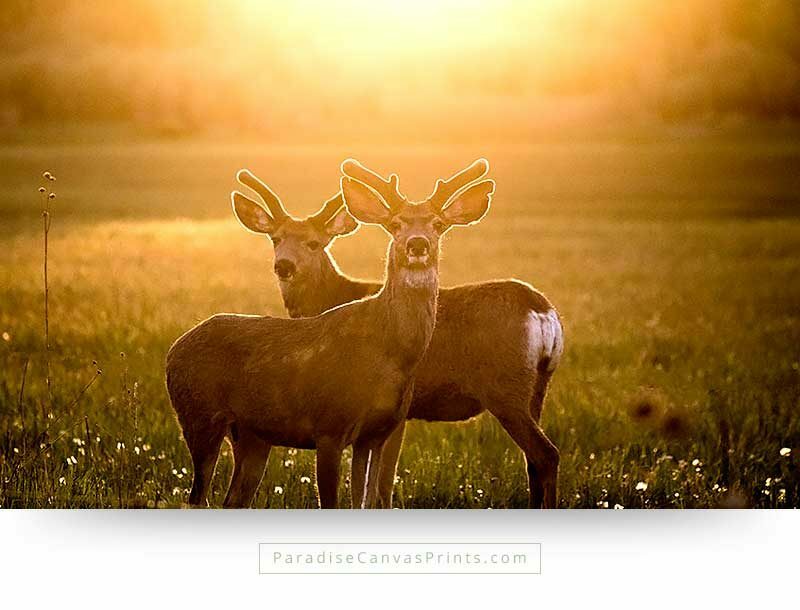 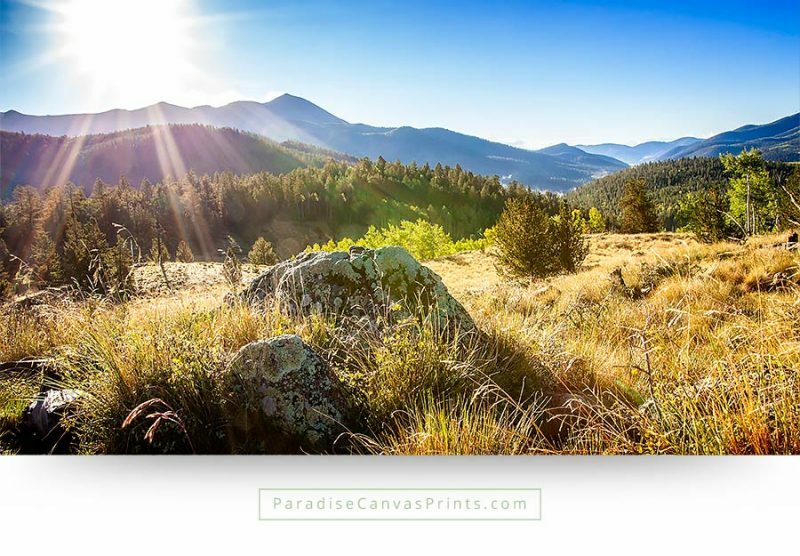 It was surreal and I couldn’t believe my eyes… Now you can bring this explosion of amazing sunlight in the forest in your home, on a large landscape canvas print. 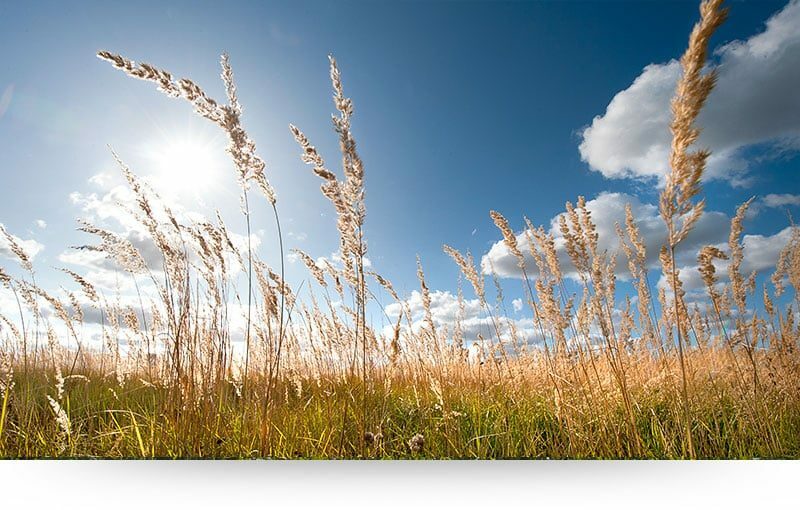 Landscape wall art of tall grass illuminated by the bright summer sun, with a beautiful blue sky and some white clouds. 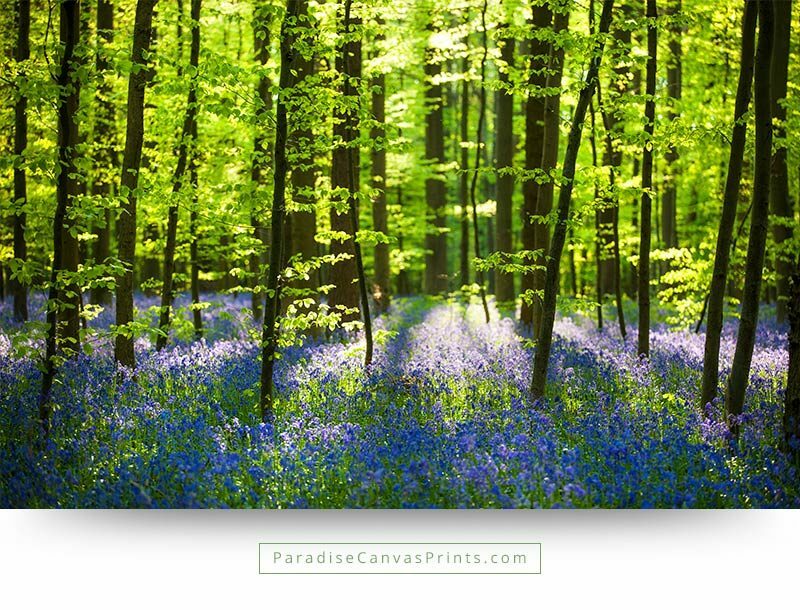 This wall art brings the feeling of spring or summer in your interior. 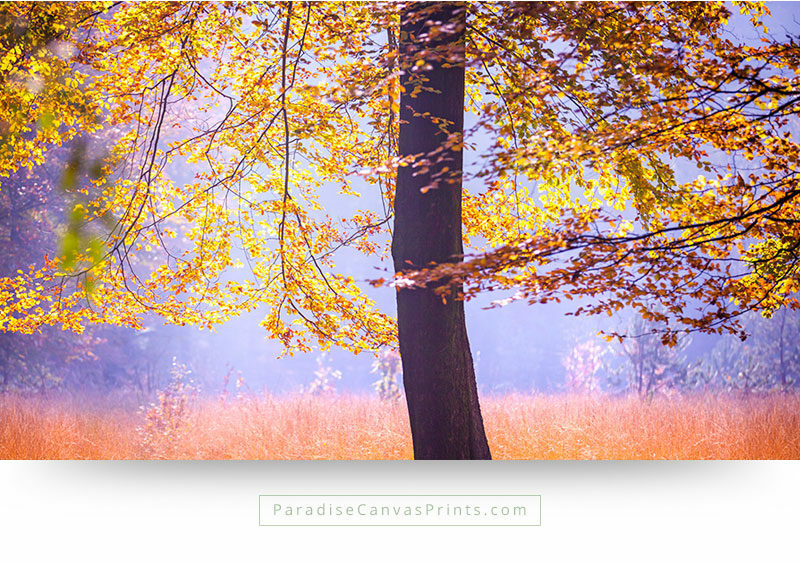 A beautiful tree in a golden meadow, covered with a blanket of mist, right before sunset. 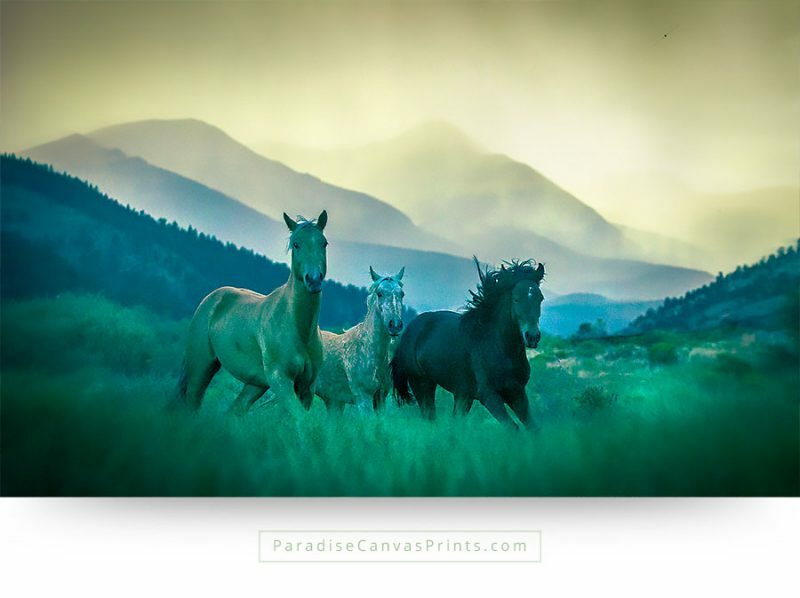 The color of the setting sun colors the grass almost golden, and the mist creates a serene atmosphere. 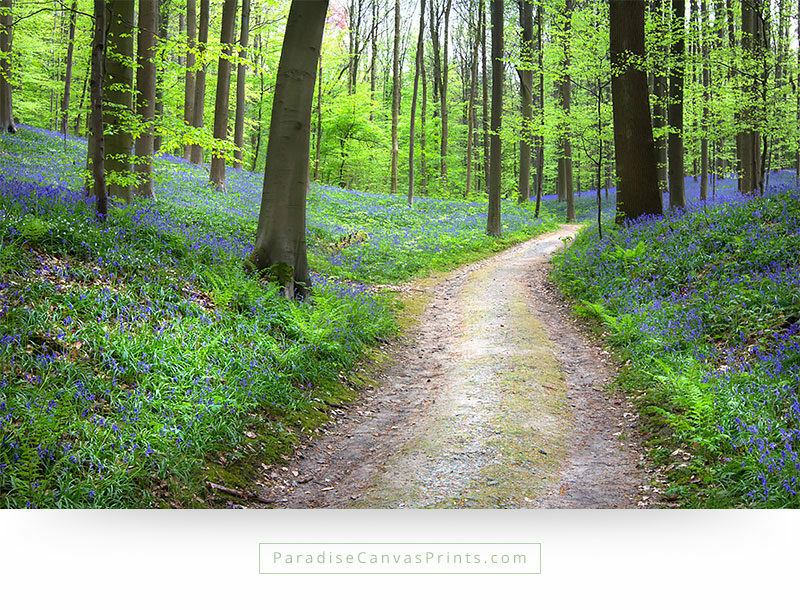 A path that winds its way through a beautiful spring forest, covered with millions of colorful wildflowers. 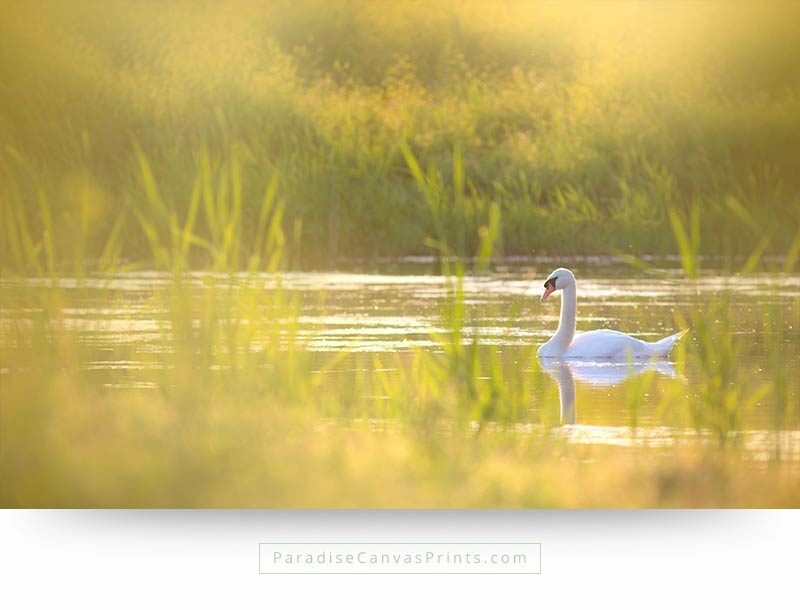 This scene emits a feeling of peace, comfort and discovery. 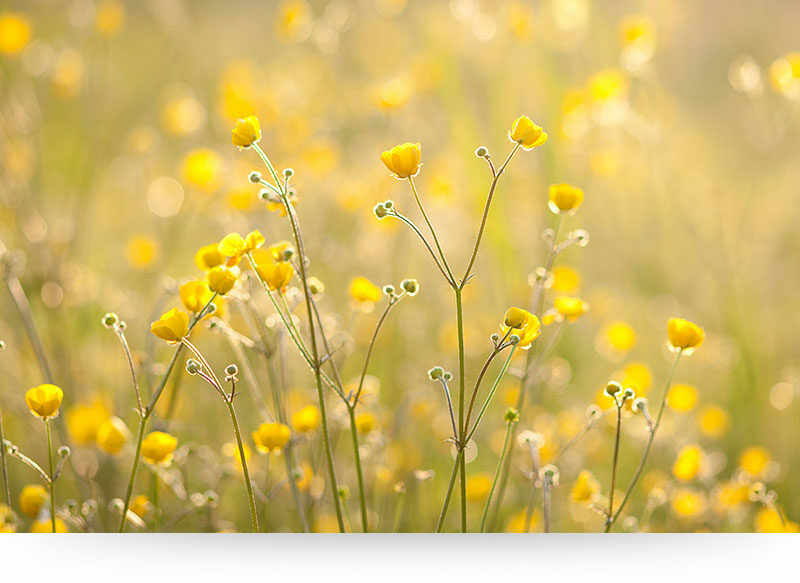 A field of yellow flowers is lit up by the powerful light of the summer sun. 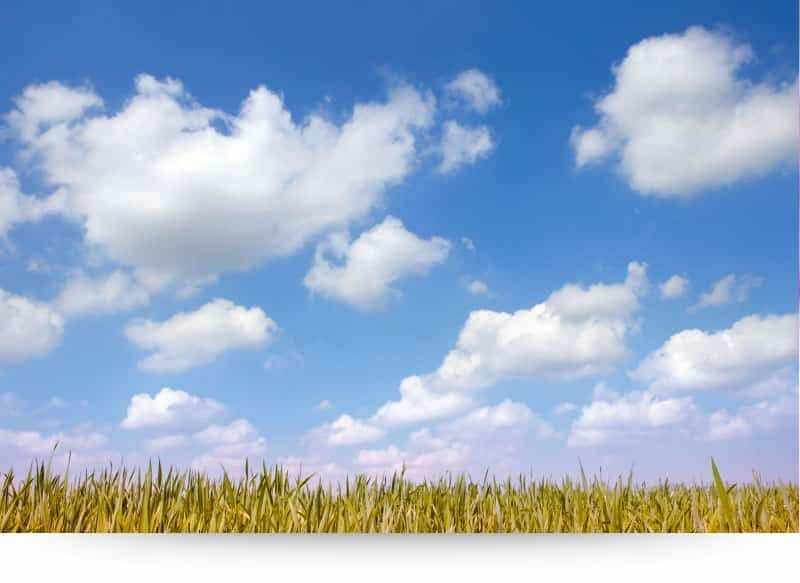 Pretty white clouds decorate a beautiful blue sky. 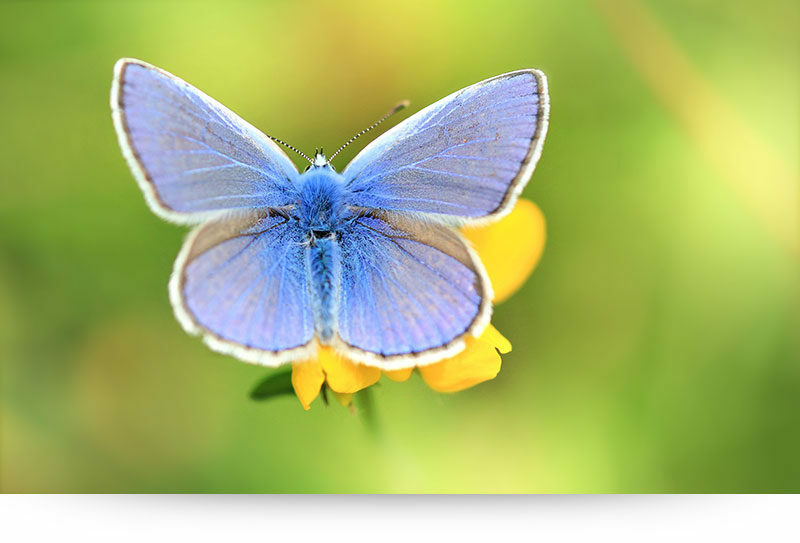 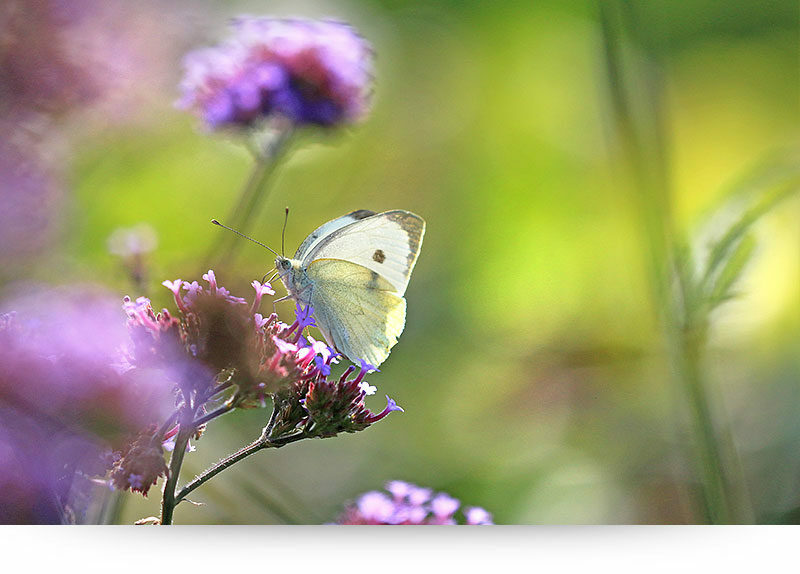 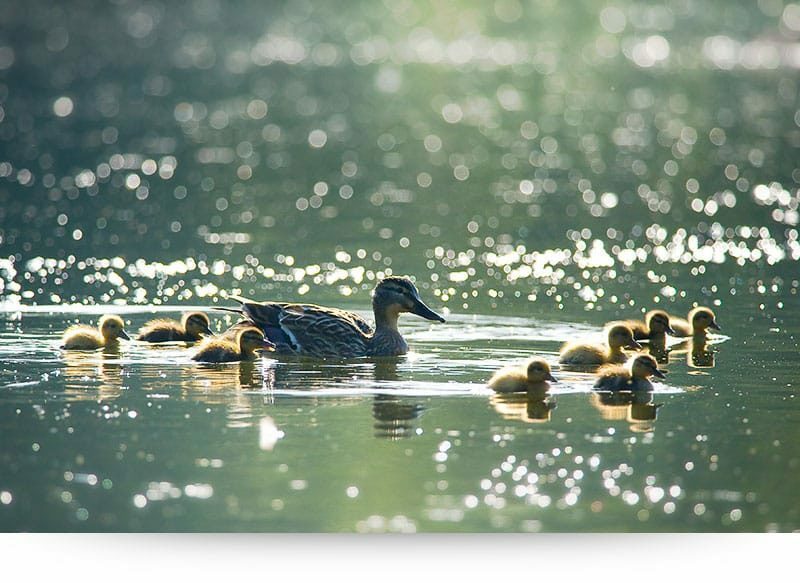 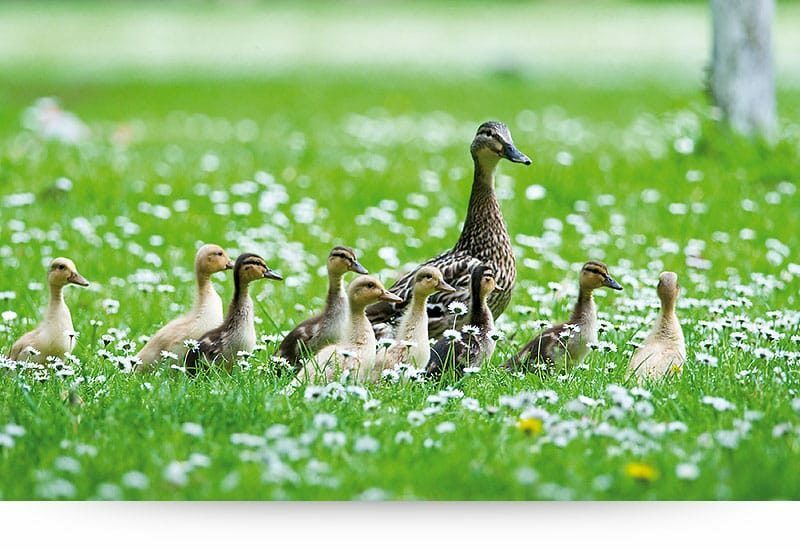 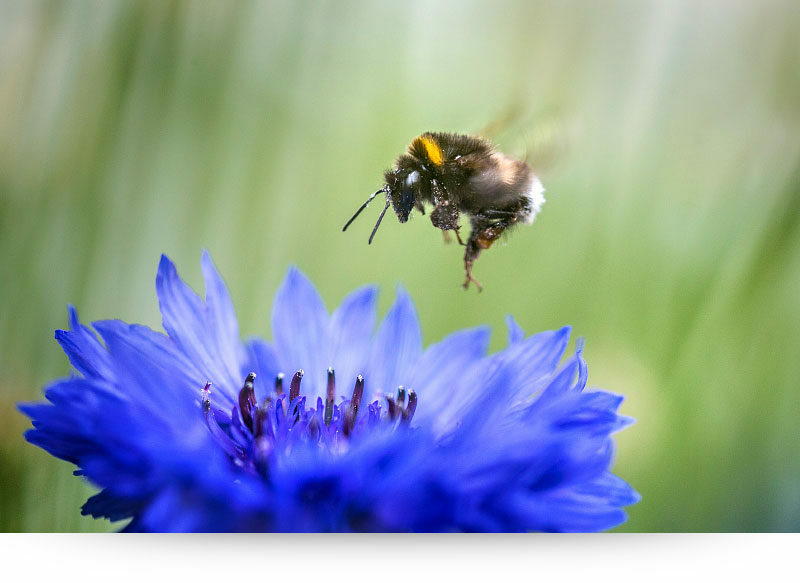 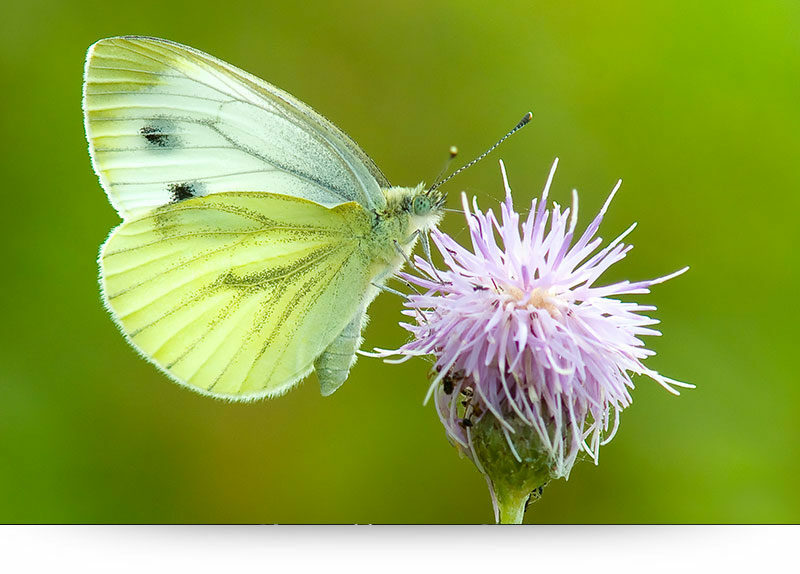 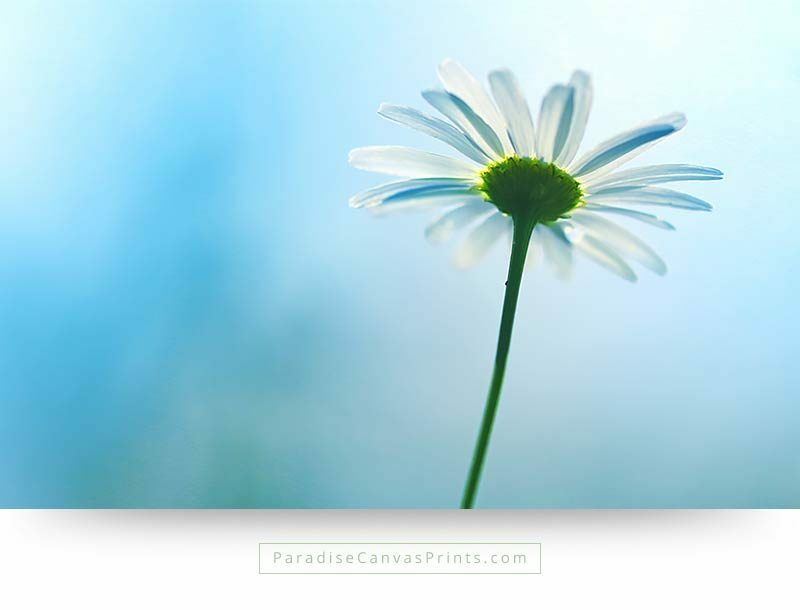 This image brings the feeling and joy of summer and abundant life into any interior. 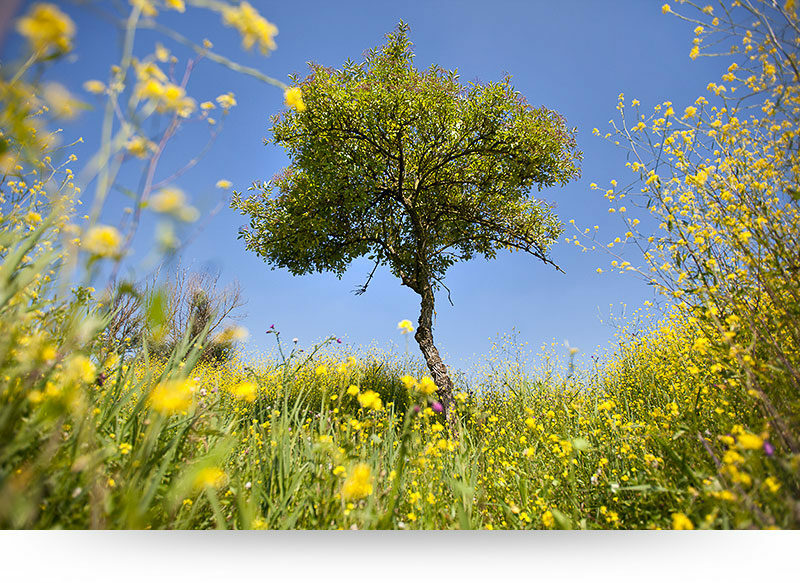 Landscape wall art of a lonely tree that is surrounded by beautiful yellow wildflowers. 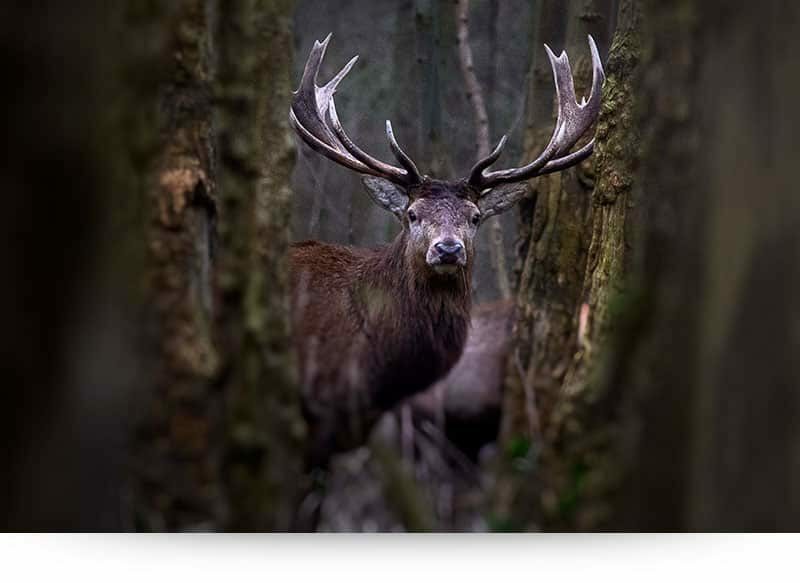 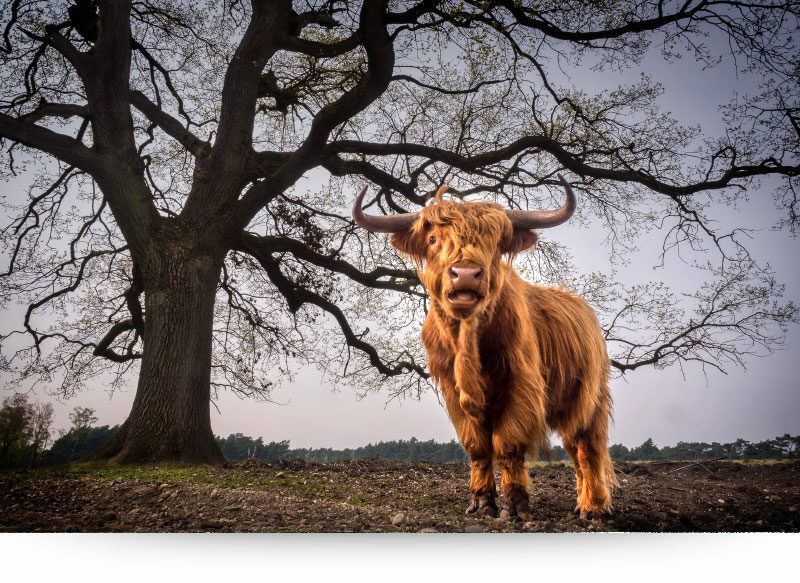 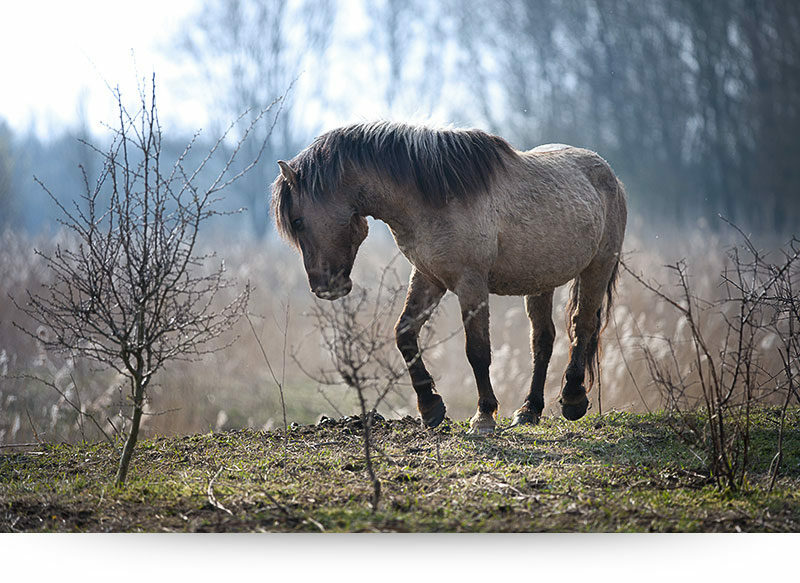 This picture is taken in the nature reserve ‘Oostvaardersplassen‘ in the Netherlands. 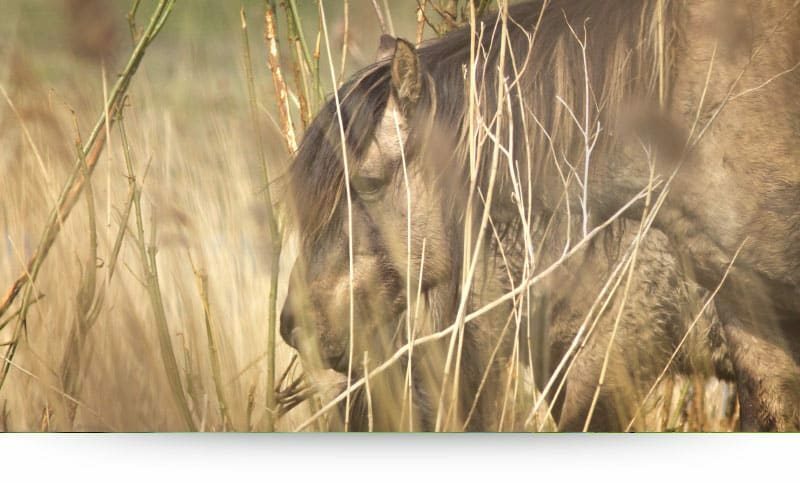 One of Western Europes most unique wild life reserves, where herds of hundreds of wild horses roam free, along with hundreds of red deer. 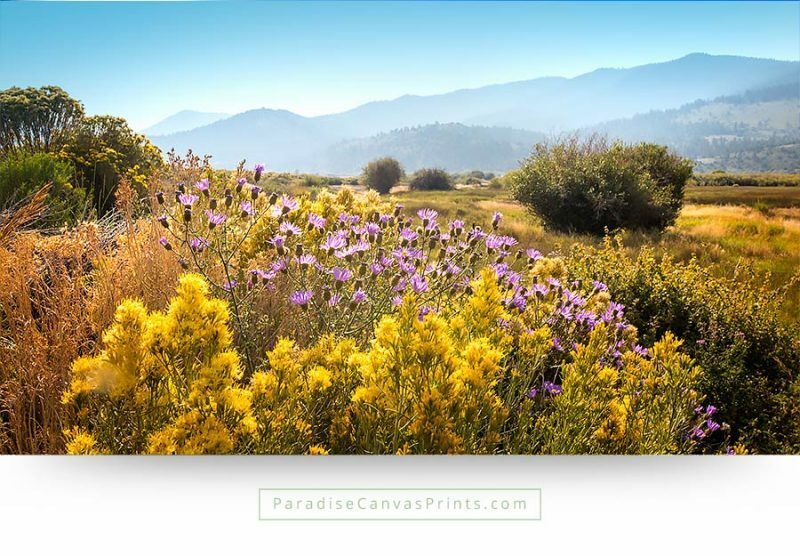 During the spring large parts of this reserve explode with wildflowers, which creates a stunning scenery. 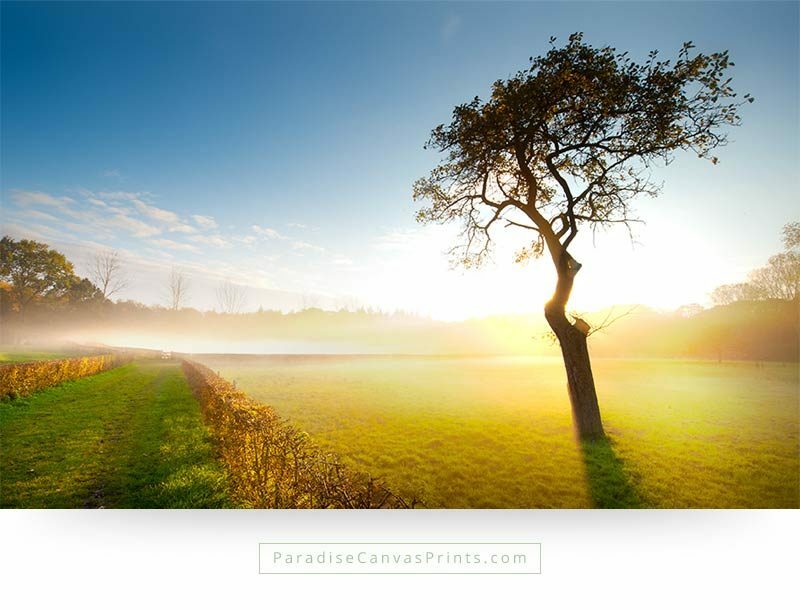 Landscape wall art of fresh green grass and beautiful blue sky with white clouds. 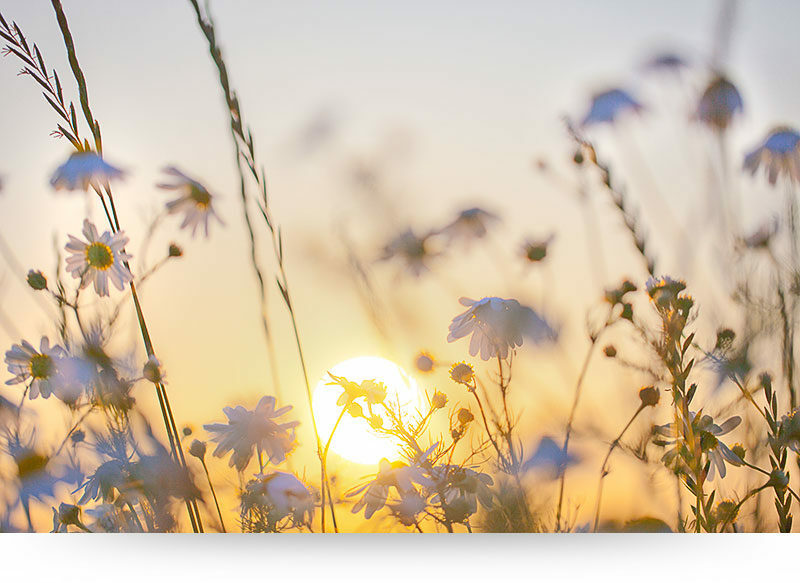 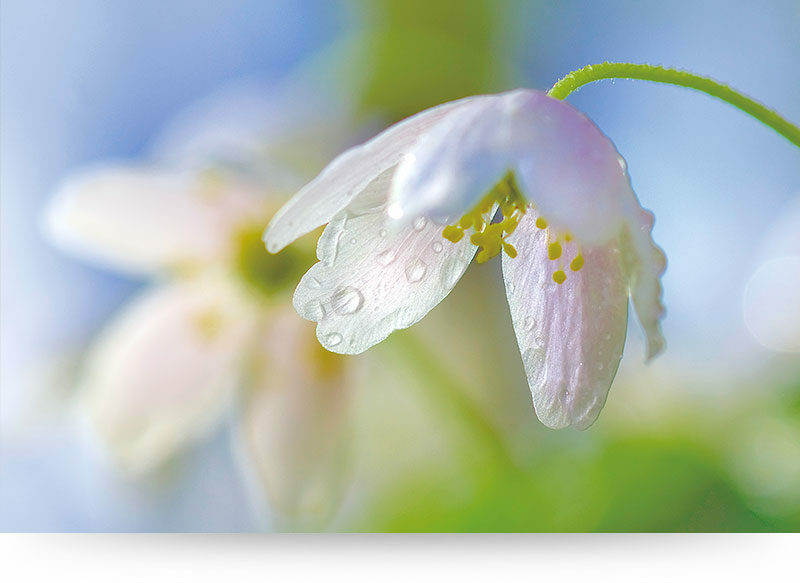 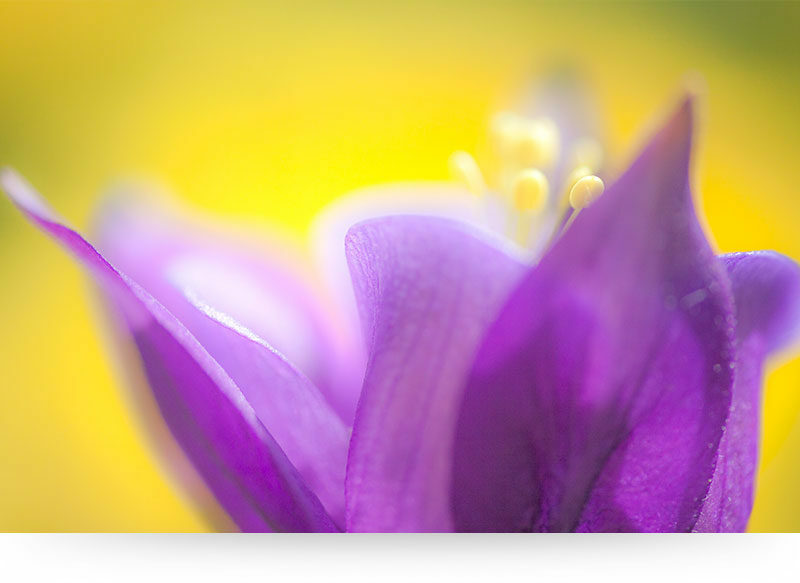 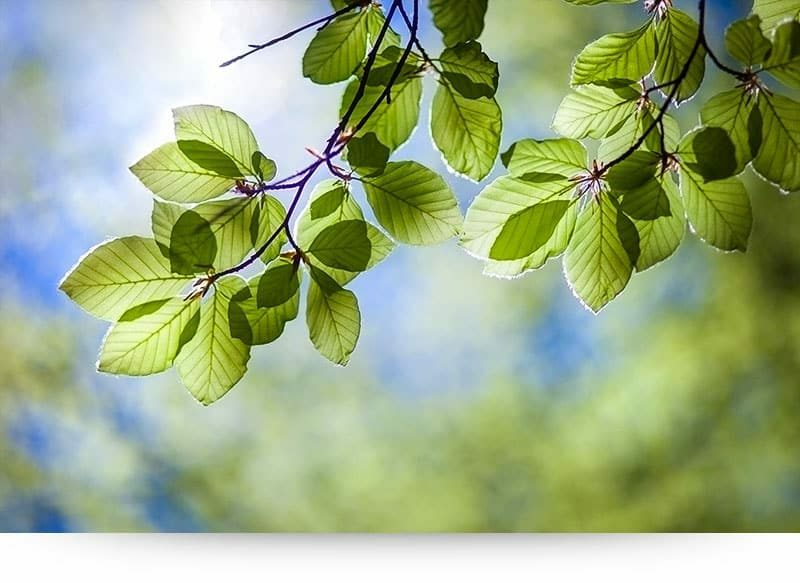 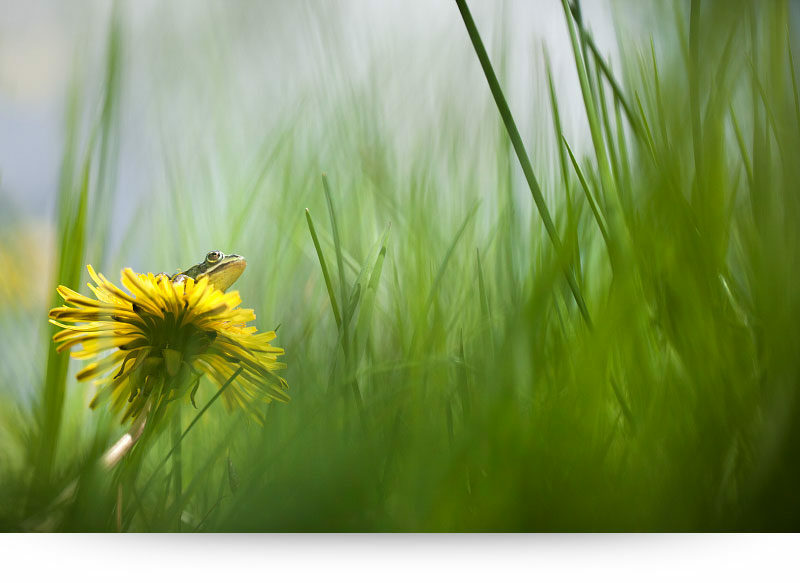 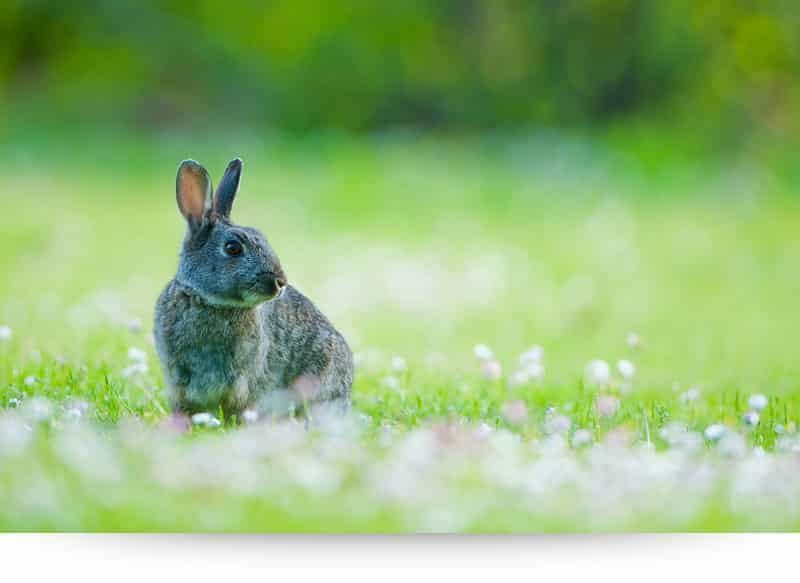 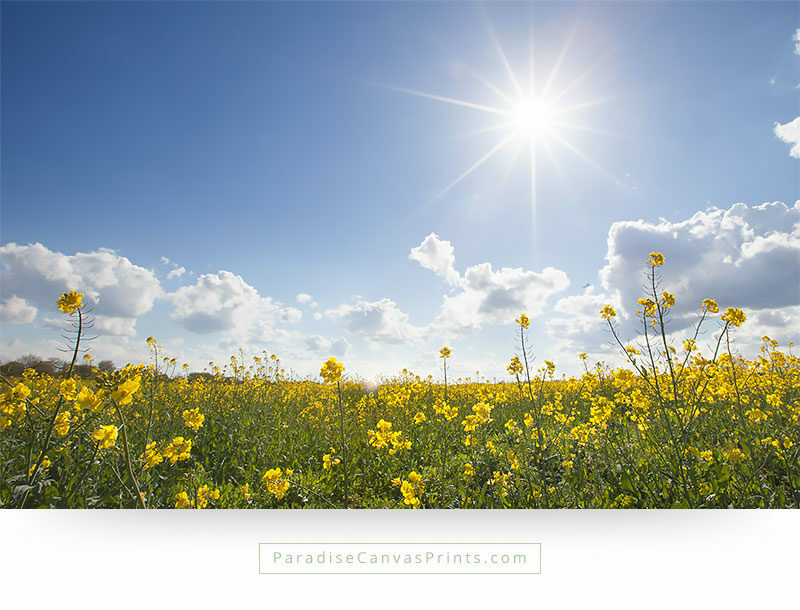 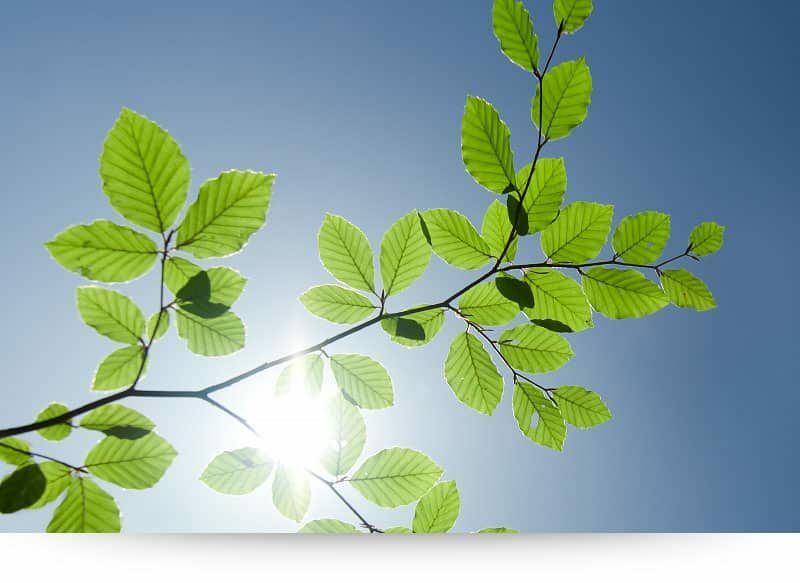 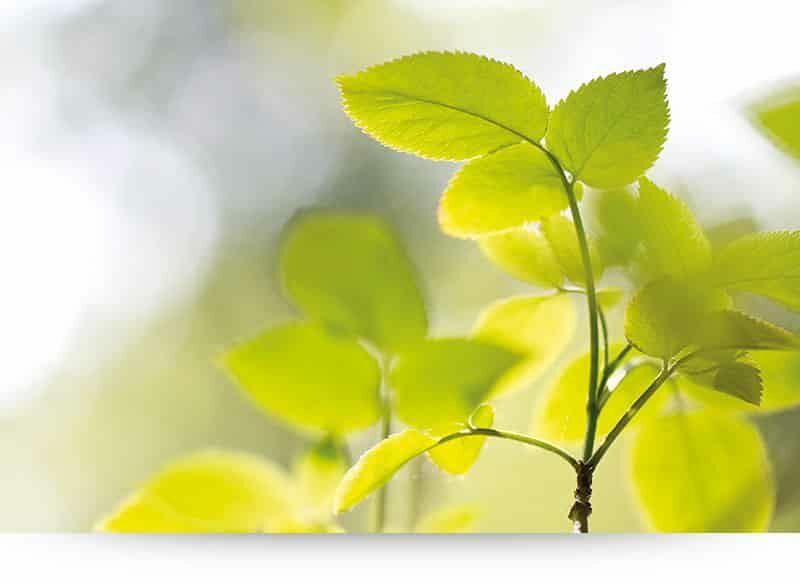 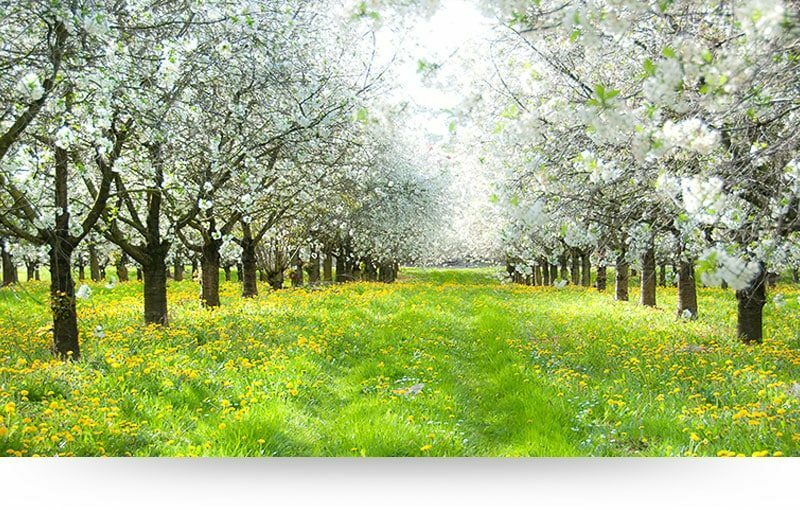 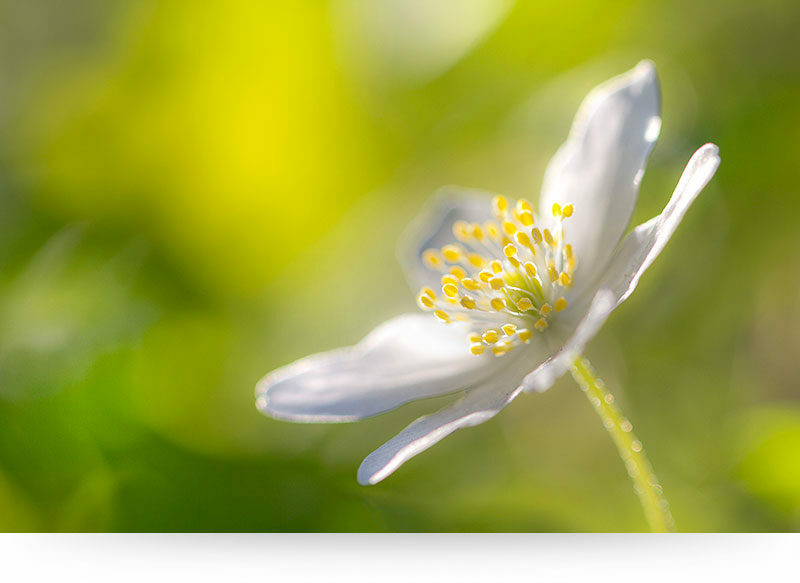 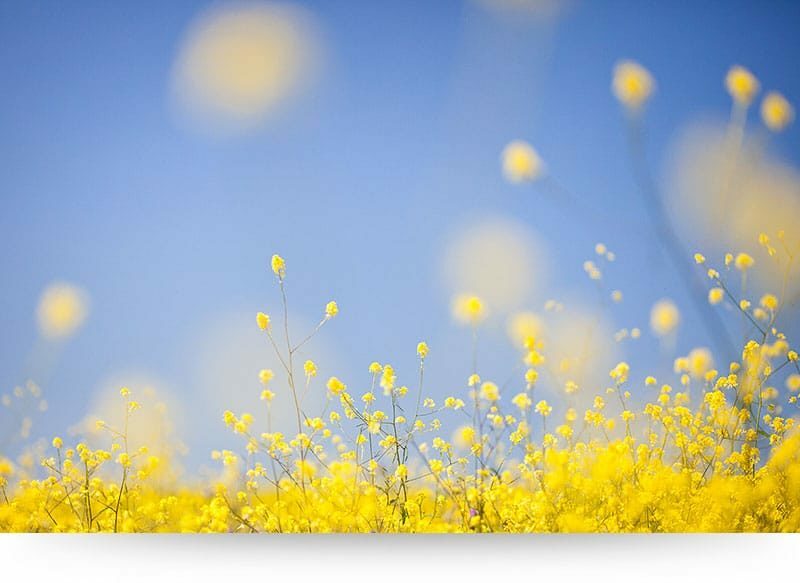 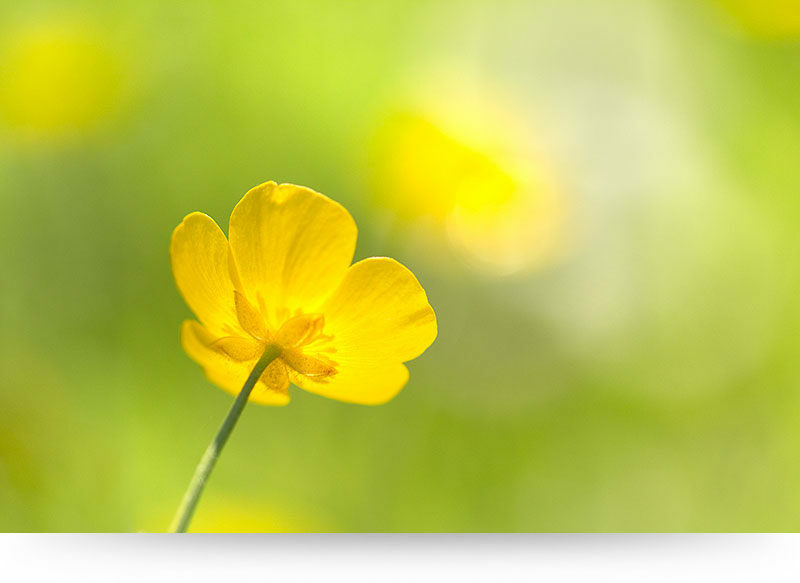 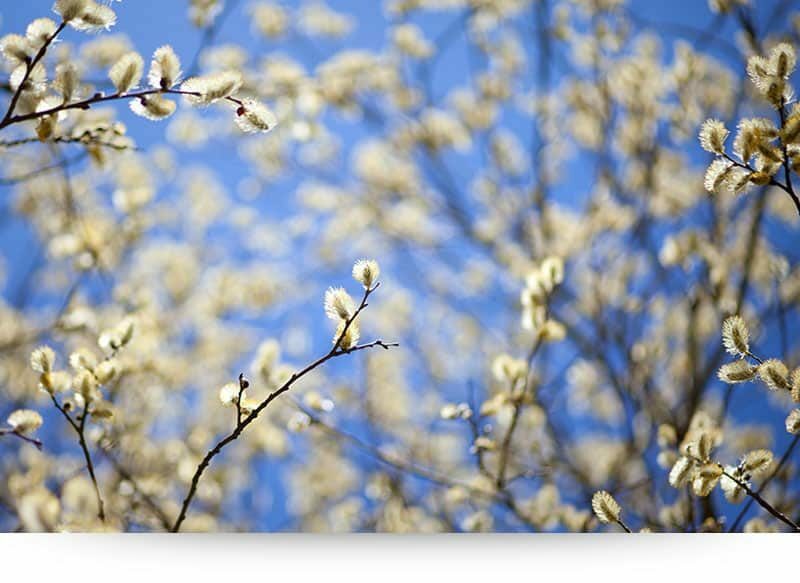 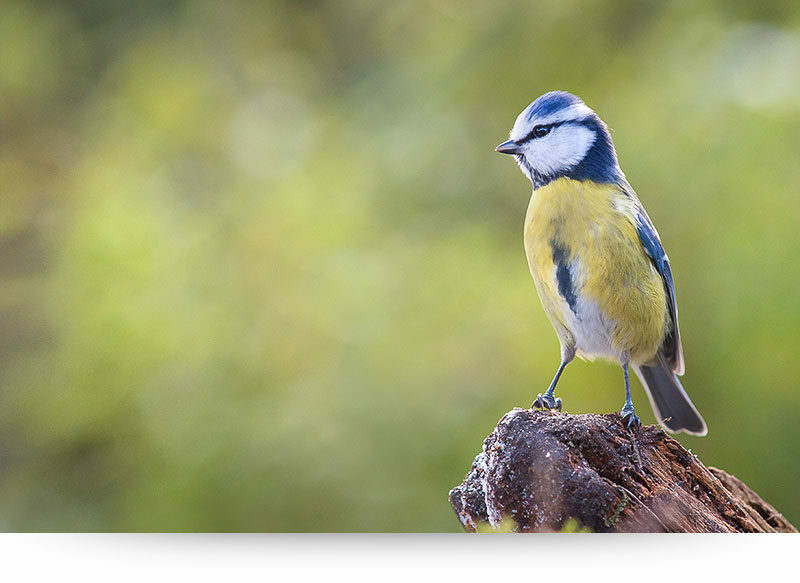 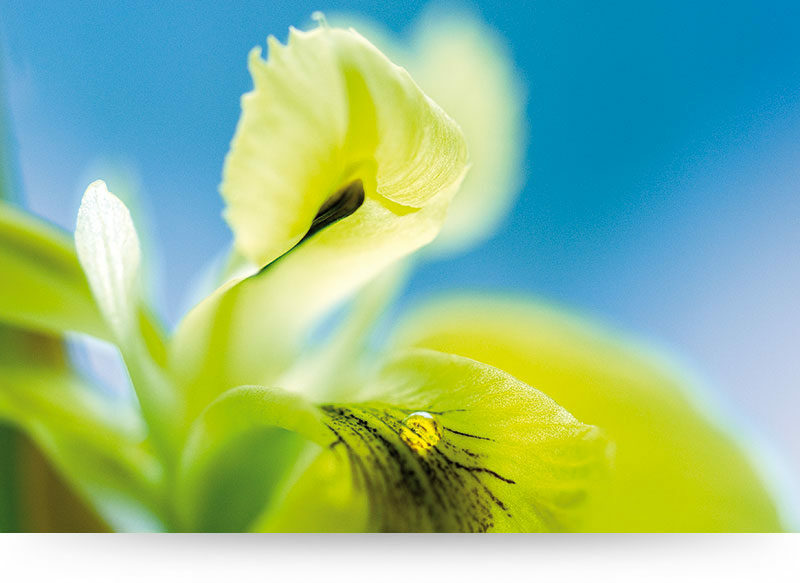 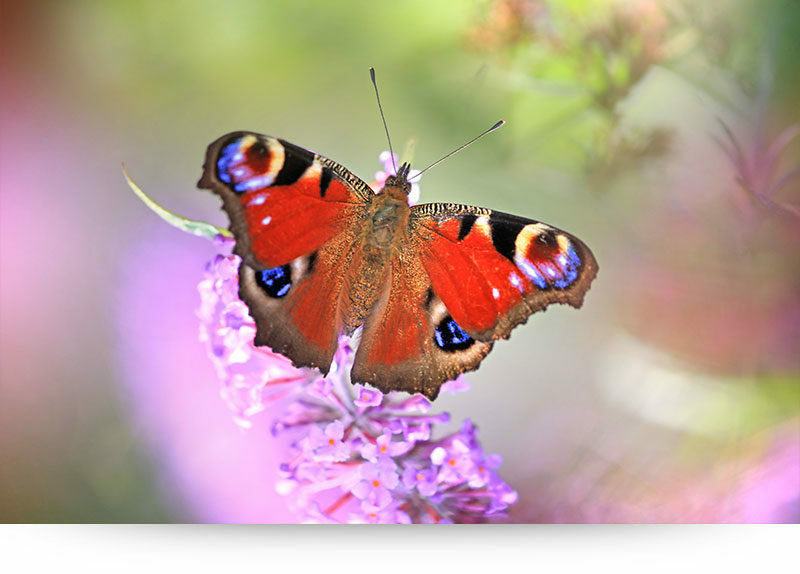 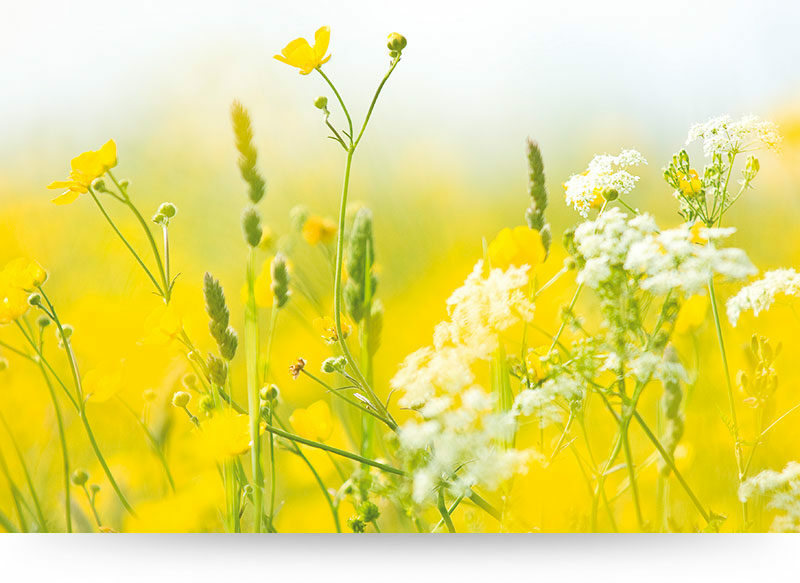 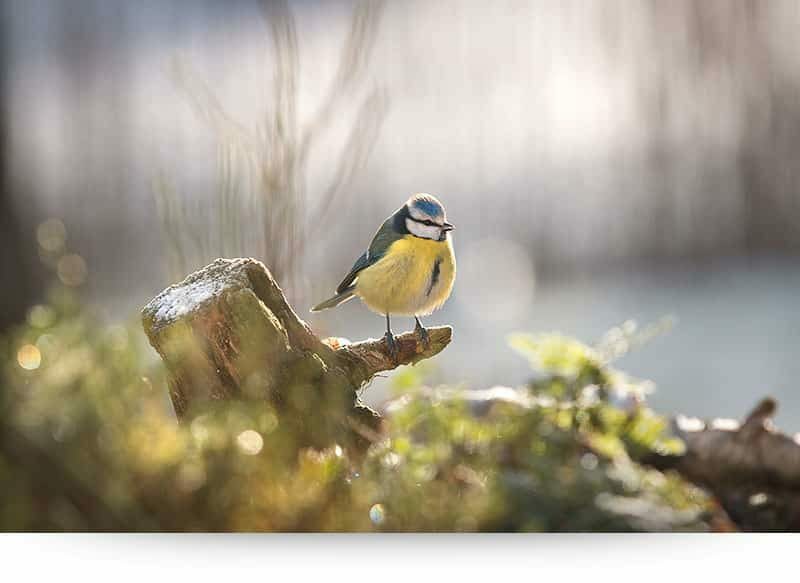 This wall art gives a real feeling of spring or summer in your home, office or therapy room. 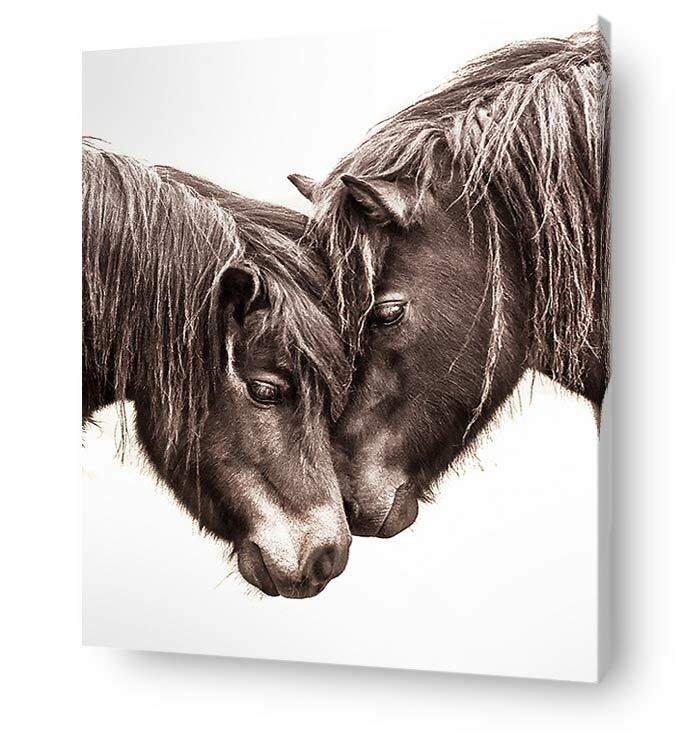 This living room wall art is available in different sizes and finishings. 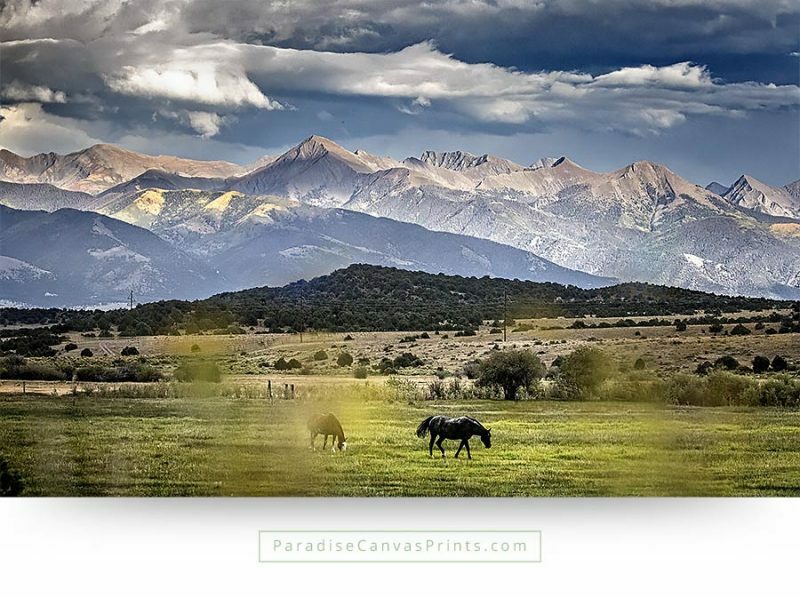 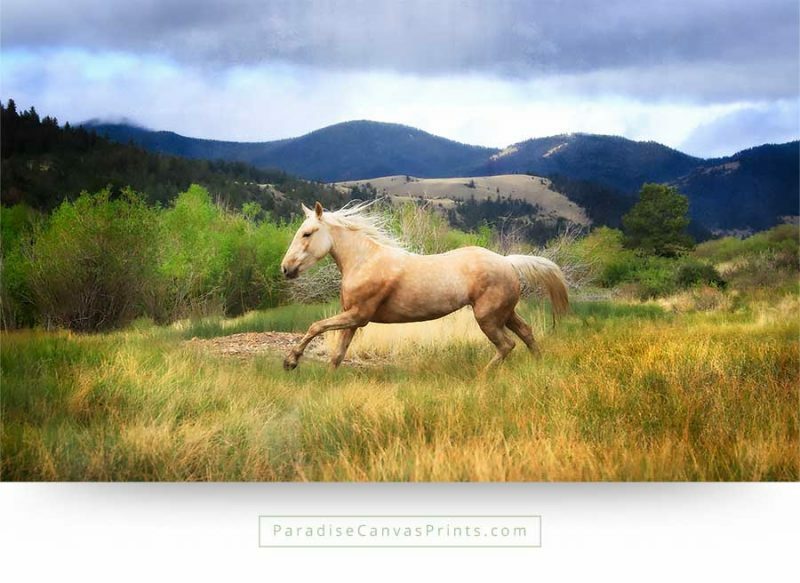 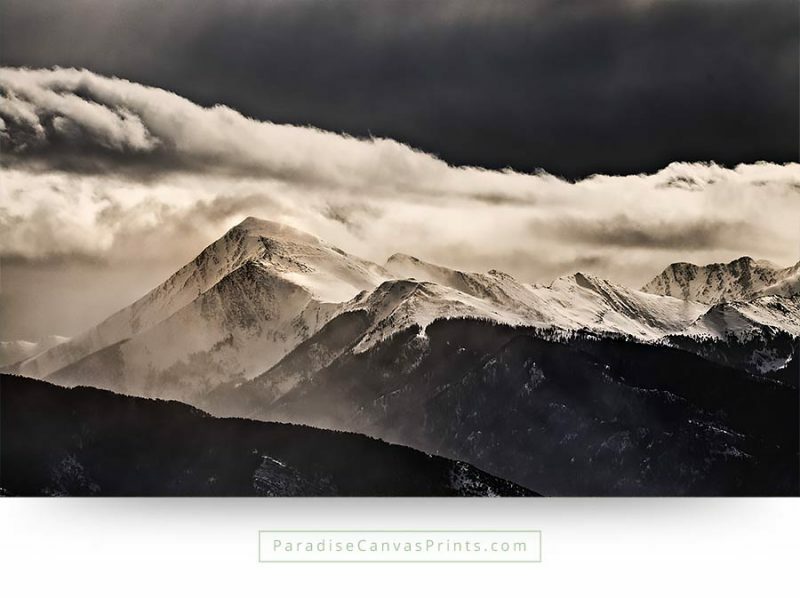 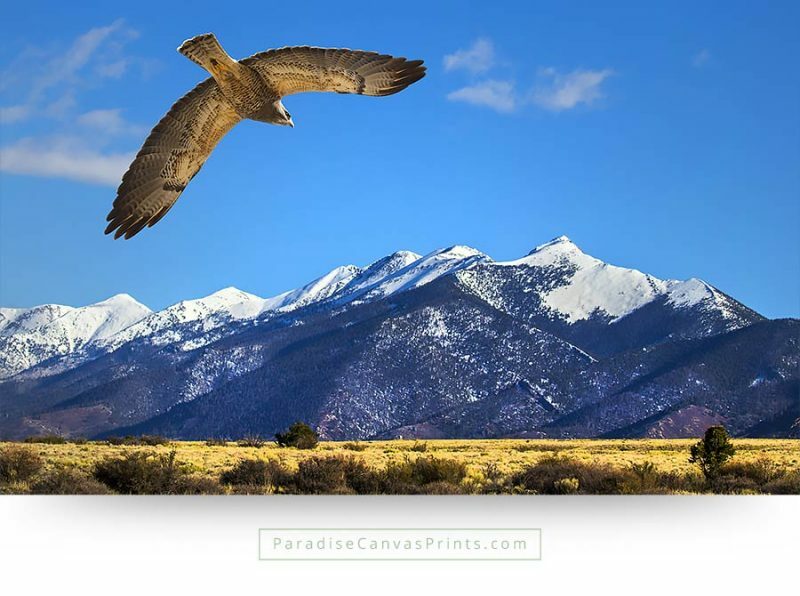 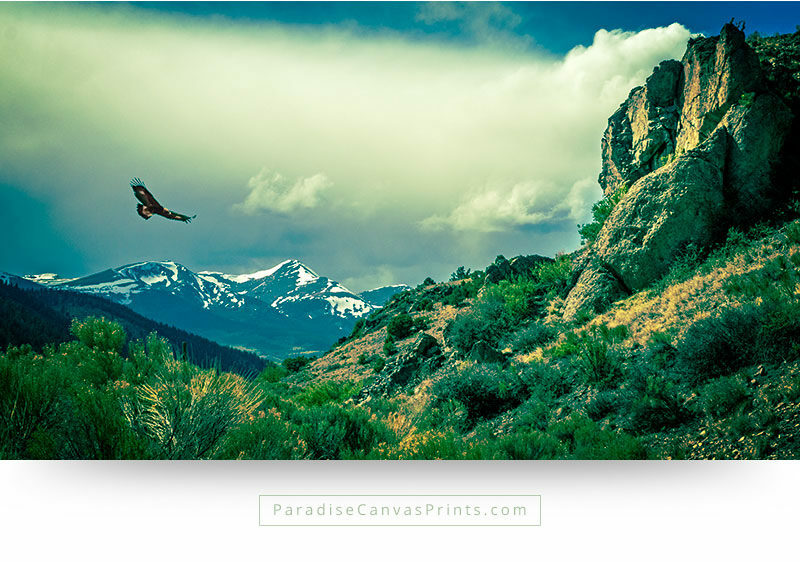 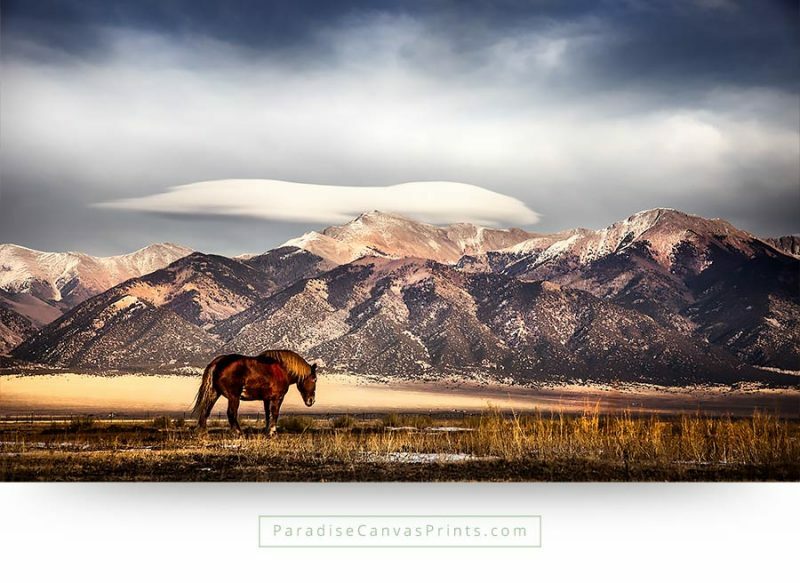 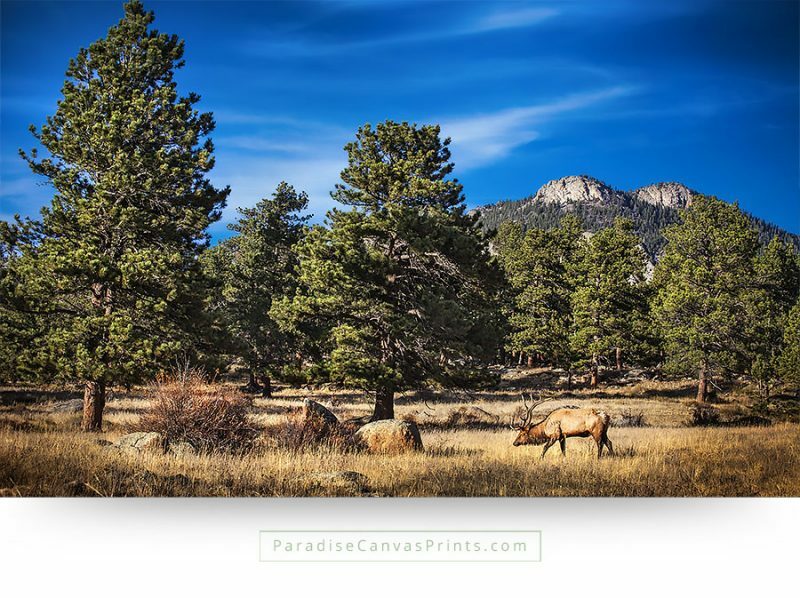 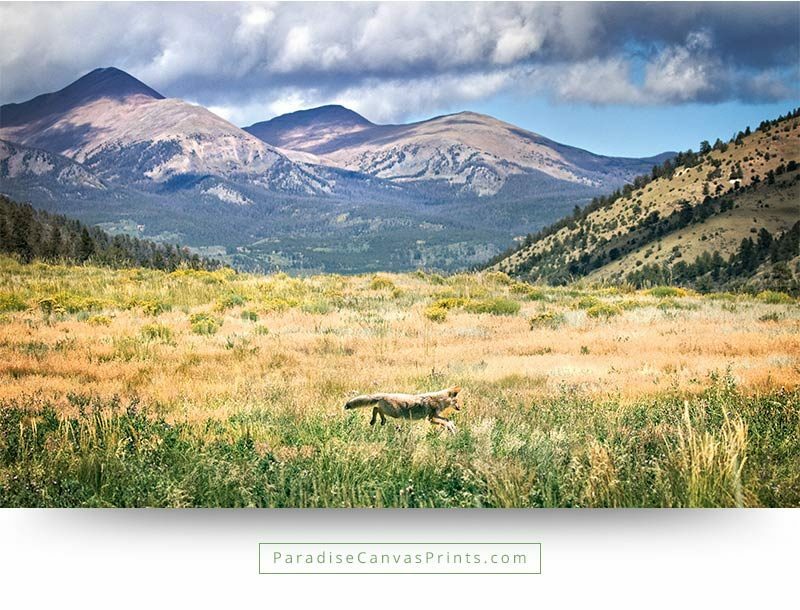 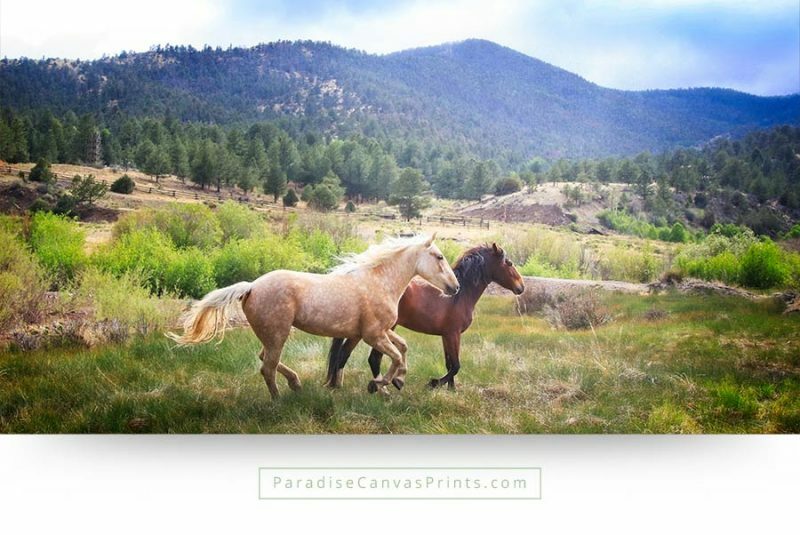 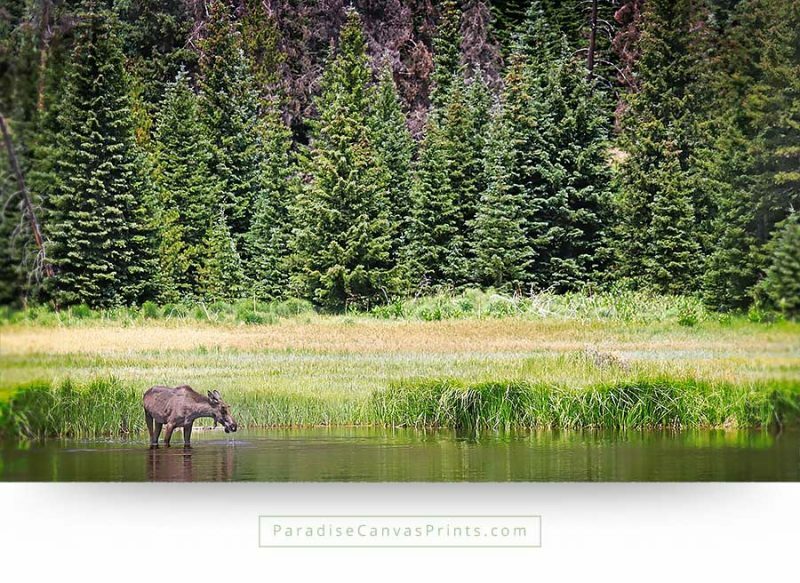 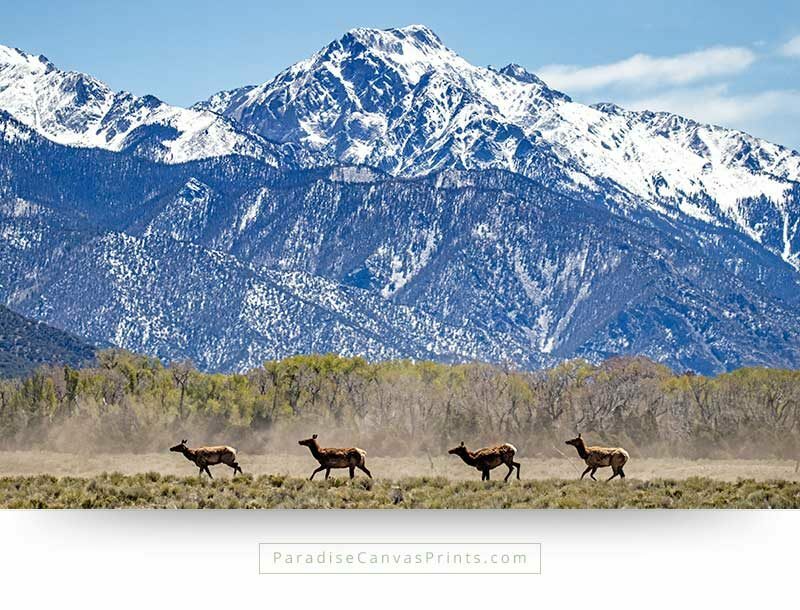 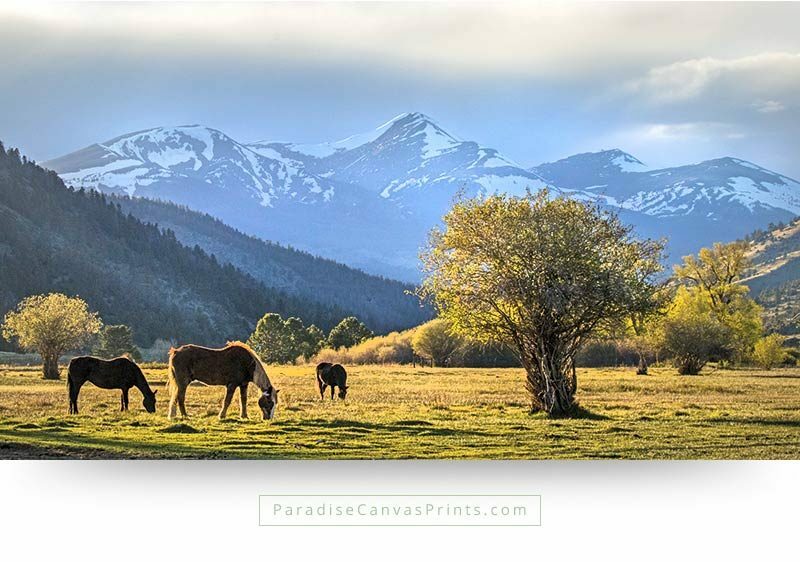 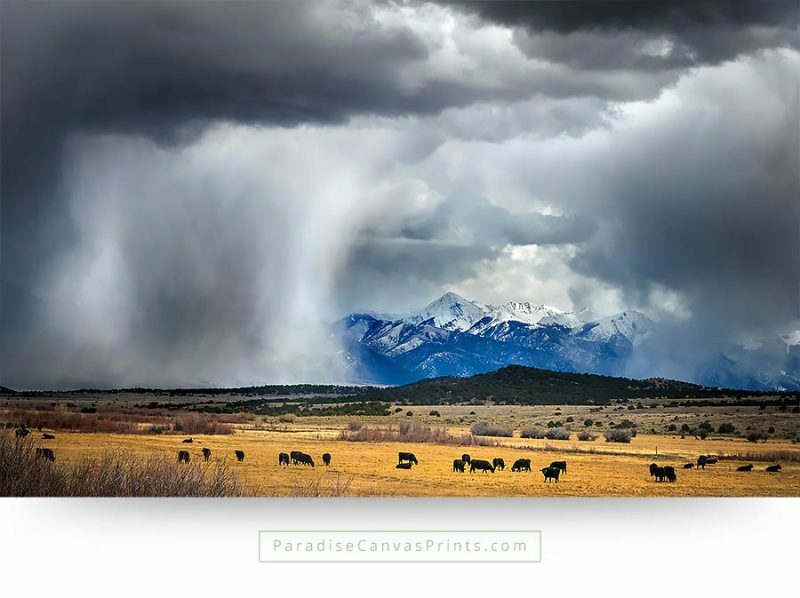 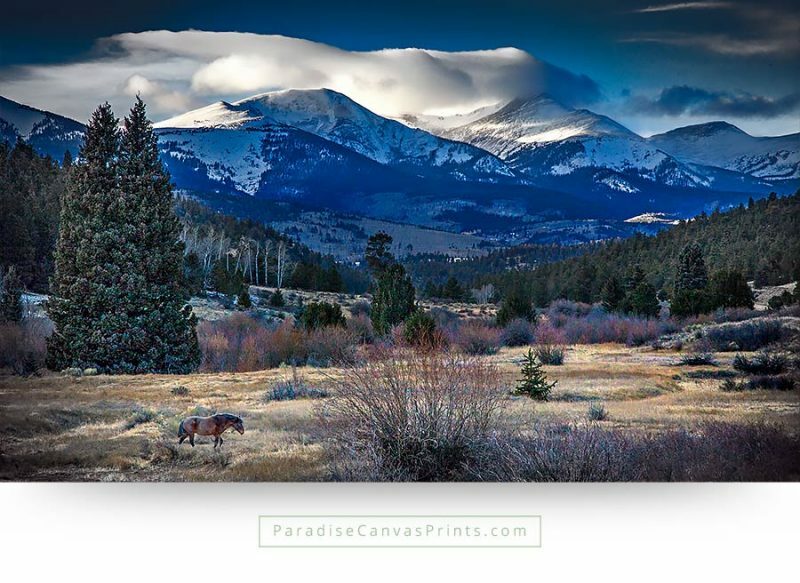 A canvas print of a beautiful and very powerful wild horse running free in the stunning mountains of central Colorado. 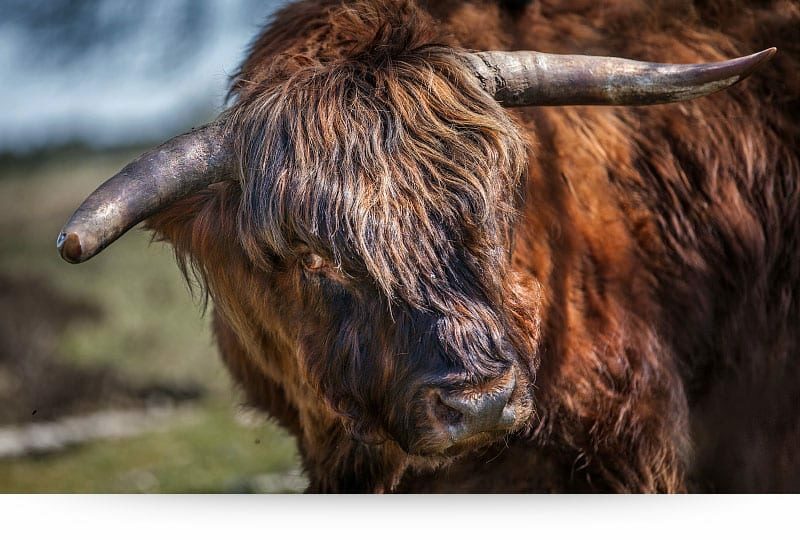 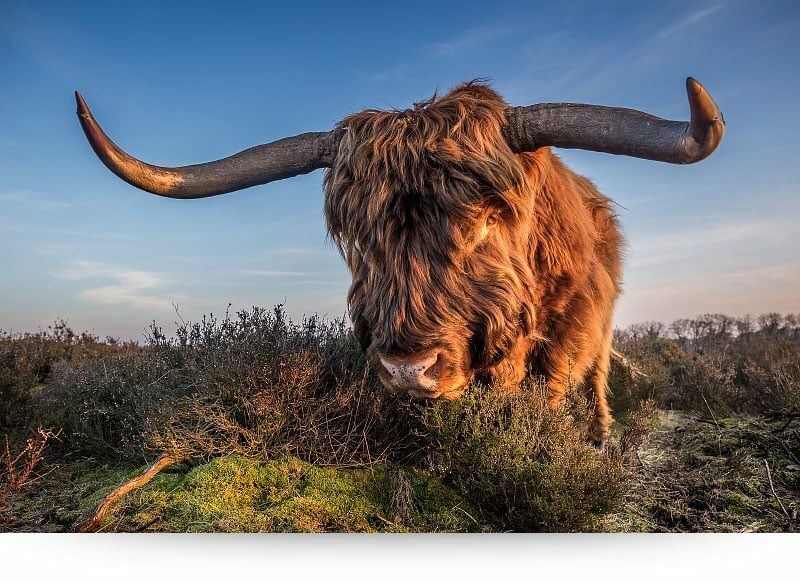 You can see both the strength and the elegance of this incredible animal. 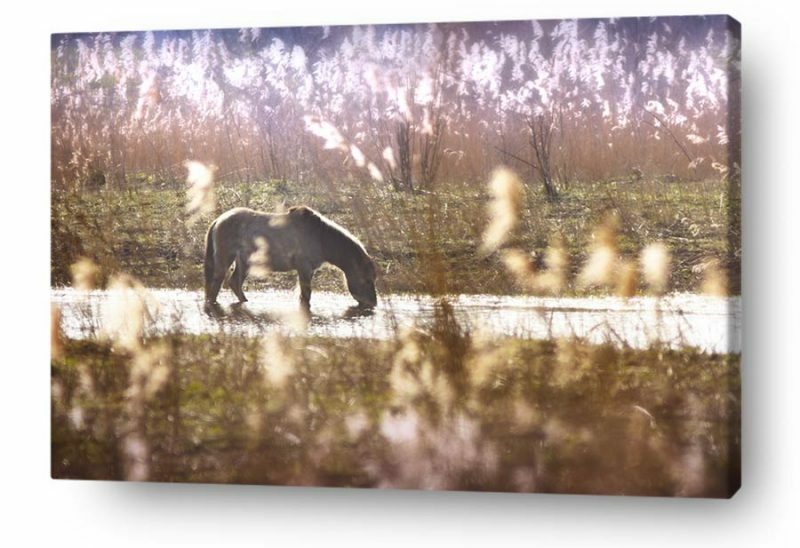 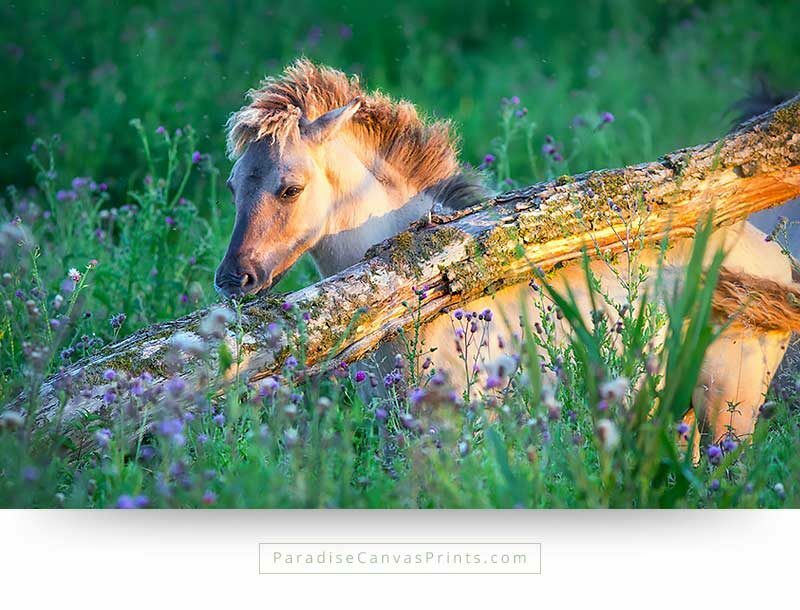 Buy this amazing horse wall art and enjoy the majesty of this wild mustang in your home. 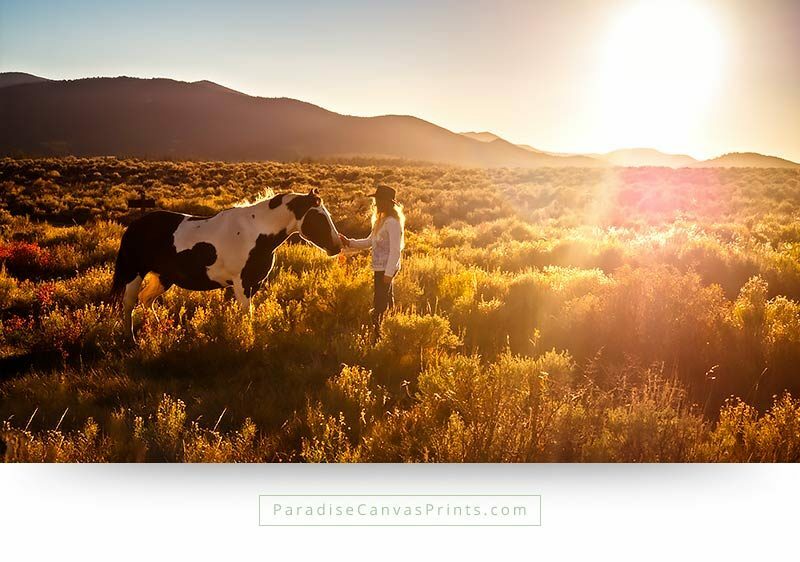 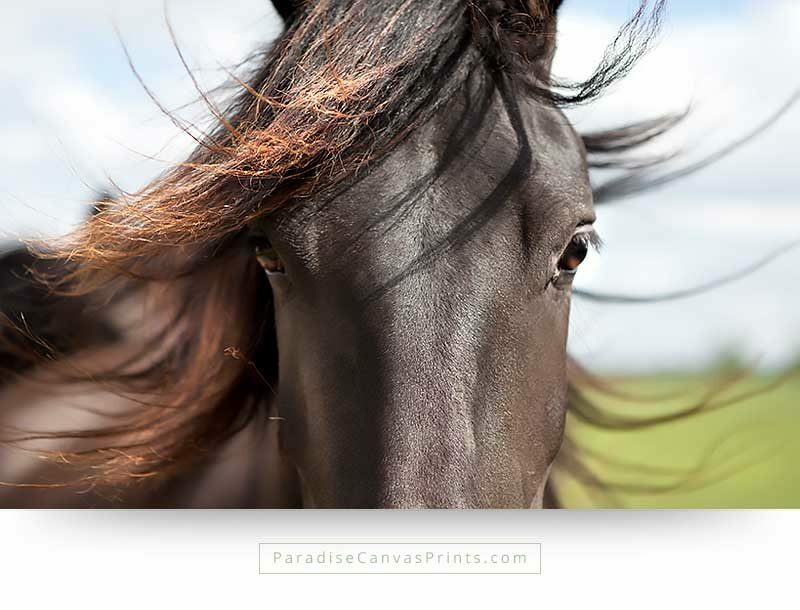 This horse canvas print is a taste of heaven on earth. 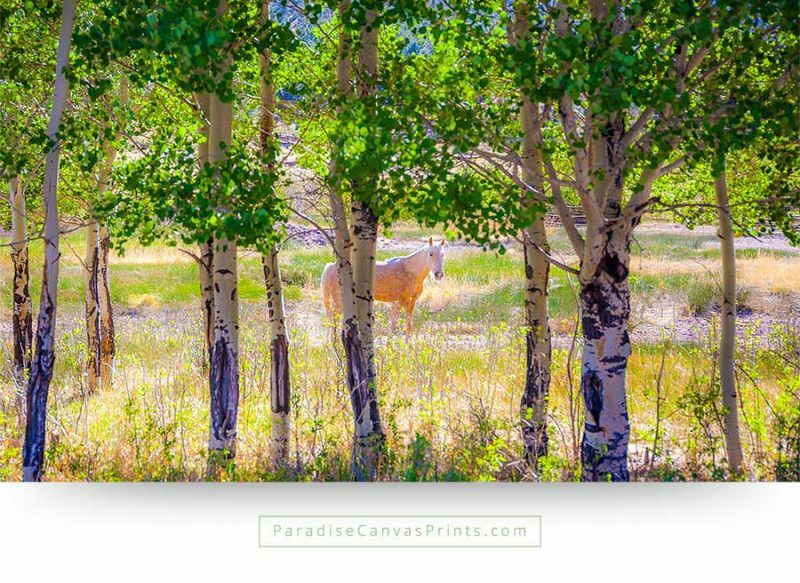 A peaceful white horses stands in a fresh green pasture during spring when everything comes back to life after a long winter. 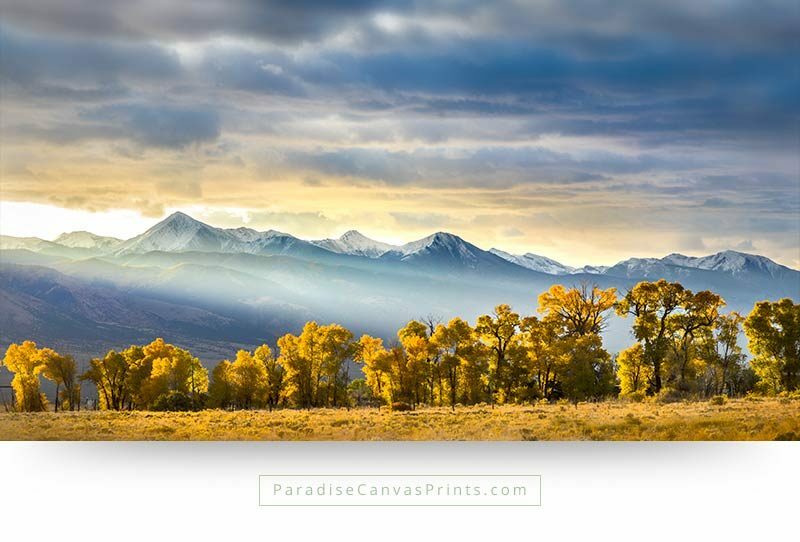 In the foreground are bright colored aspen trees, that add to the feel of paradise. 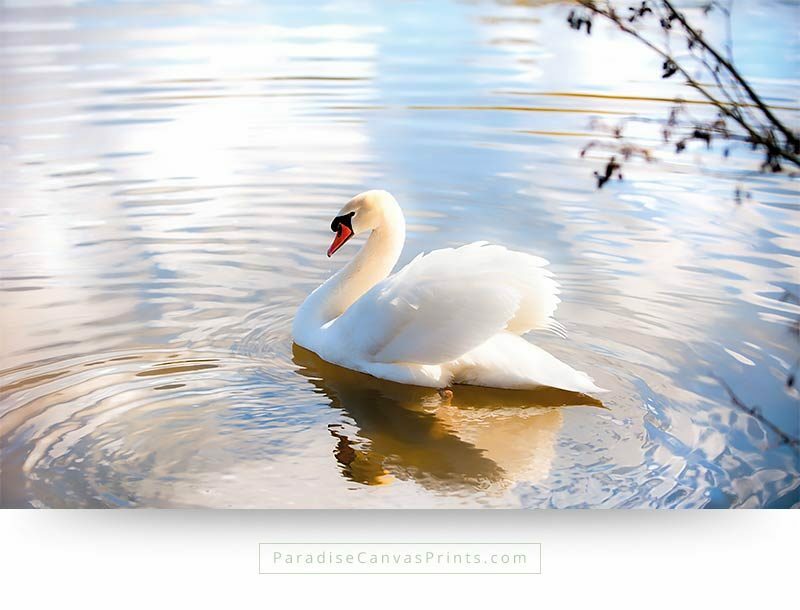 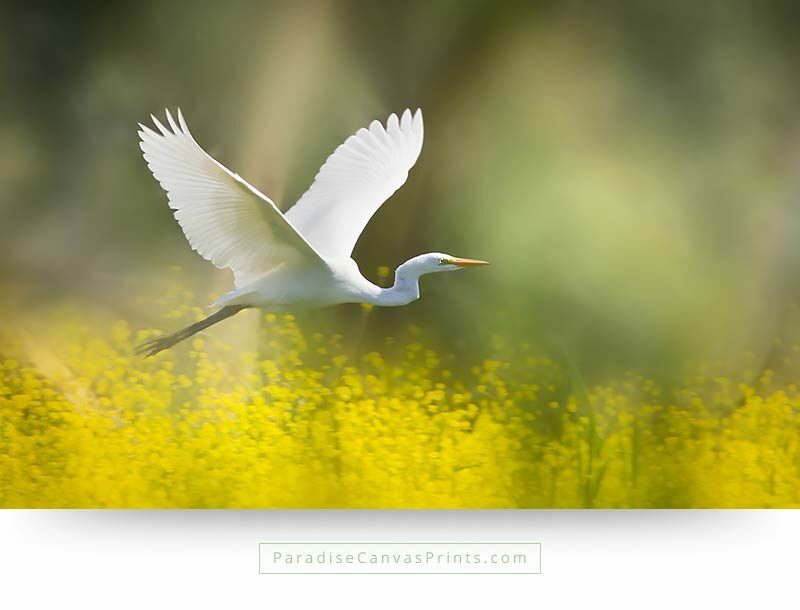 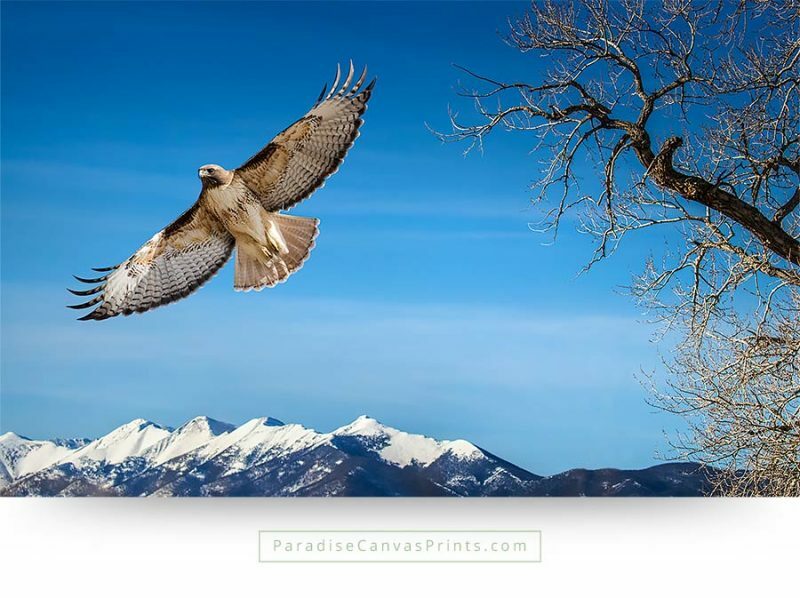 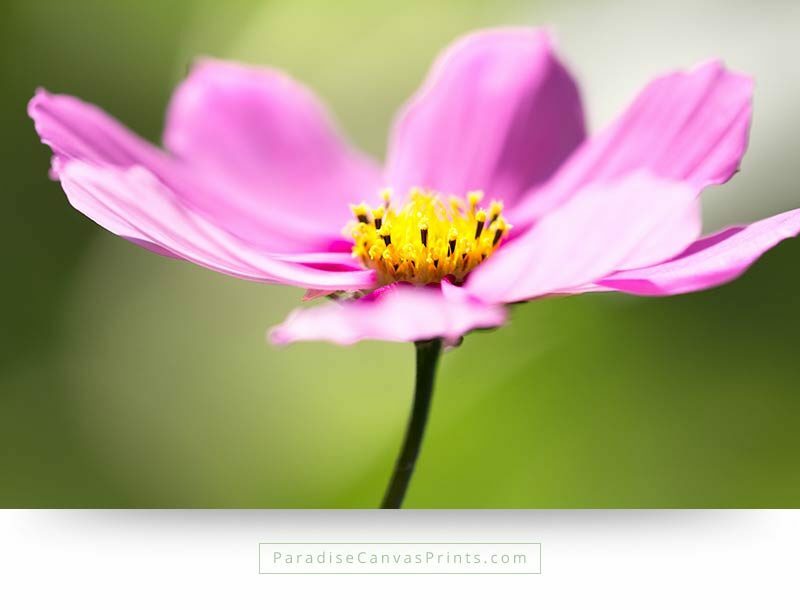 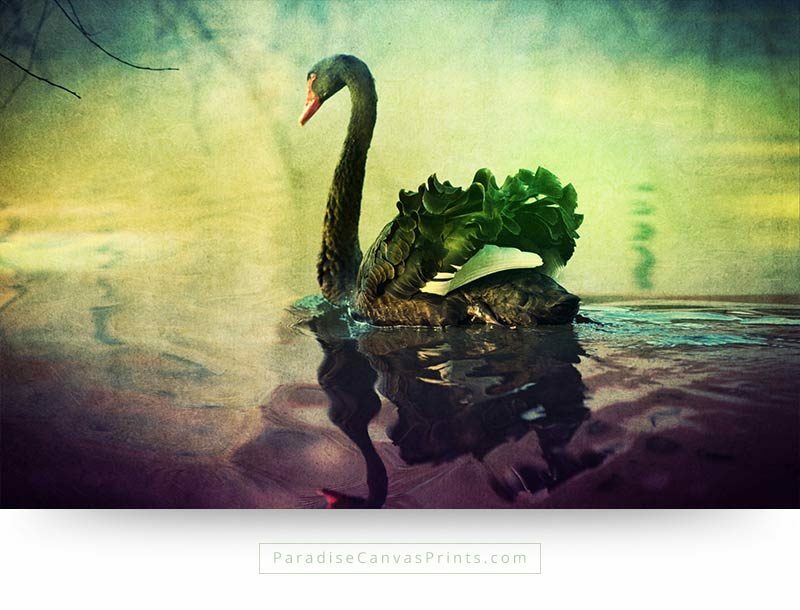 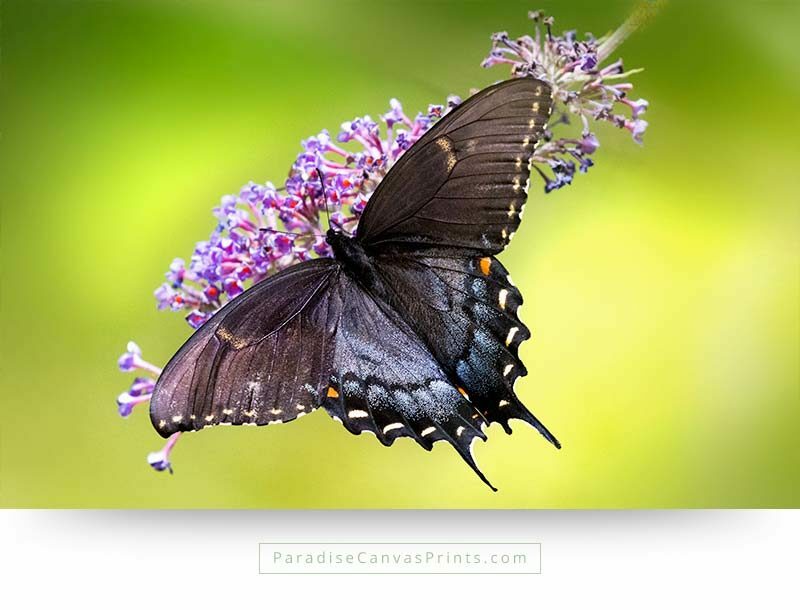 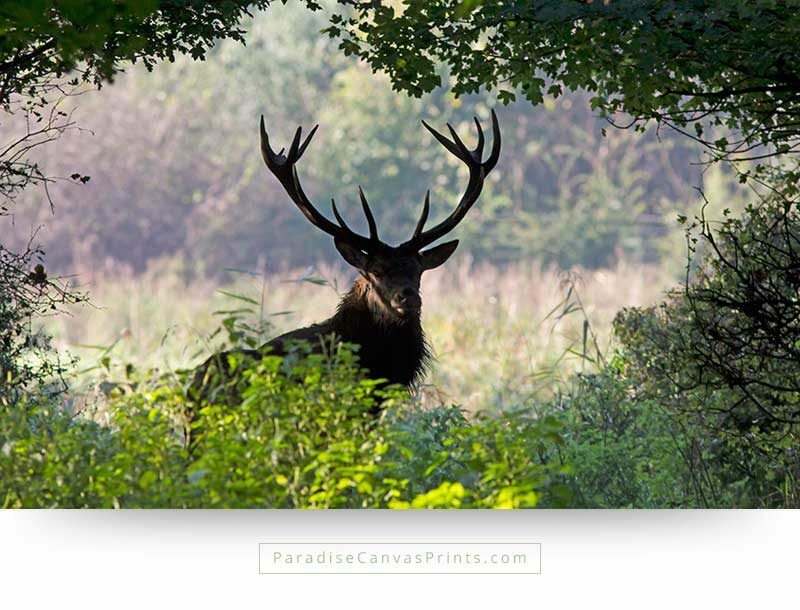 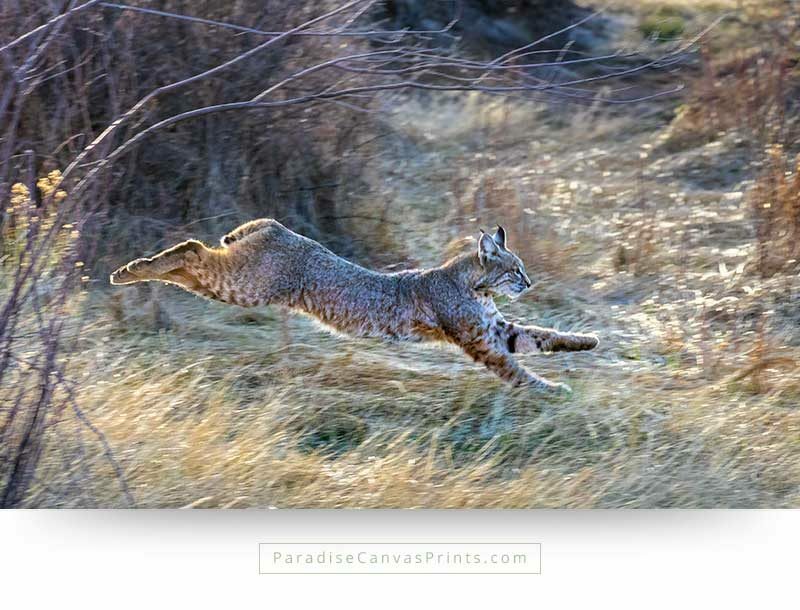 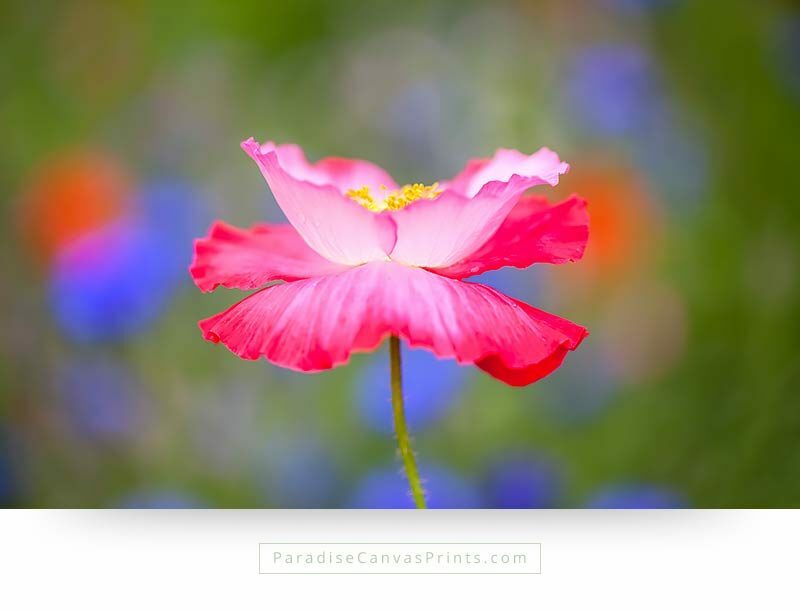 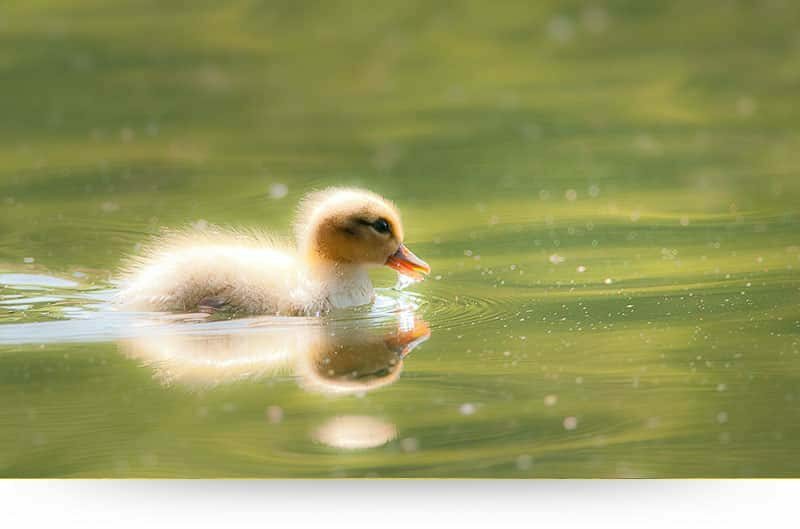 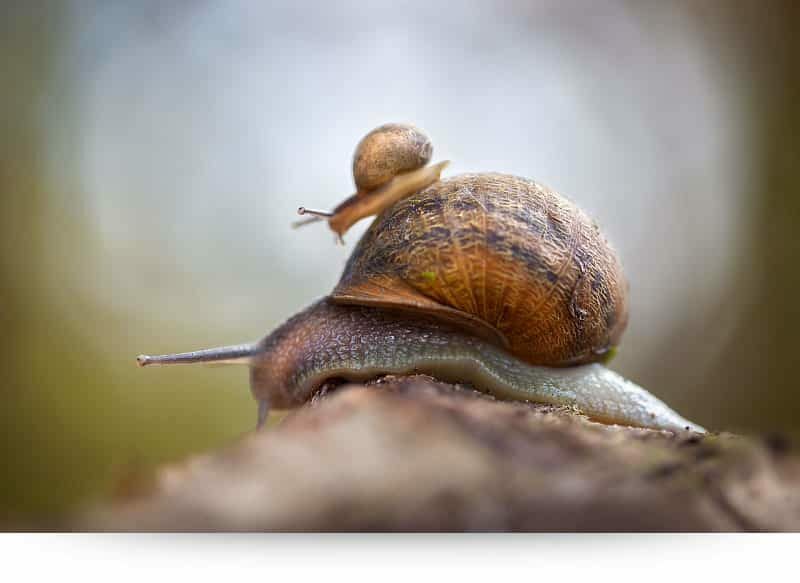 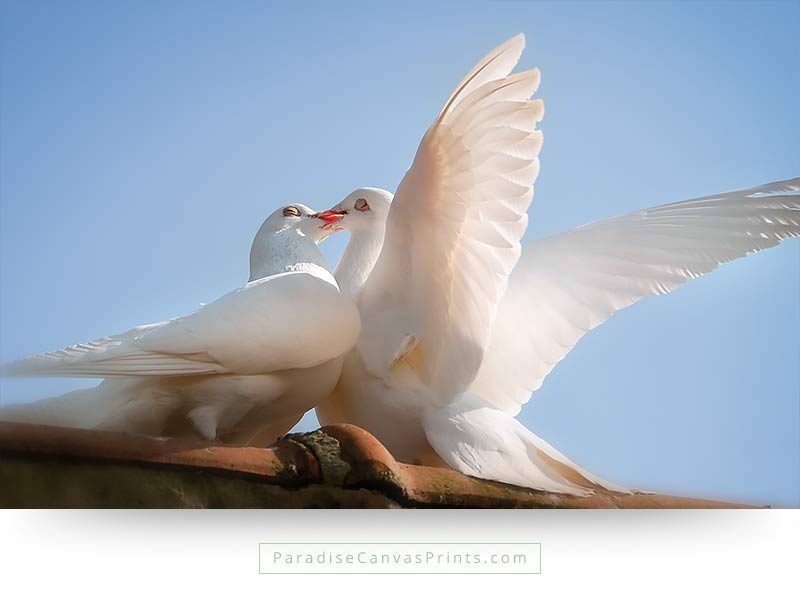 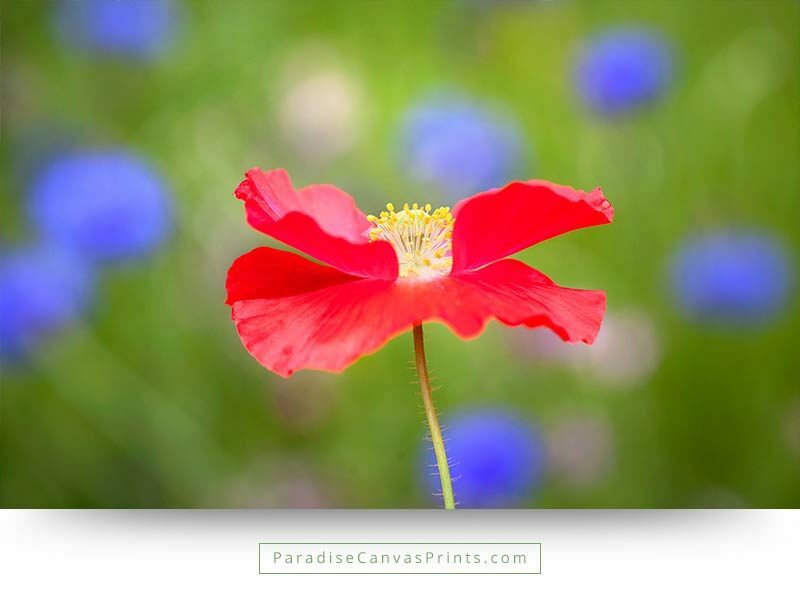 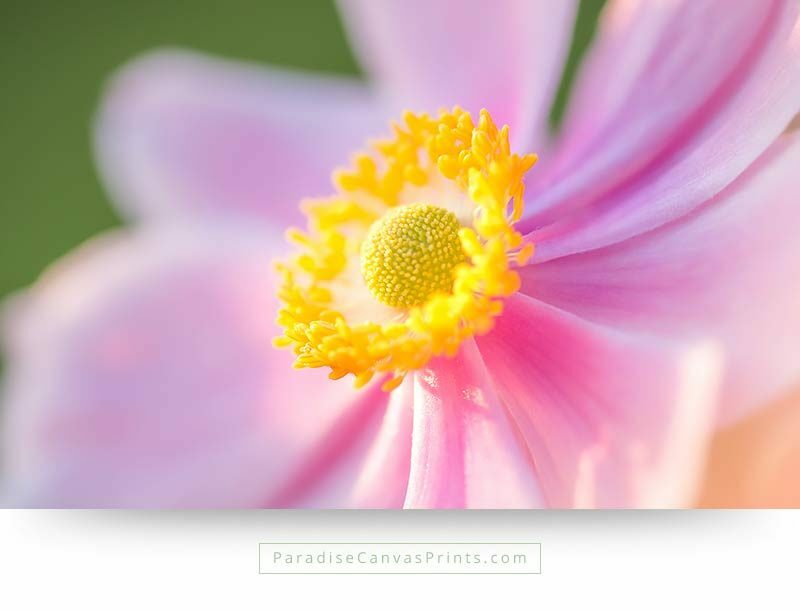 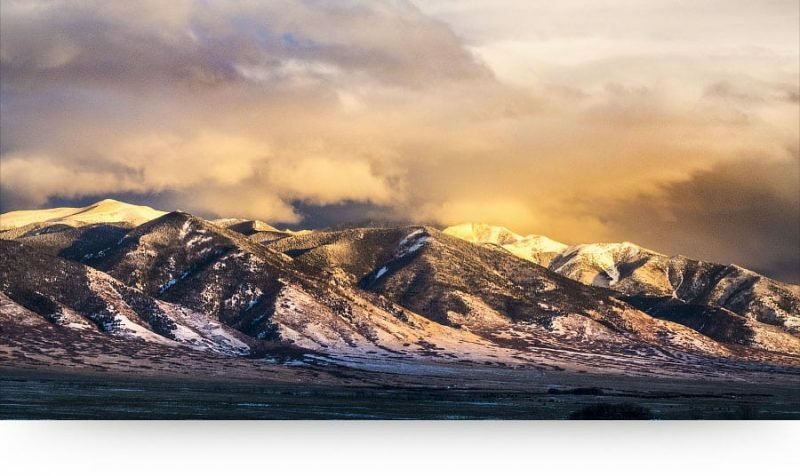 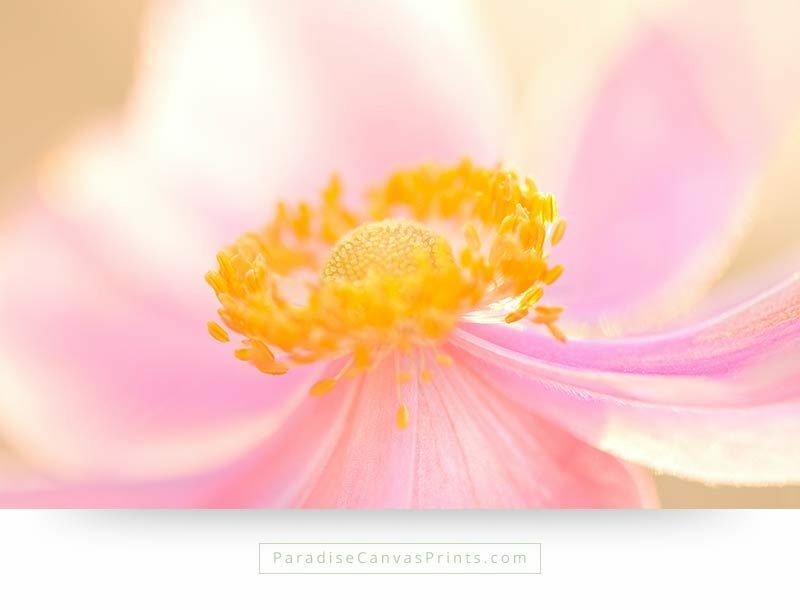 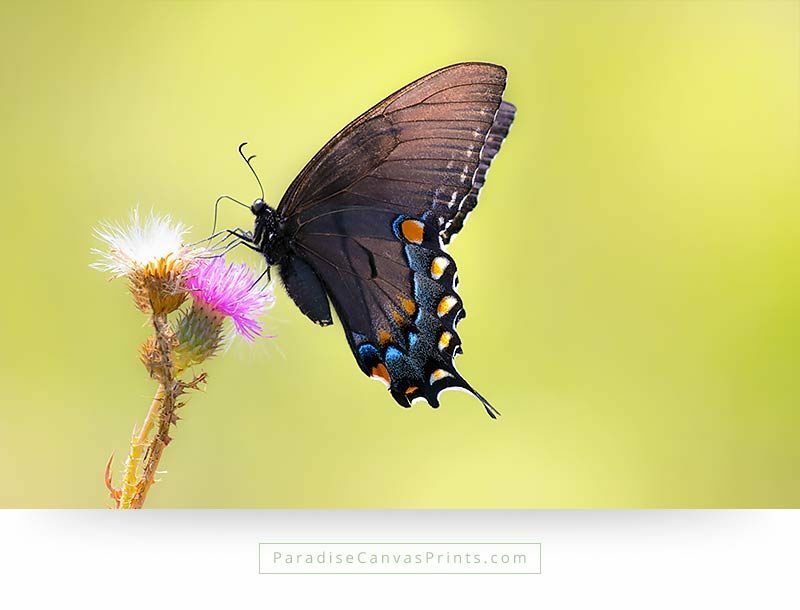 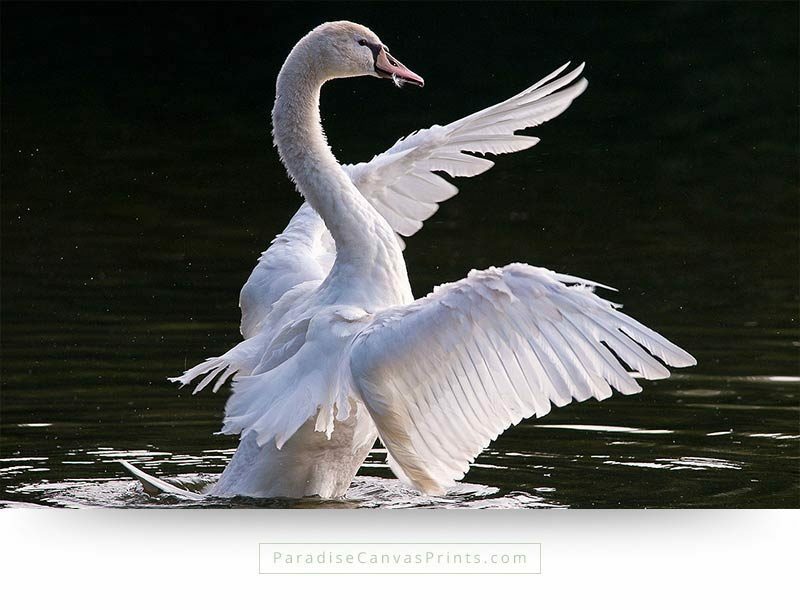 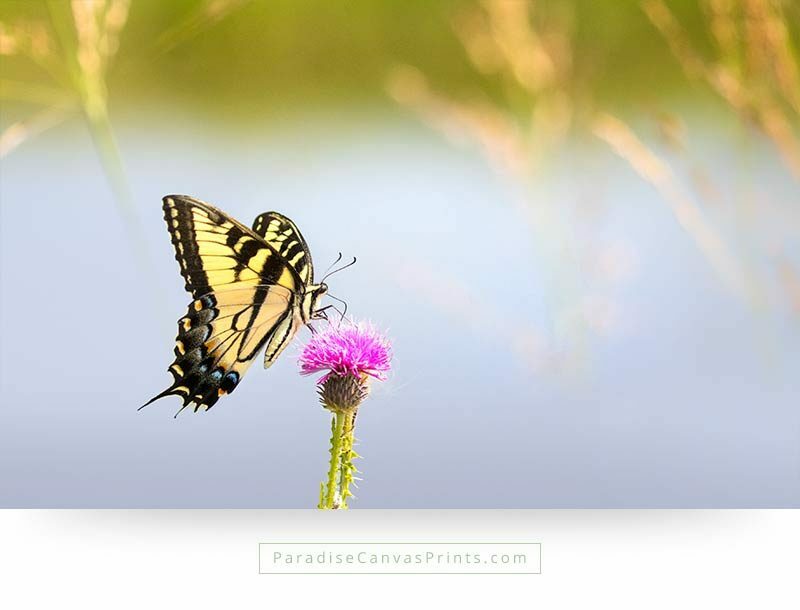 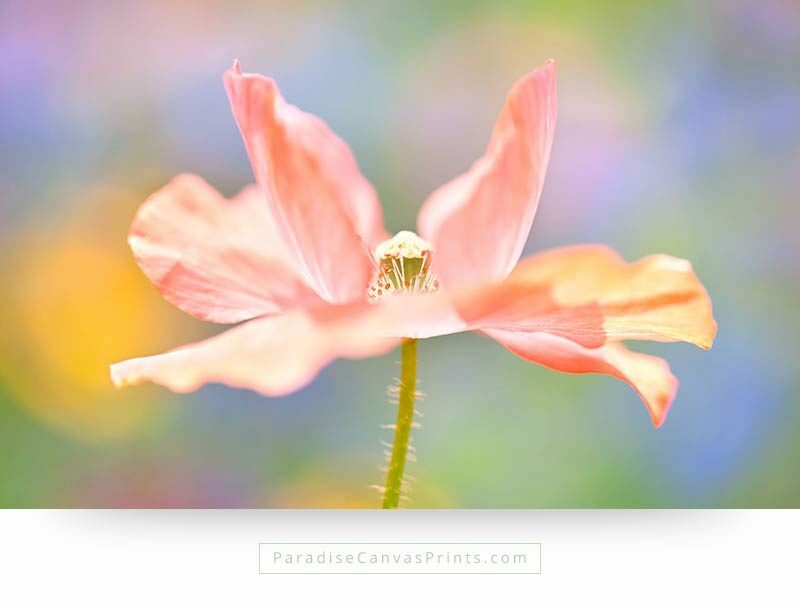 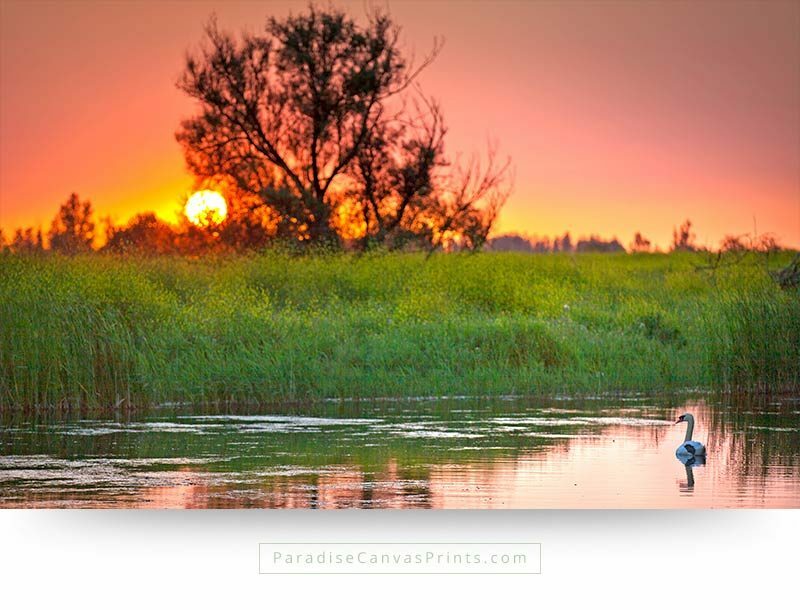 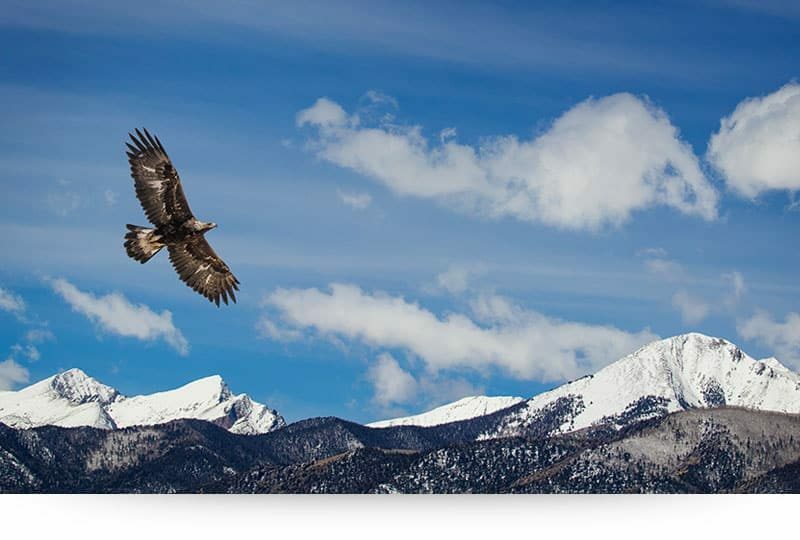 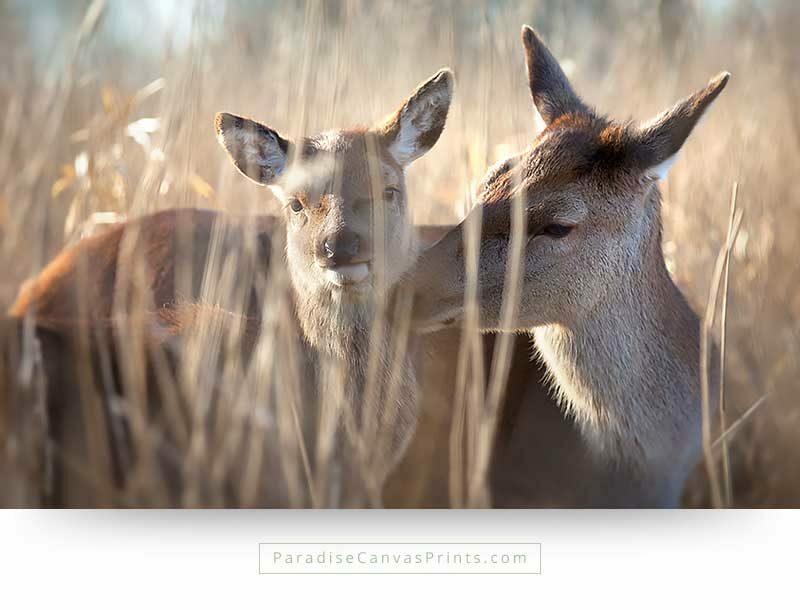 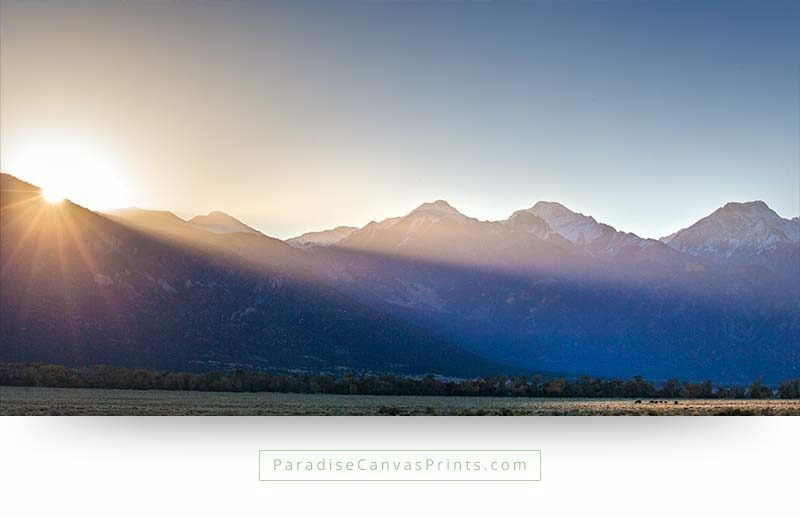 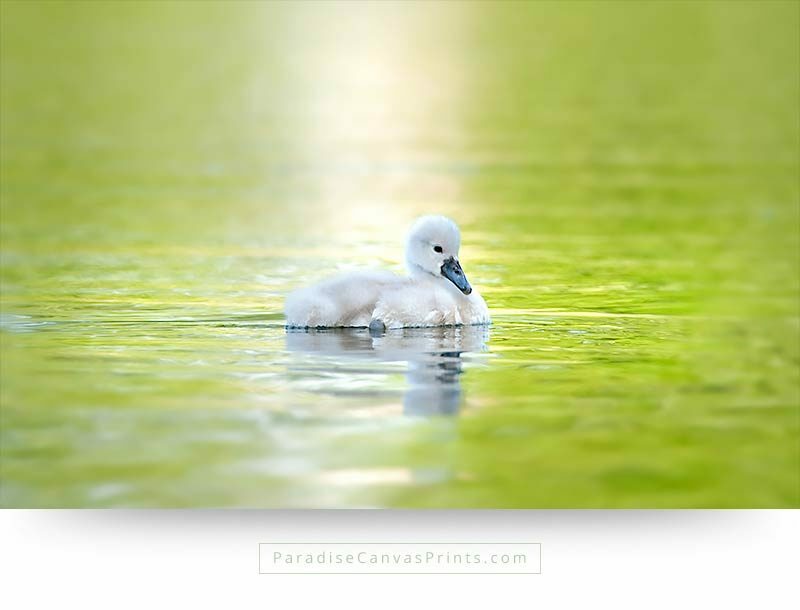 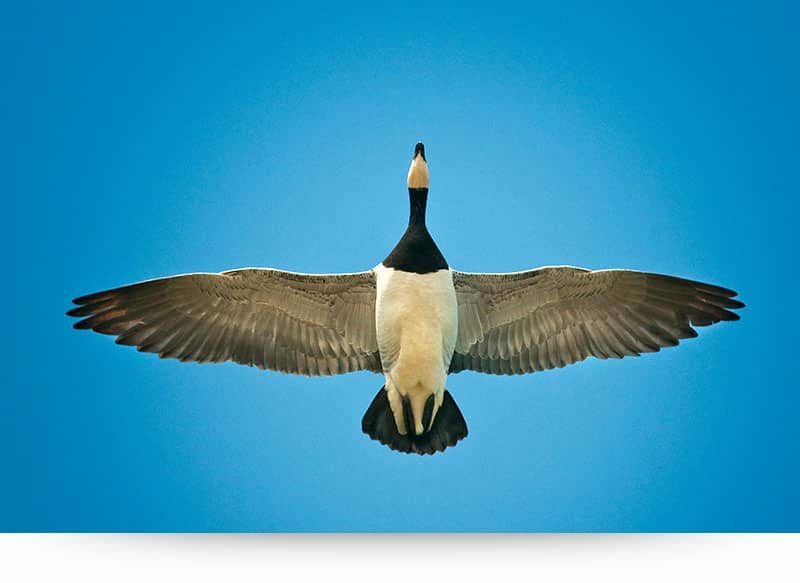 Buy this amazing print and enjoy the splendor of nature in your home, every day of your life. 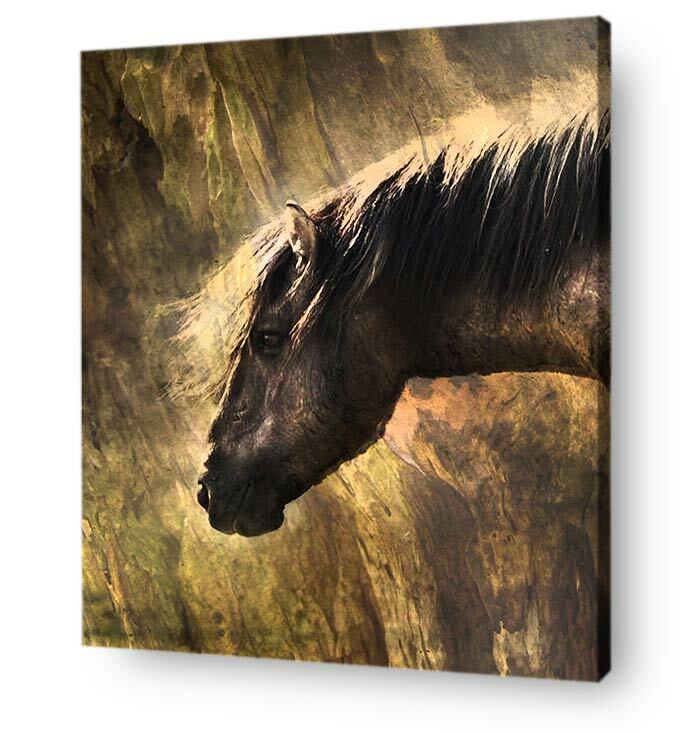 A canvas print with the beautiful portrait of a wild horse. 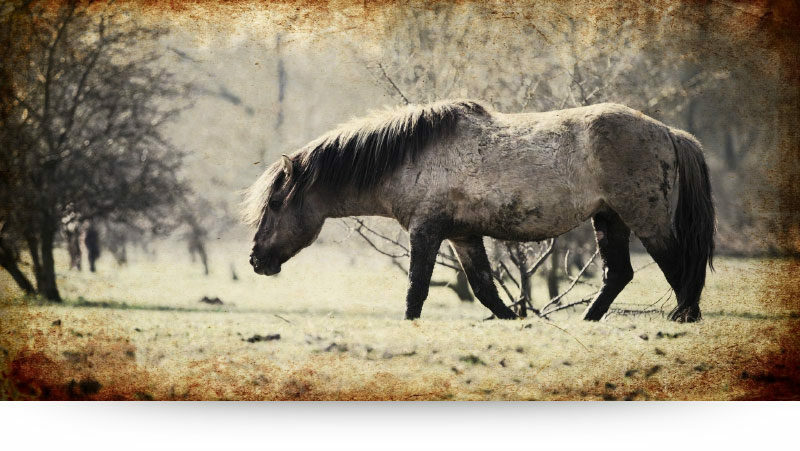 The background shows the texture of rough wood, to express the enduring strength of this courageous animal. 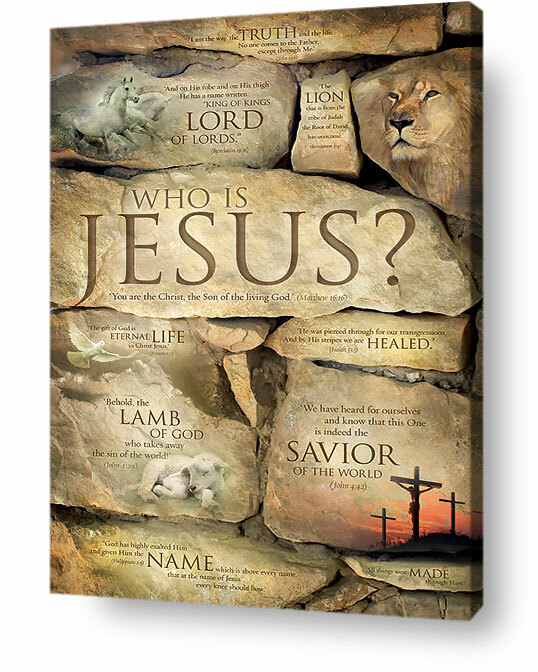 Christian wall decor showing the greatest expression of love mankind has ever witnessed: Jesus Christ became the Lamb of God, slain for the sins of the world. 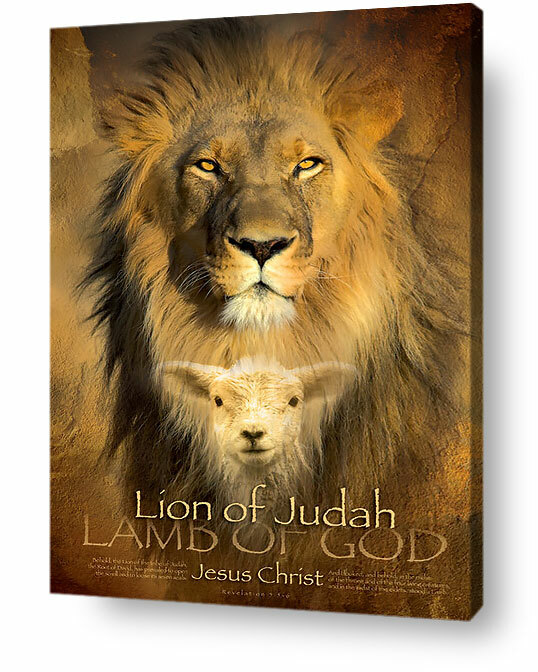 Through giving up His life, Jesus Christ became the highest authority in heaven and earth, hence the face of the lion, referring to the Lion of the tribe of Judah. 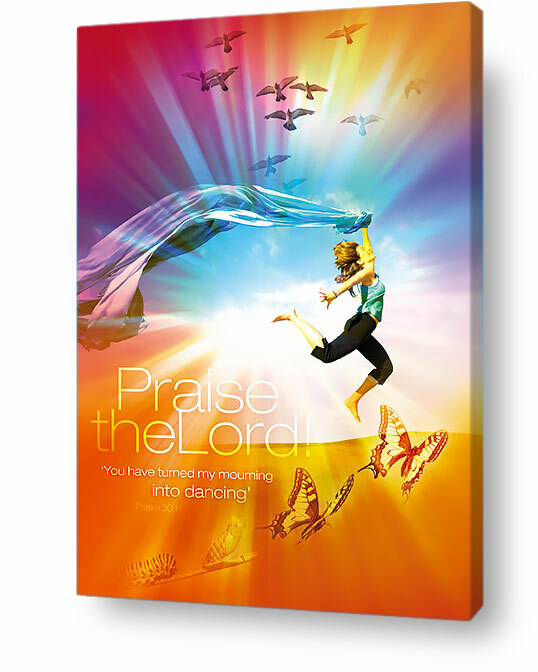 – With Scriptures! 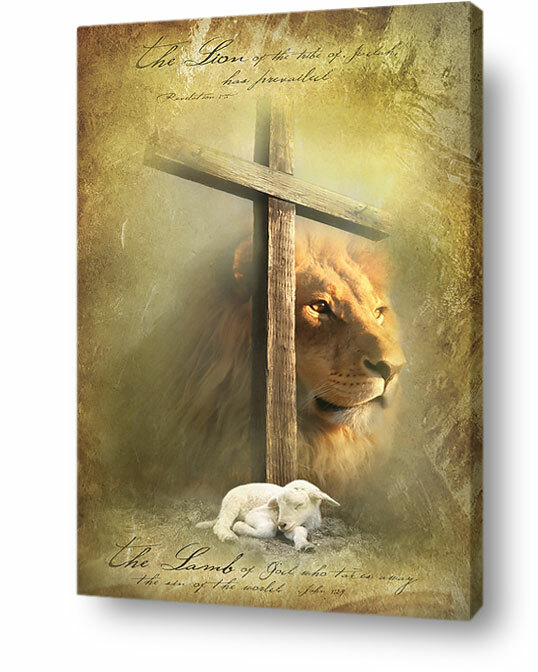 Beautiful warm Christian wall art of the Lion of Judah and Lamb of God. 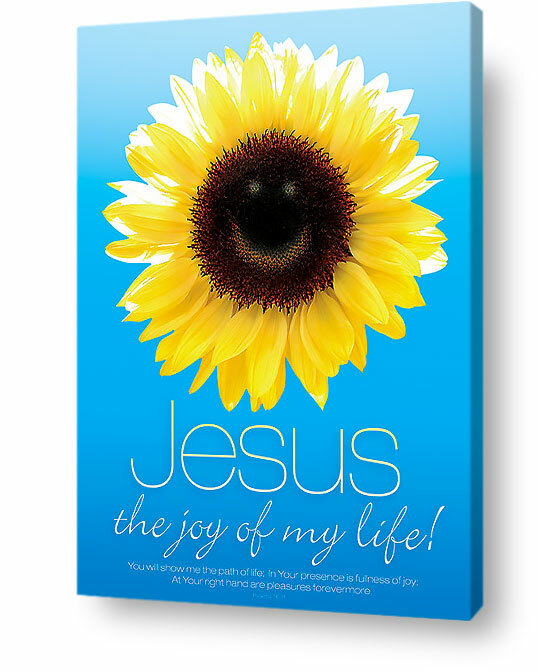 Jesus Christ is both of these. 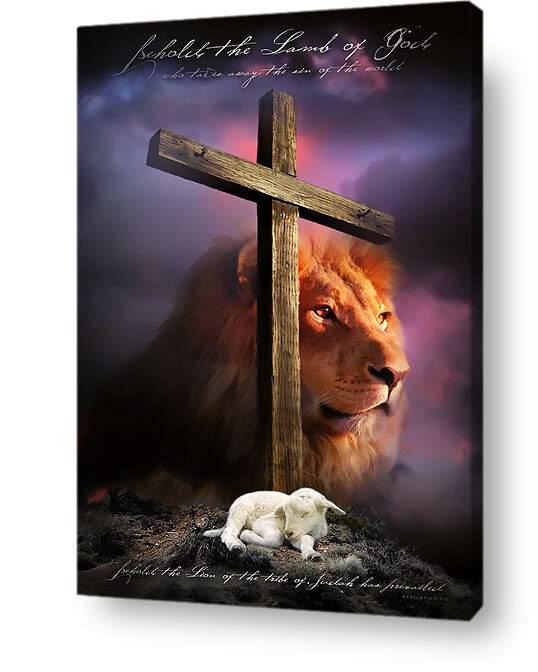 As a lamb He was slain for the sins of the world. 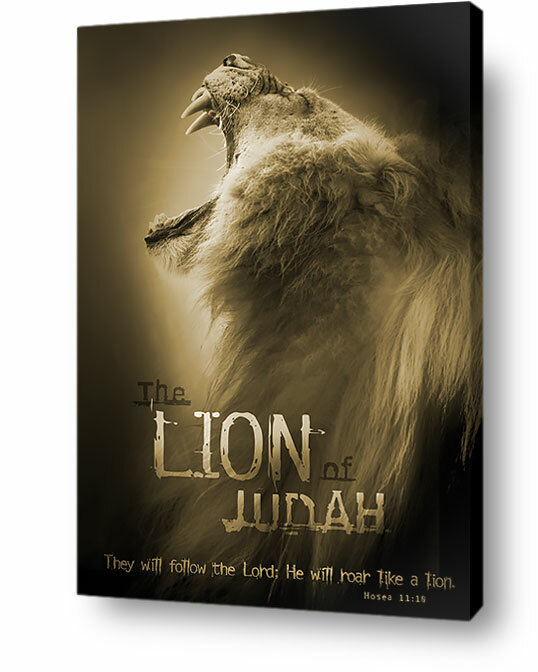 As a Lion He reigns forever as King of kings. 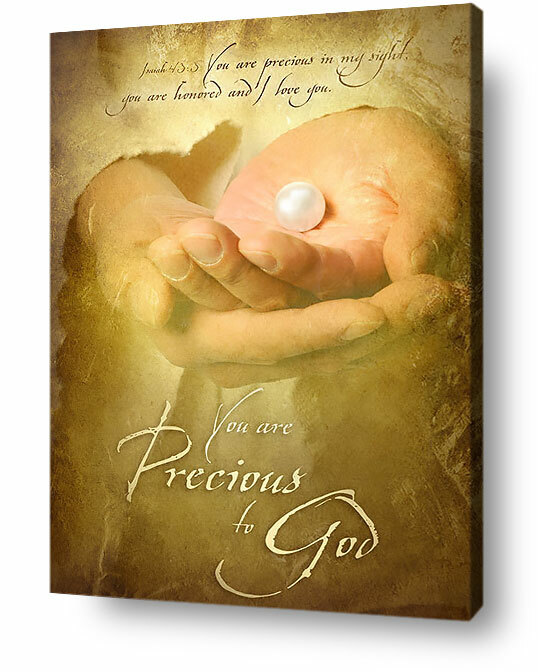 Christian wall decor expressing the passionate love of God for all of us. 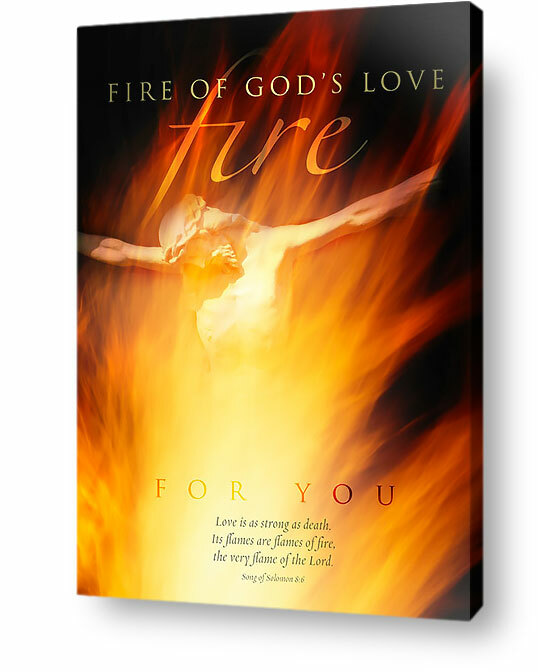 Despite our sins, God loves us with a consuming love that burns like fire. 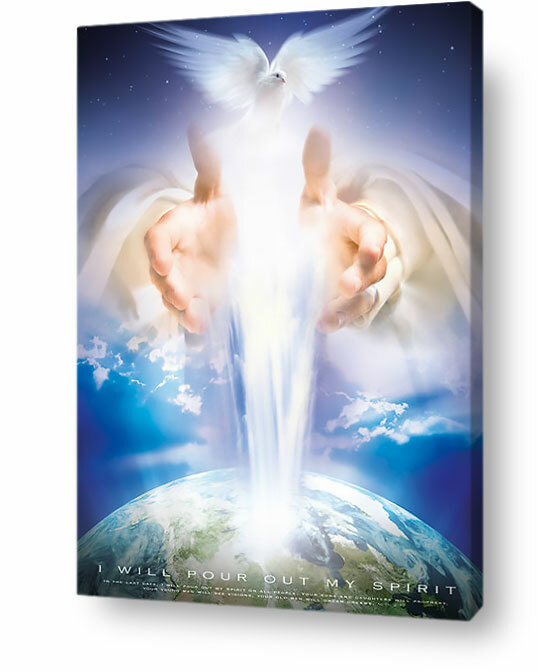 Christian wall decor showing the hand of God reading down to a person. 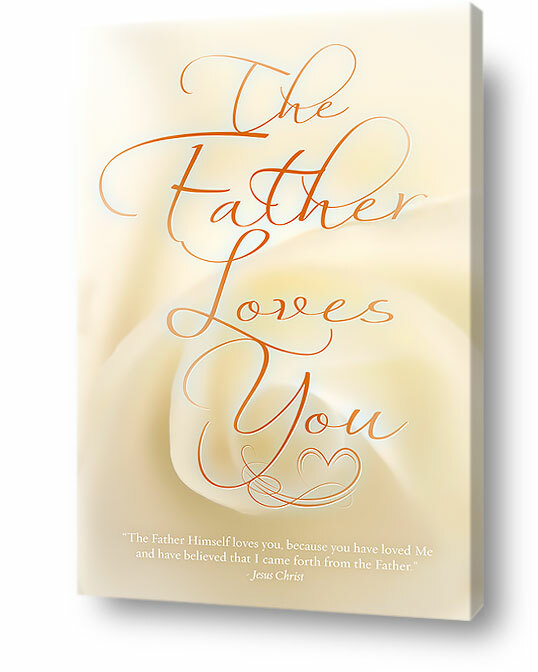 This expresses the overwhelming love God has for us. 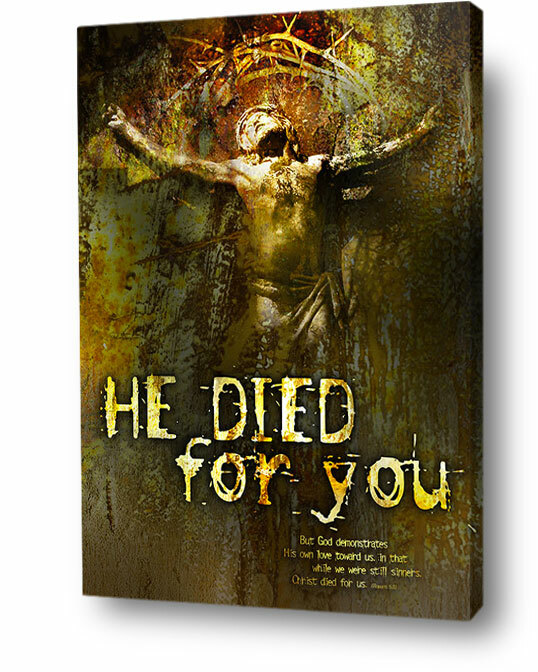 He gave everything He has, to reach us with His mercy. 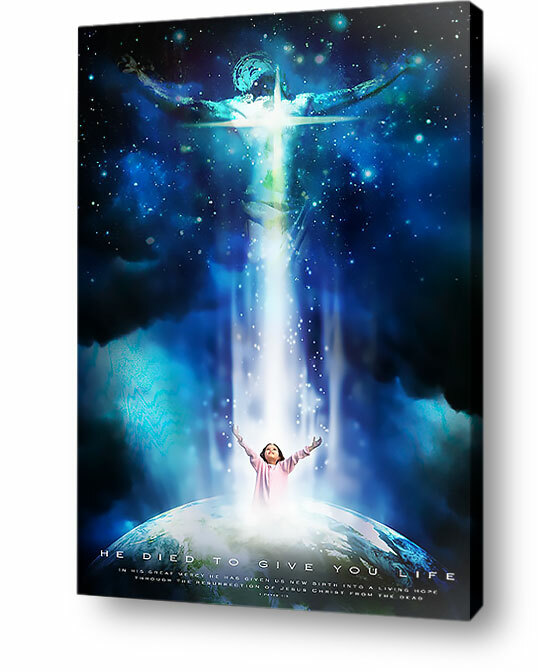 Christian wall decor showing the resurrection of Jesus Christ. 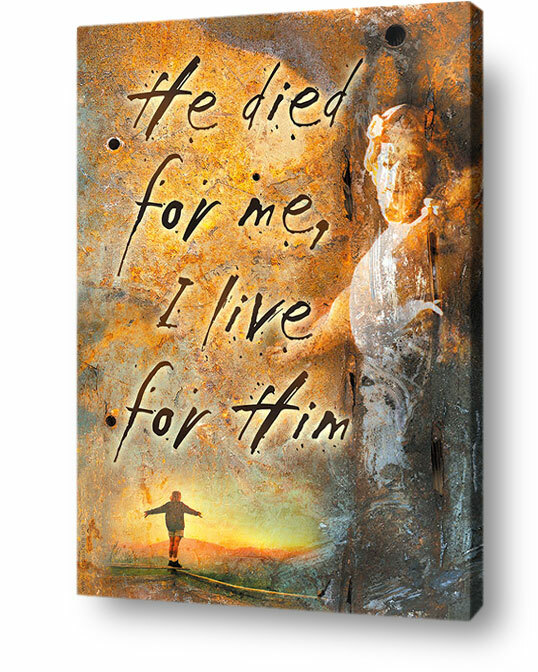 God became a man, just like us, and He took all our sins upon Himself, when He died for us at the cross. 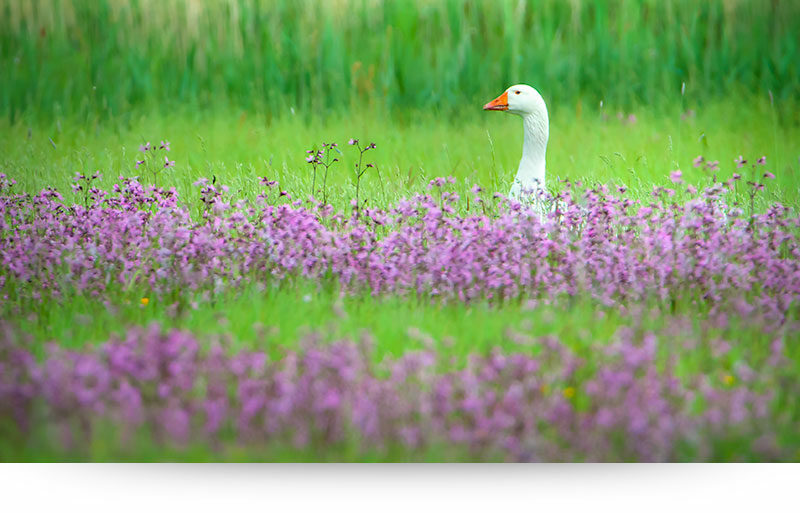 But He didn’t stay dead…. 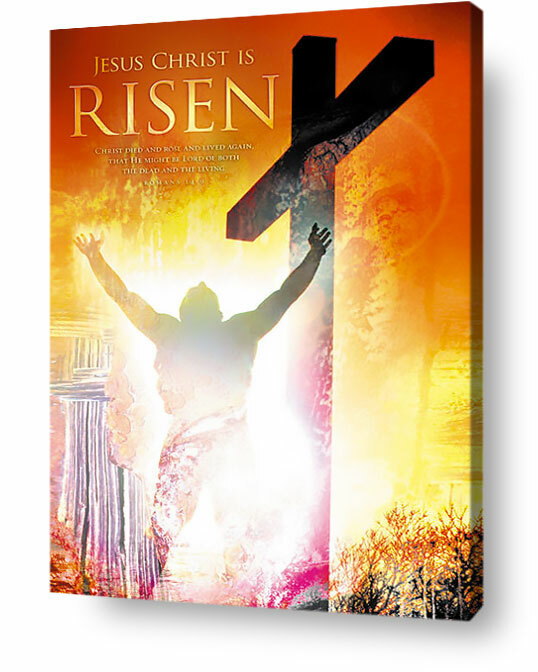 He rose again, and by doing this He gained victory over the power of sin and death. 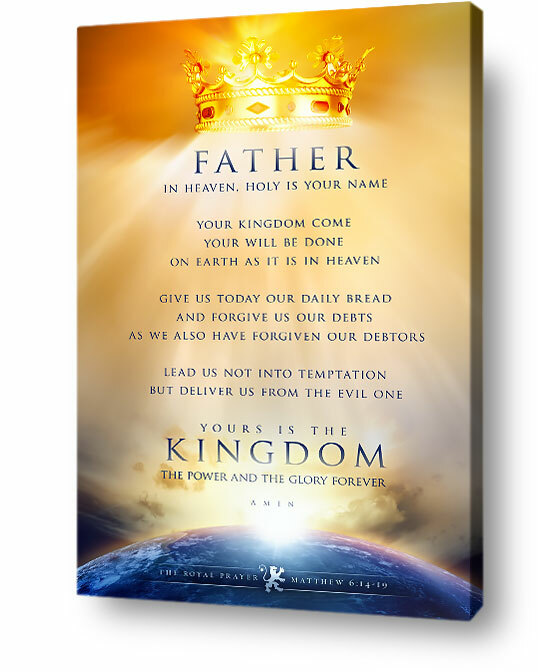 Christian wall decor about the eternal lordship of Jesus Christ, who is the King of kings and Lord of lords. 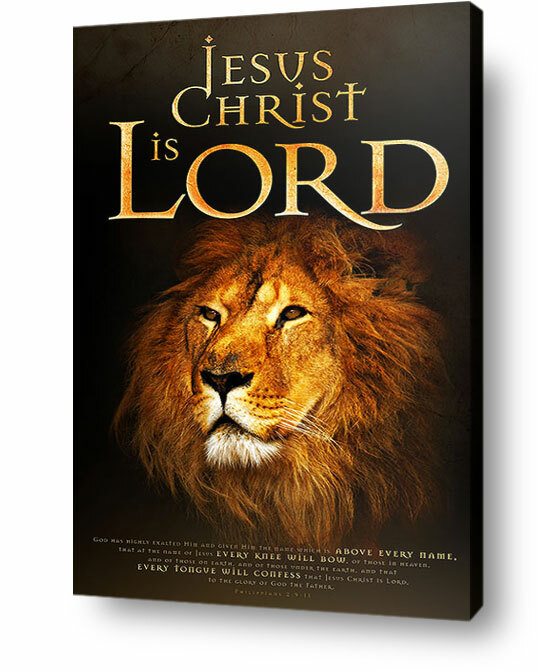 The lion is used in Scripture as a type for Jesus as King. 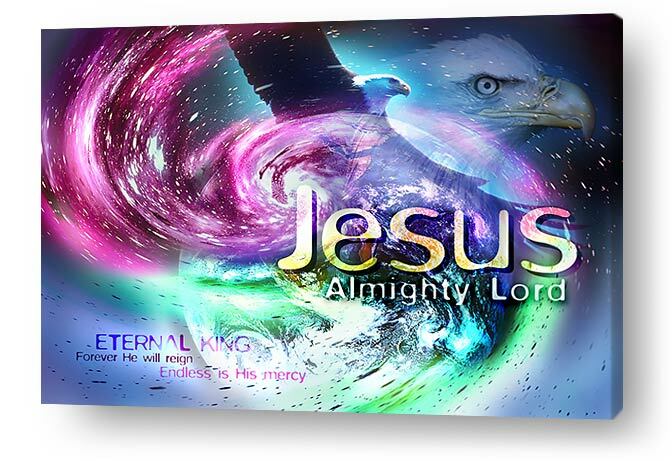 He has been exalted as the highest name, in heaven and earth. 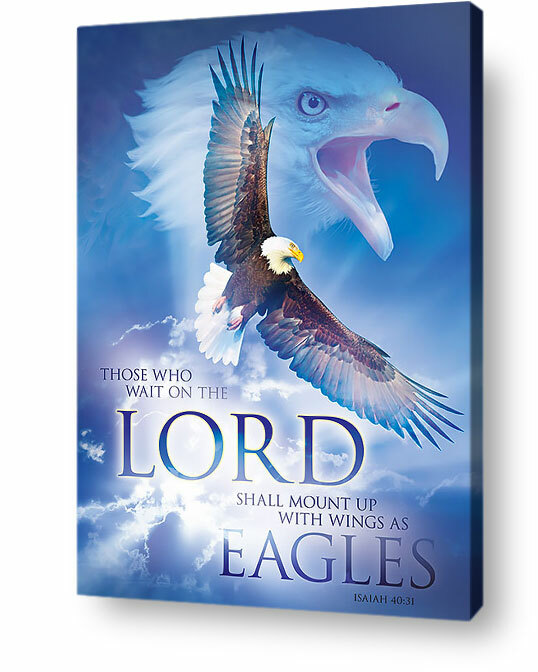 – With Scripture! 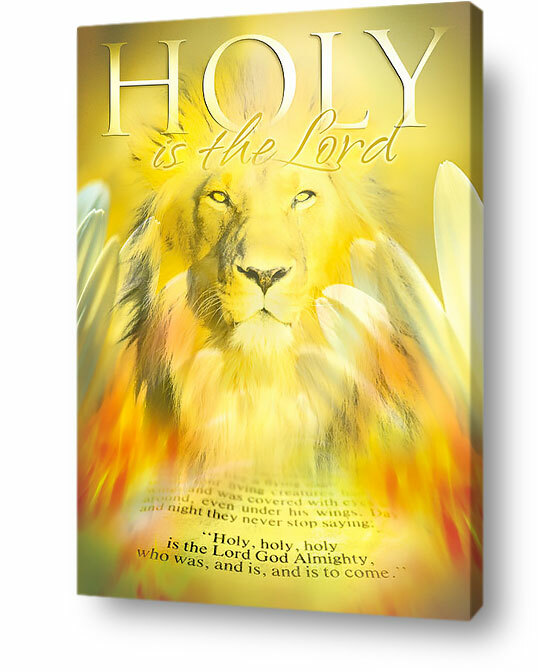 Christian wall decor showing the indescribable miracle of all time: the Word of God became flesh; God became a human being. 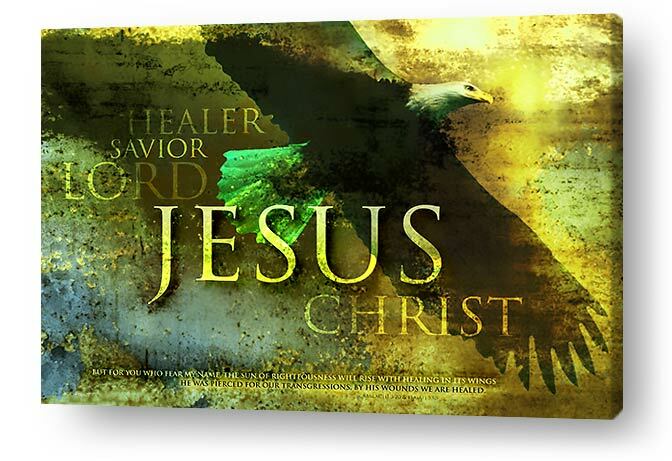 He revealed His great love for all mankind, and He gave His very life as a sacrifice for us. 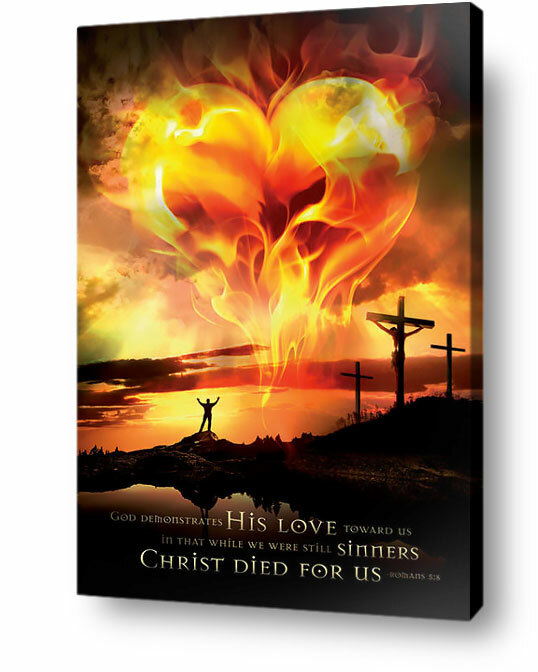 When we accept His love for us, we can be forgiven from all our sins and receive everlasting life. 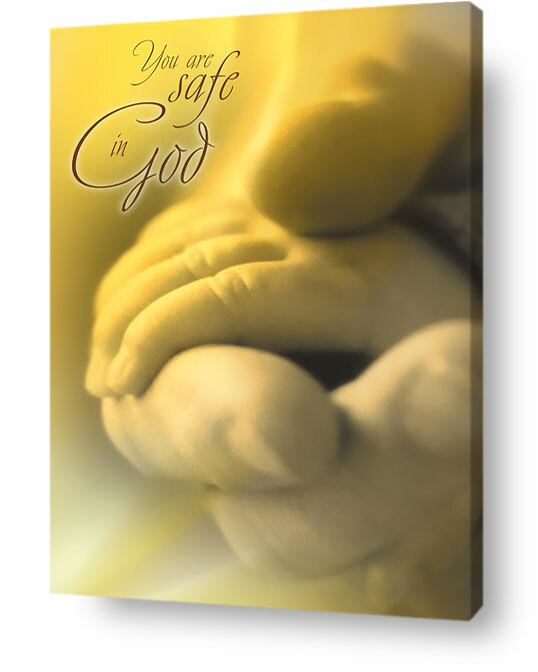 Christian wall decor showing the comforting hands of God, who holds us safe, in times of trouble. 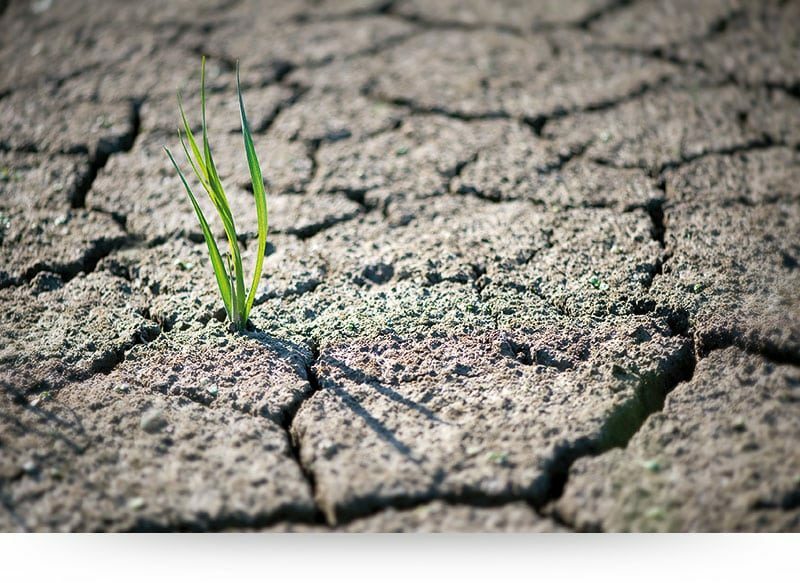 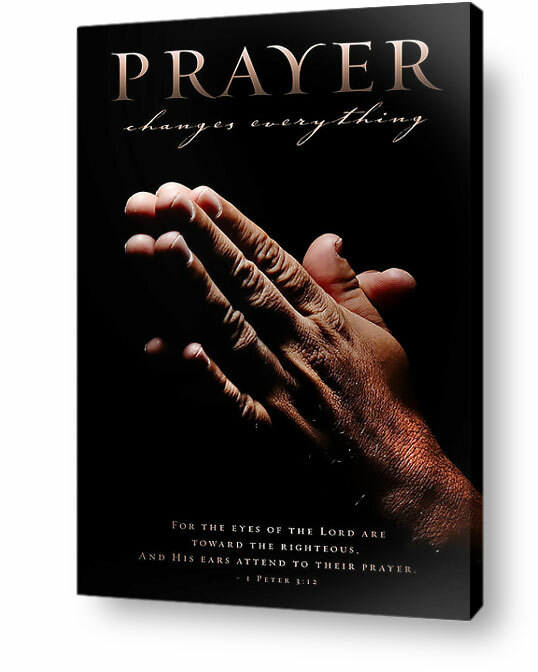 The Bible says God is a refuge for us when we go through difficult times. 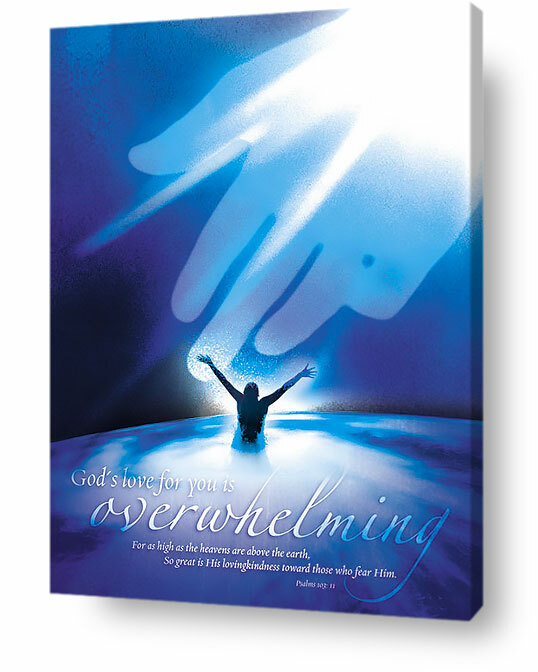 He keeps us safe, in the midst of the storm. 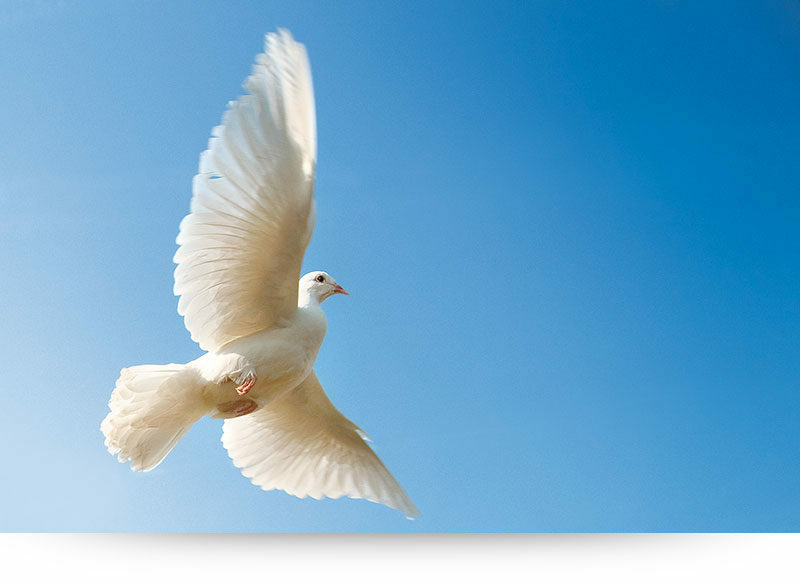 In His presence we find peace, comfort and hope for a better time. 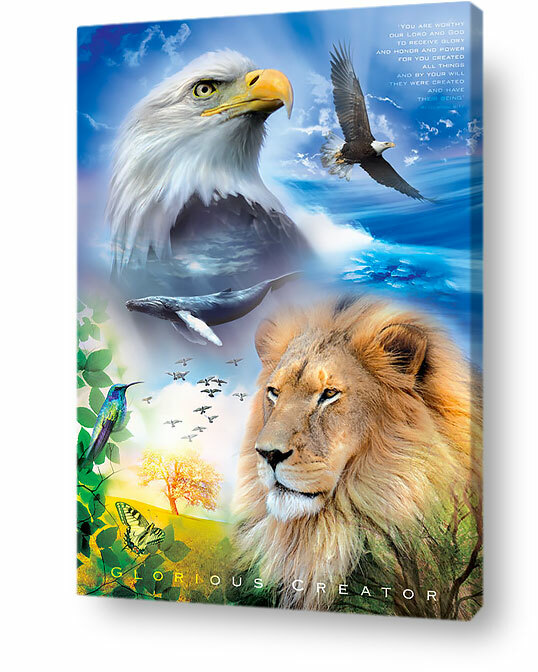 Christian wall art about God as our Mighty Creator. 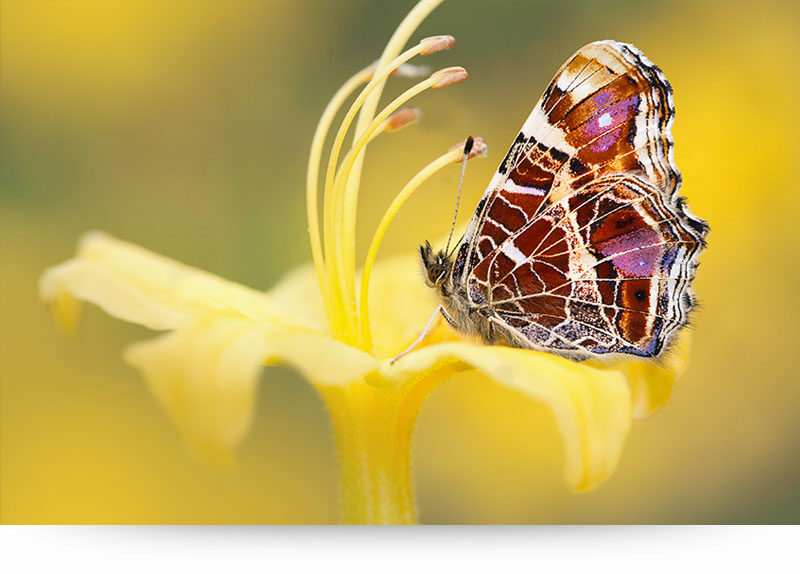 Knowing God as the creative one who designed all the beauty and majesty in our world, is something amazing. 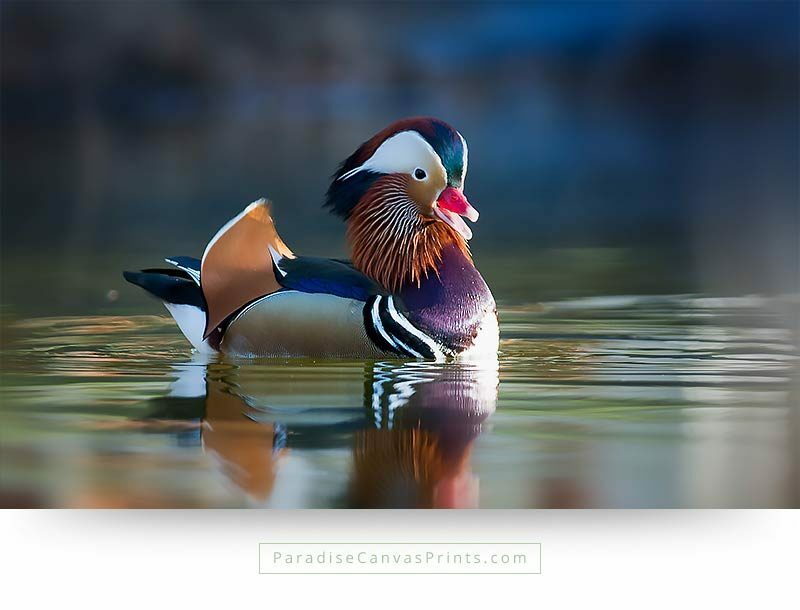 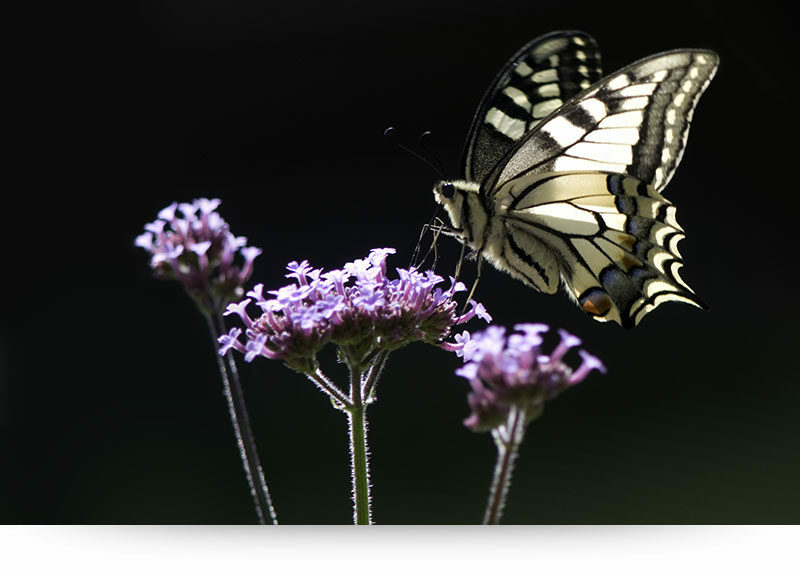 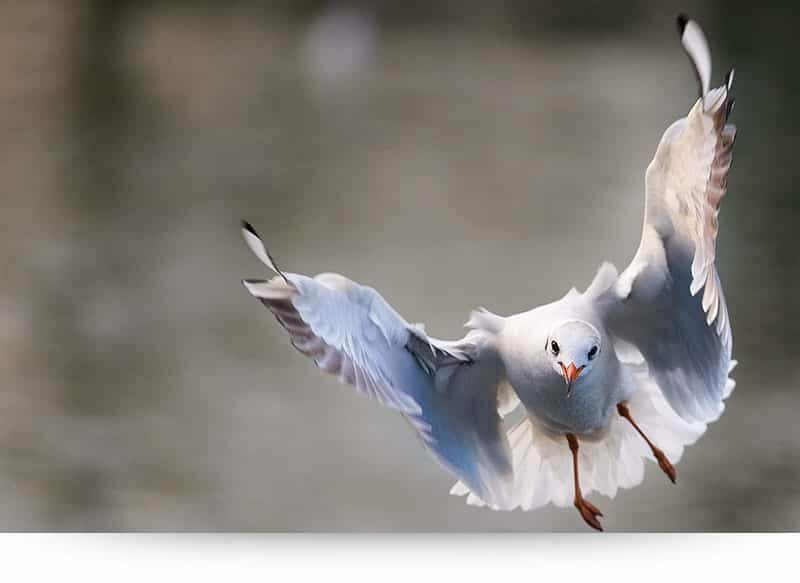 It shows us God is not some vague force in the universe, but a loving, smart and creative Person who loves to create beautiful and powerful creatures. 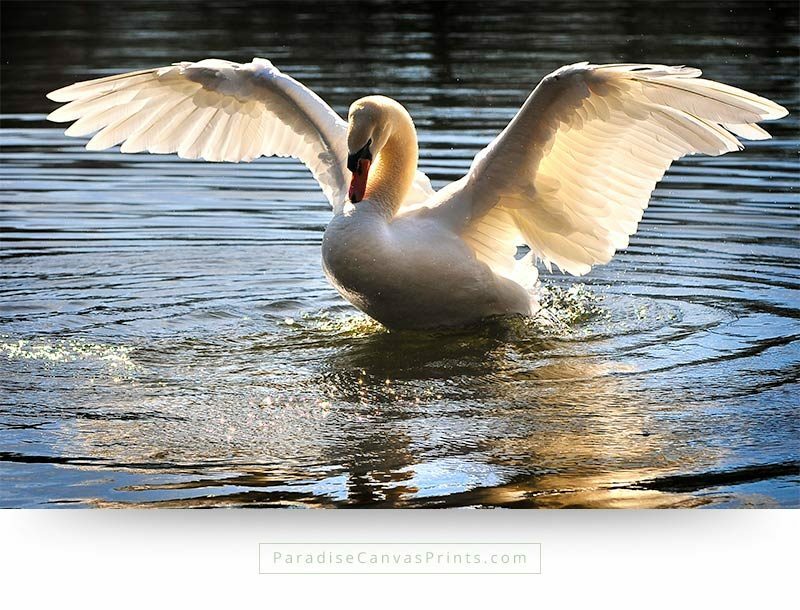 And what is really wonderful, is knowing that this almighty creator of heaven and earth designed YOU as His ultimate masterpiece, the crown of His creation. 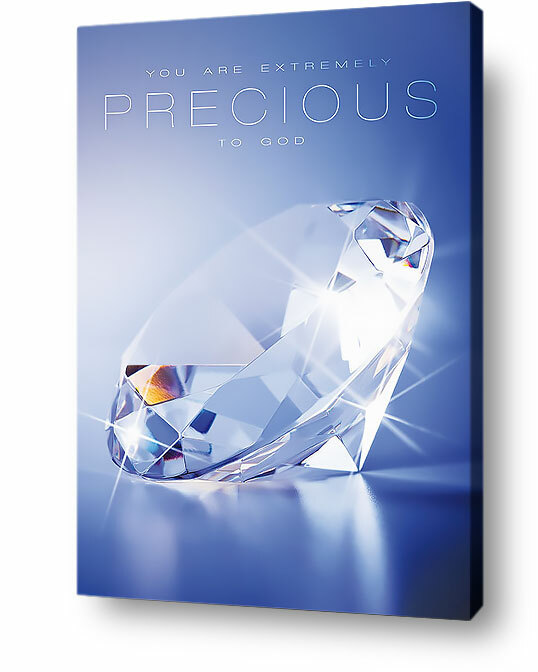 That’s how precious you are! 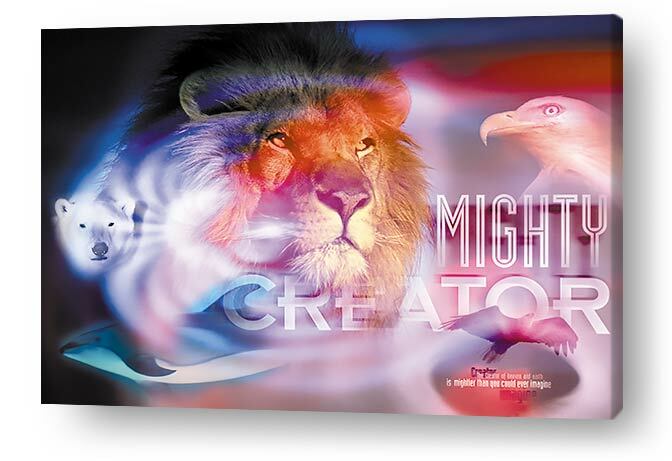 Be inspired by the eternal greatness of our Mighty Creator, with this unique Christian wall art. 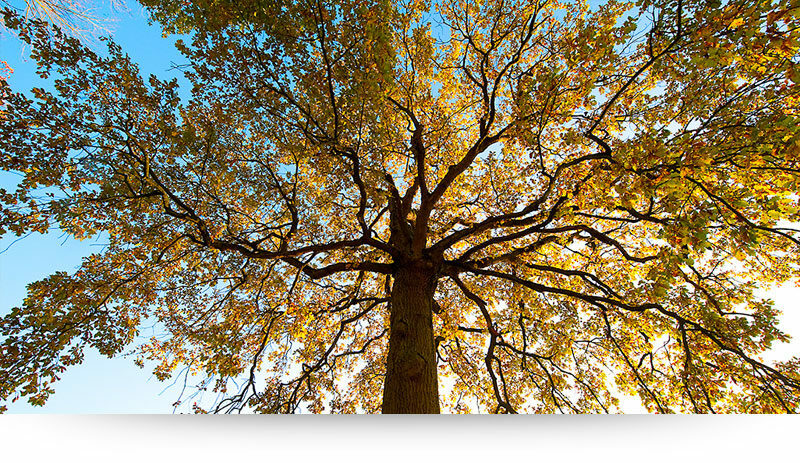 Trees are the jewels of a landscape, said my wife recently. 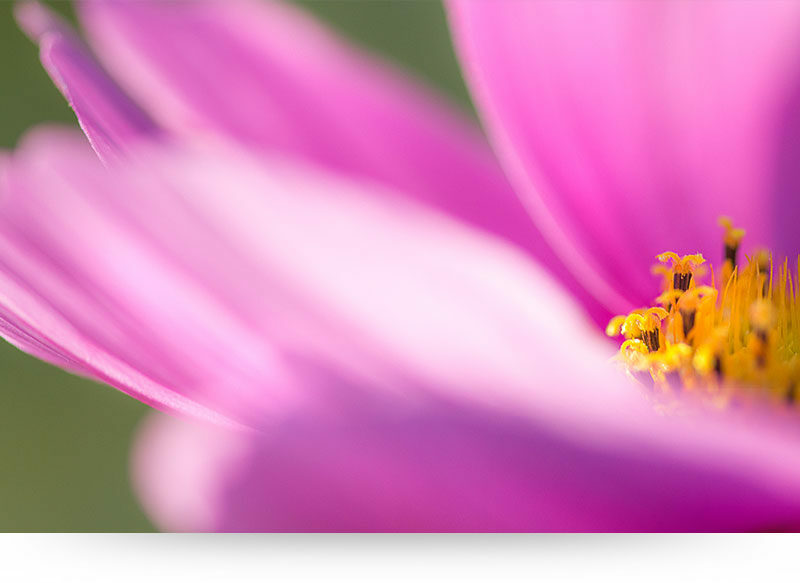 I had never looked at it that way. 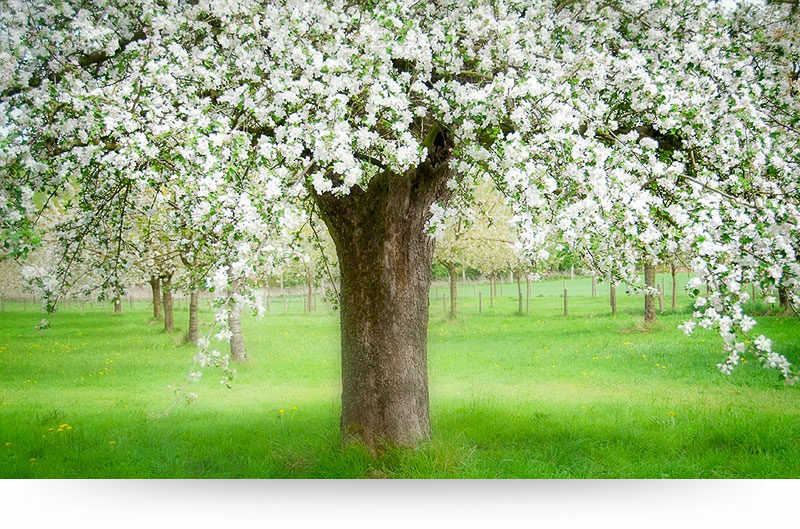 But the more I think of it, the more I believe her poetic remark is true. 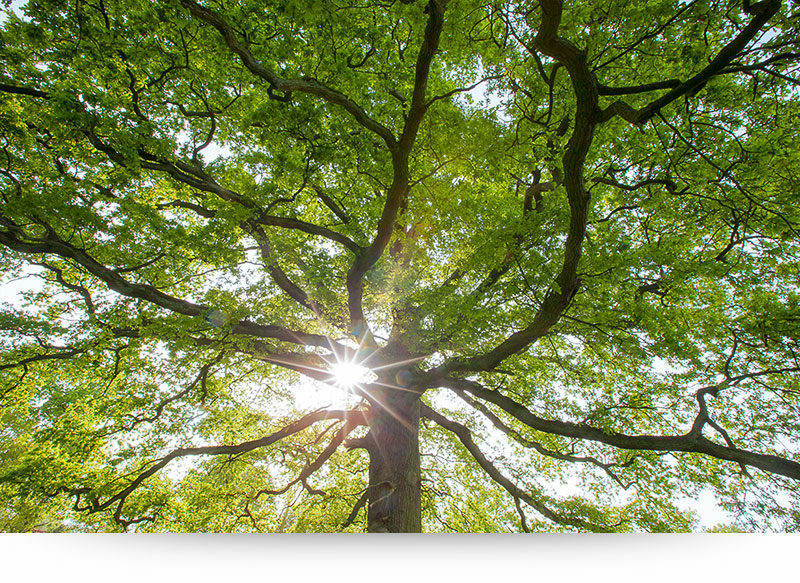 What would the world be without trees? 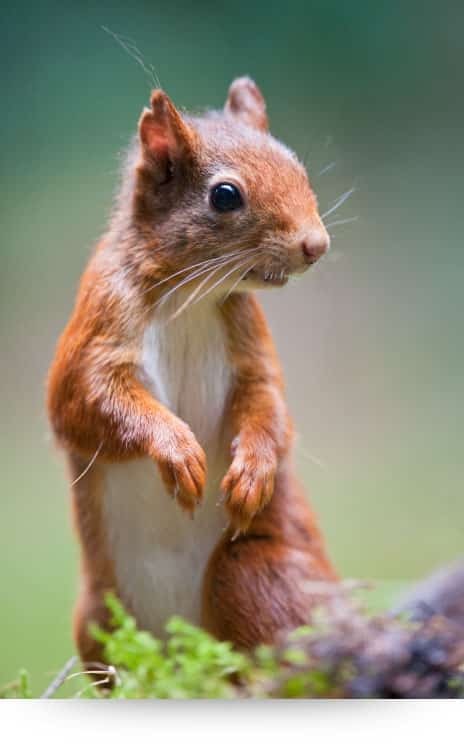 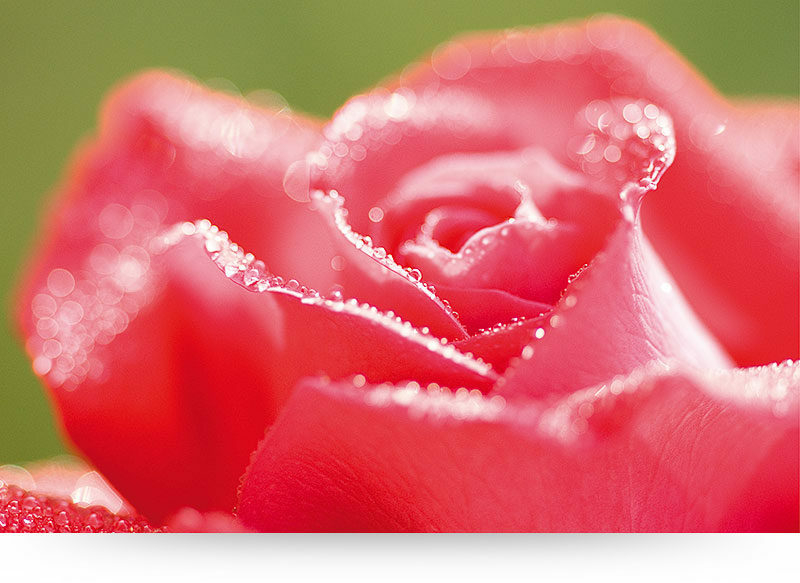 Like the bare neck of a woman. 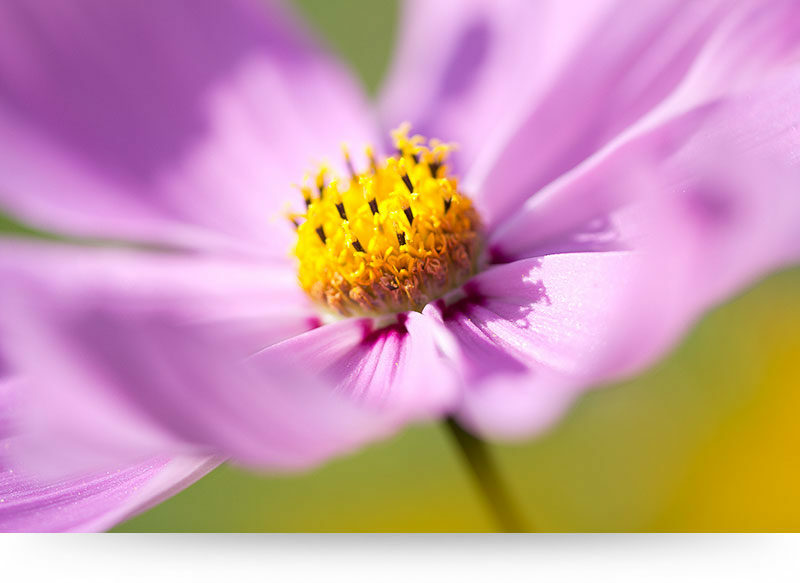 Still beautiful, but naked. 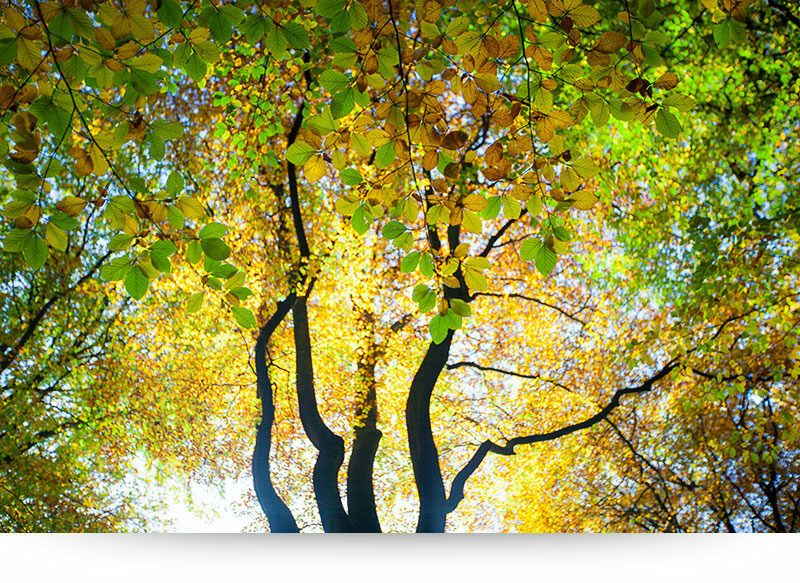 Here you see some of the trees I photographed, in every season of the year. 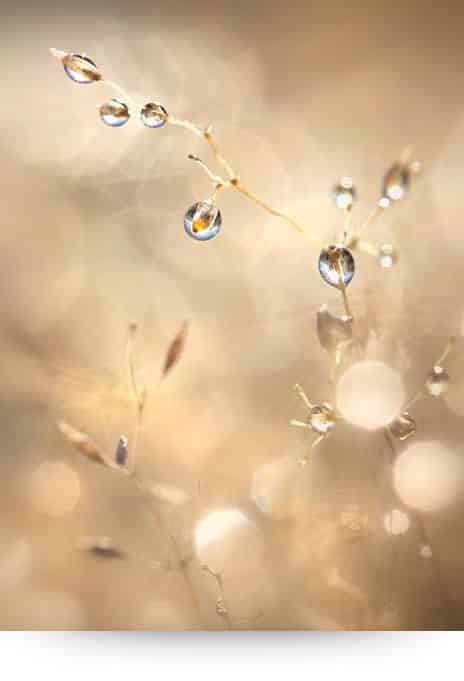 Û÷This is so strangeÛª said my 12 year old daughter Shira, Û÷I didnÛªt know dewdrops can be so beautiful! 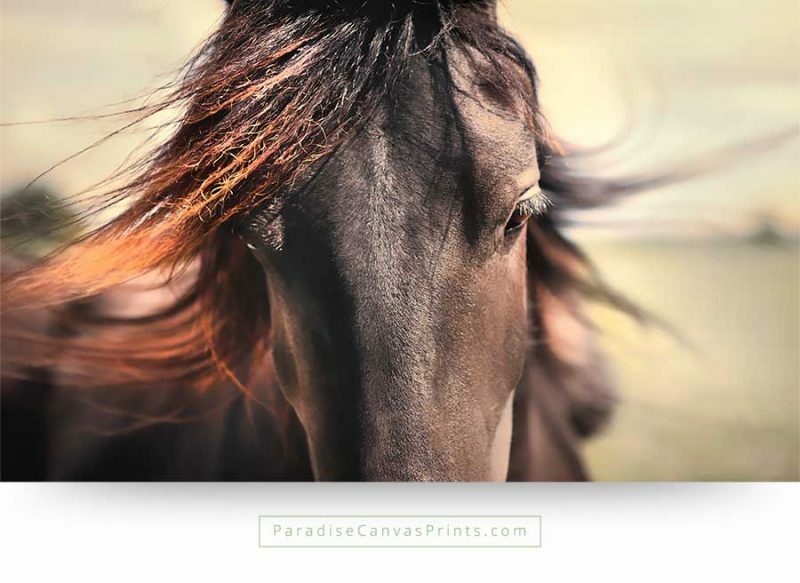 When you see them from above, they look so ordinary, but in these photographs they are incredible!Ûª She nailed it. 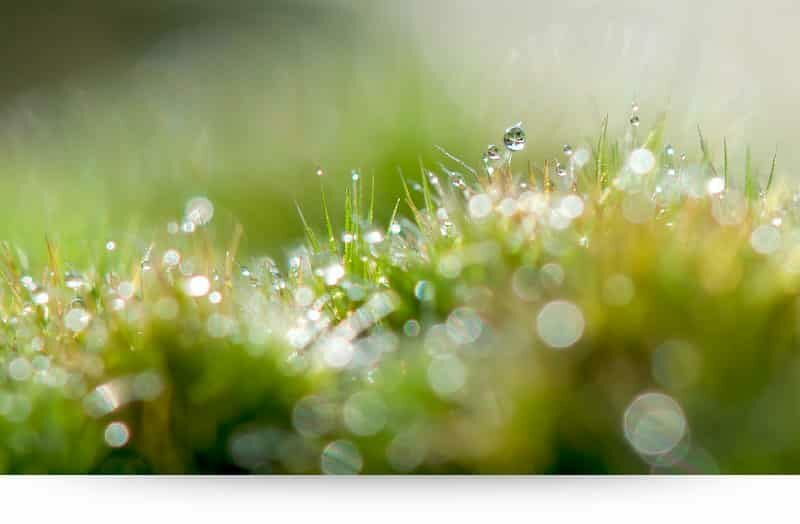 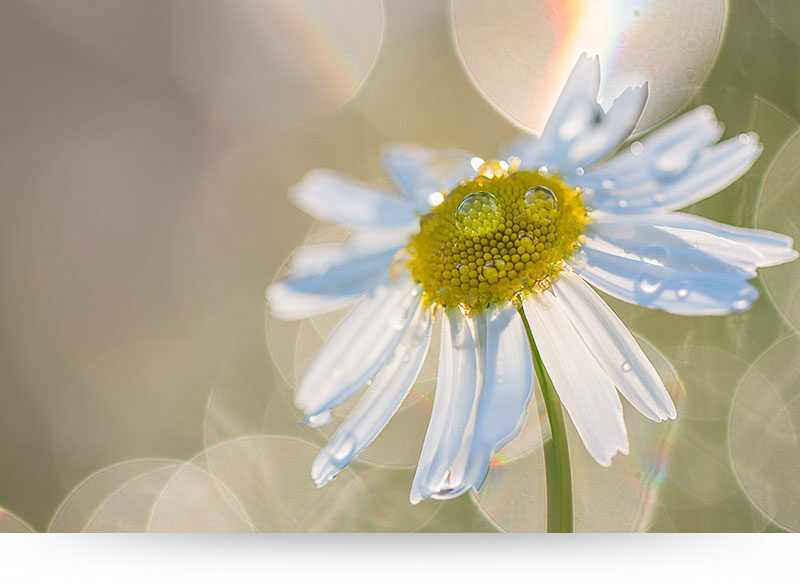 Dewdrops are like little diamonds in the grass. 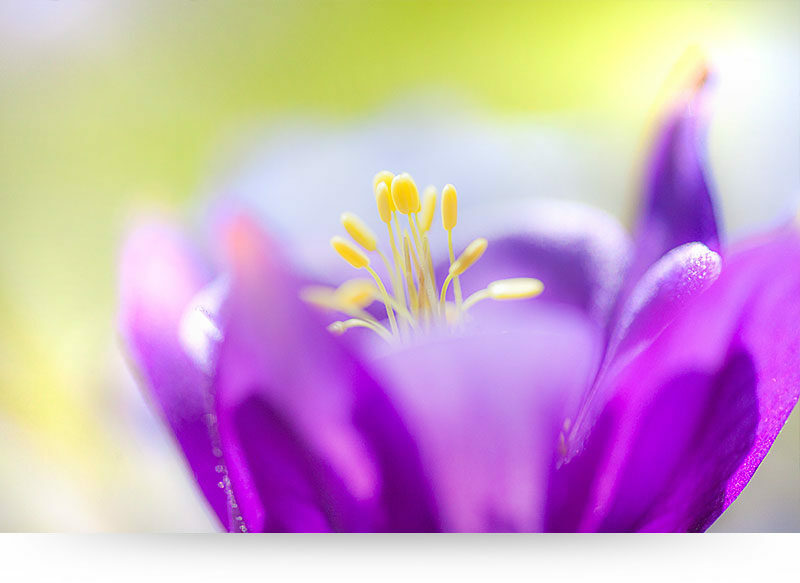 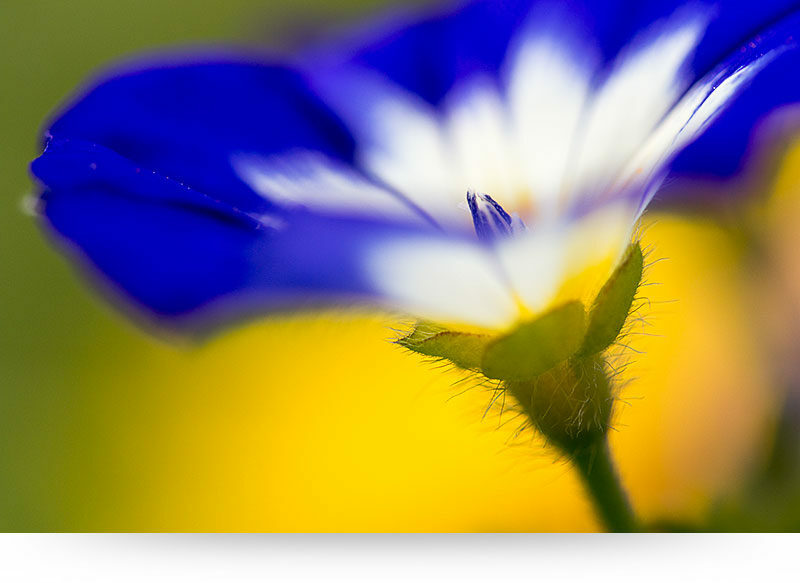 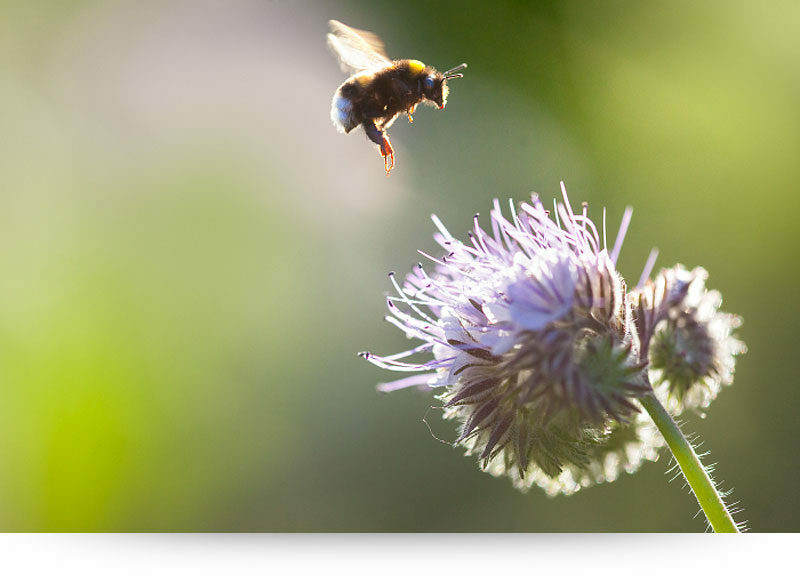 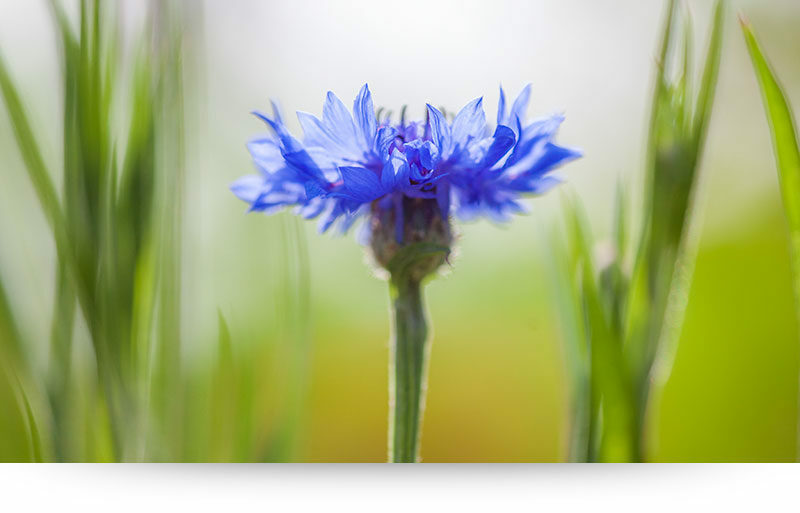 With a good macro lens and a decent camera, you can discover beautyåÊeverywhere. 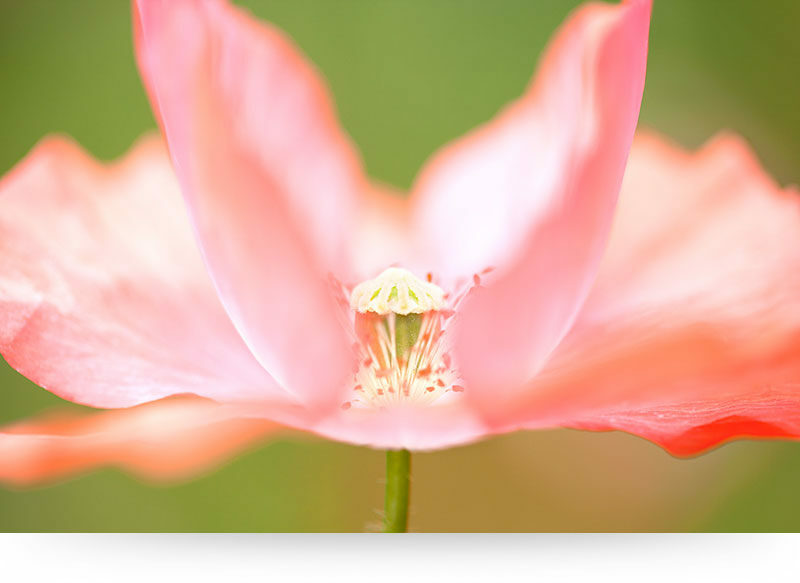 Hidden for the eye, but revealed to those who look a little closer. 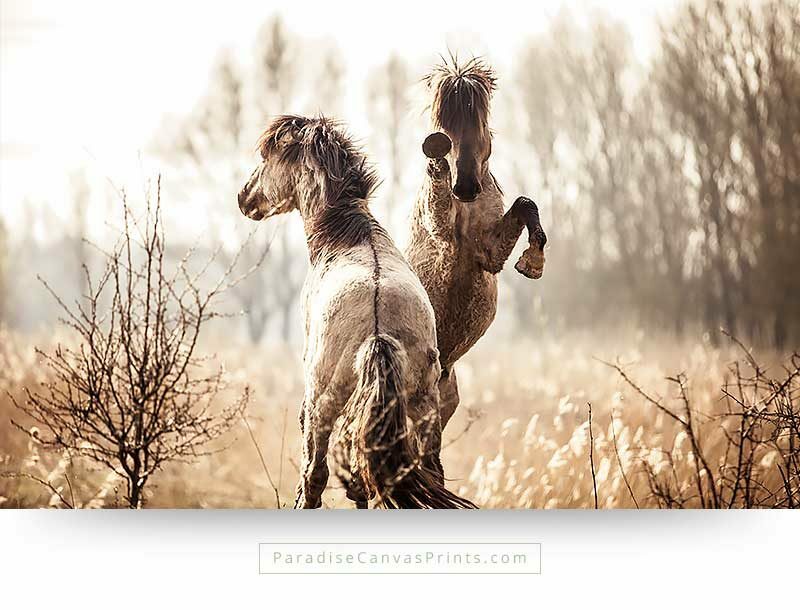 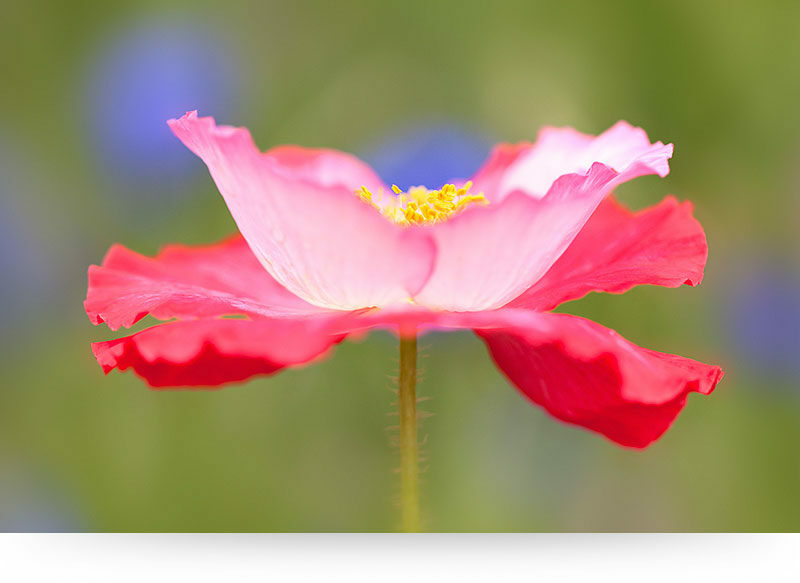 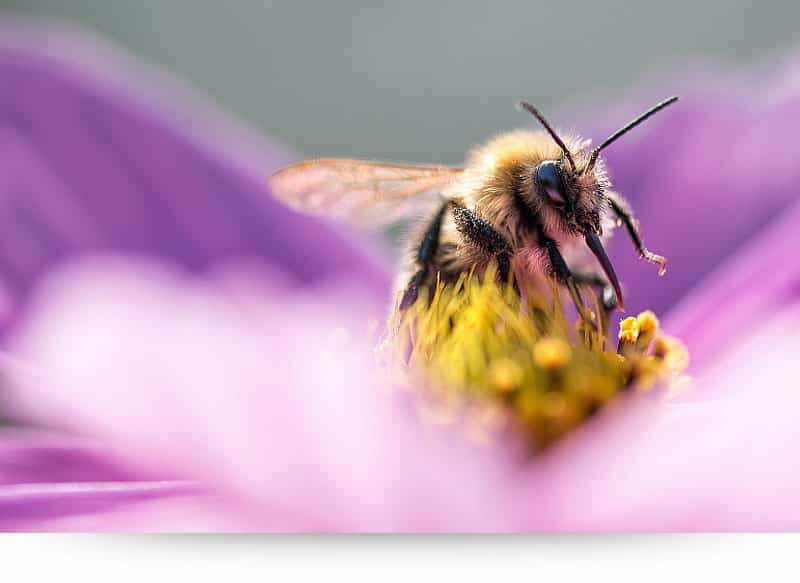 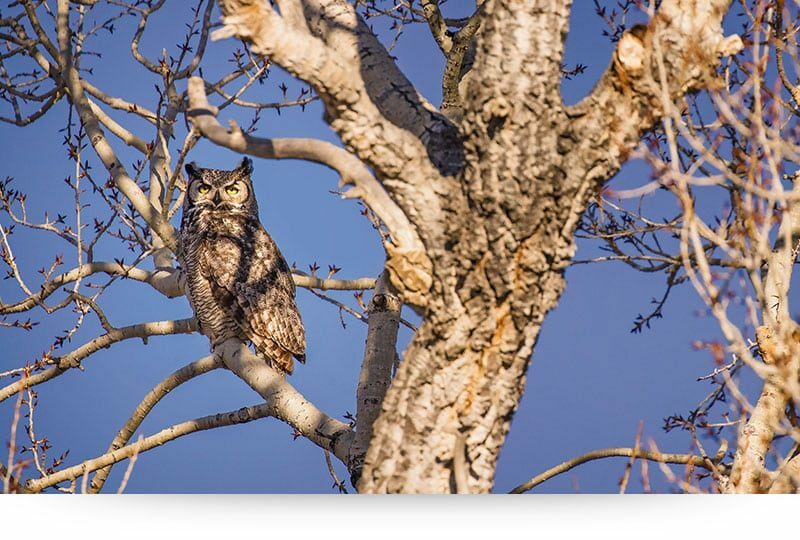 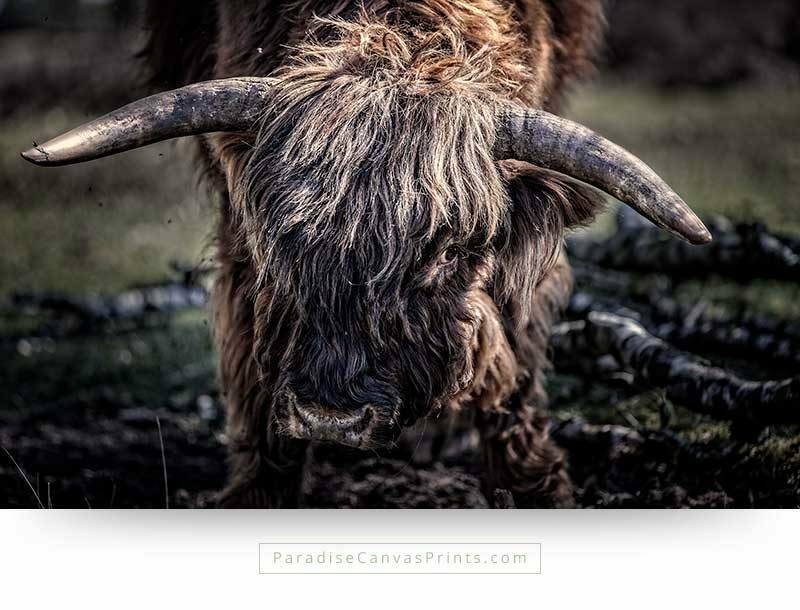 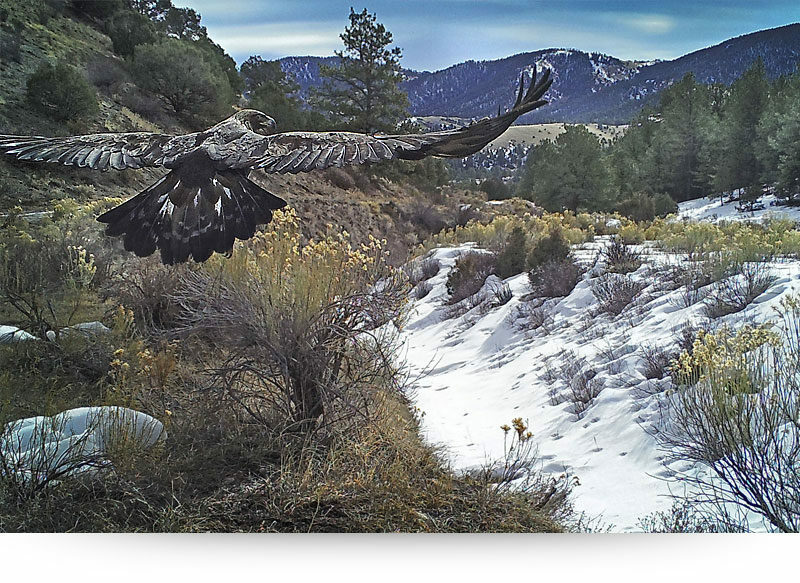 With these brilliant photographs from David Sorensen you can now enjoy this wonderfulåÊbeauty in your home. 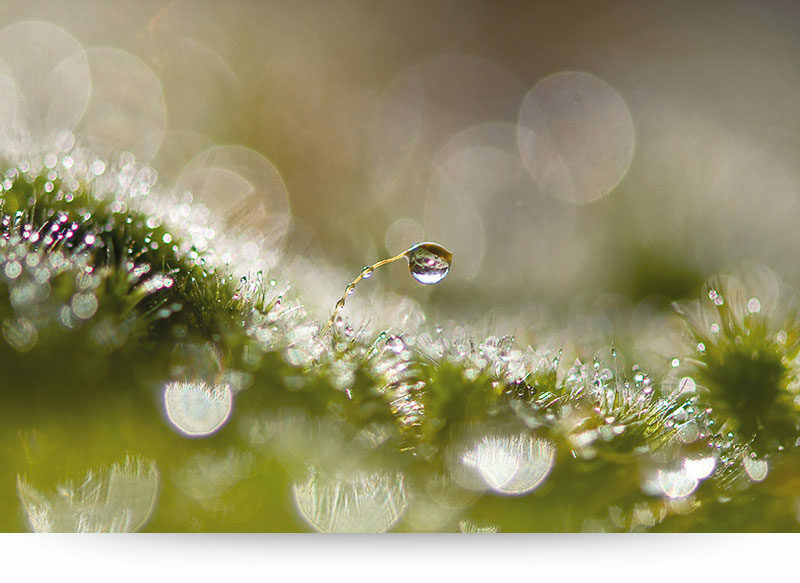 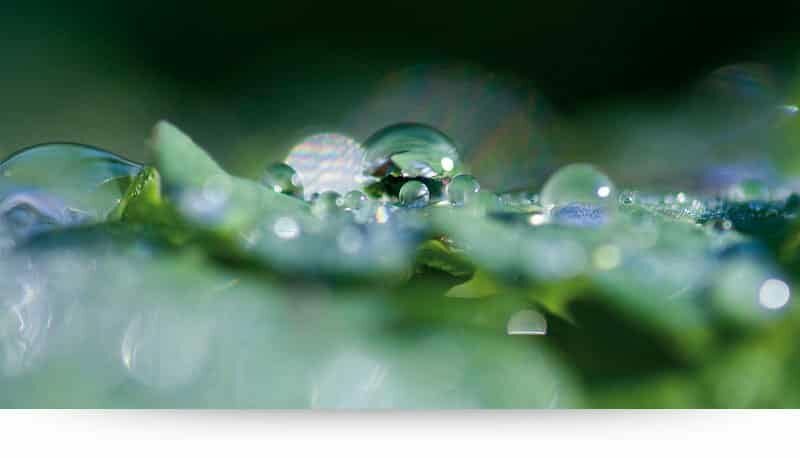 This photograph off dew drops was taken with the very first macro lens I ever held in my hands. 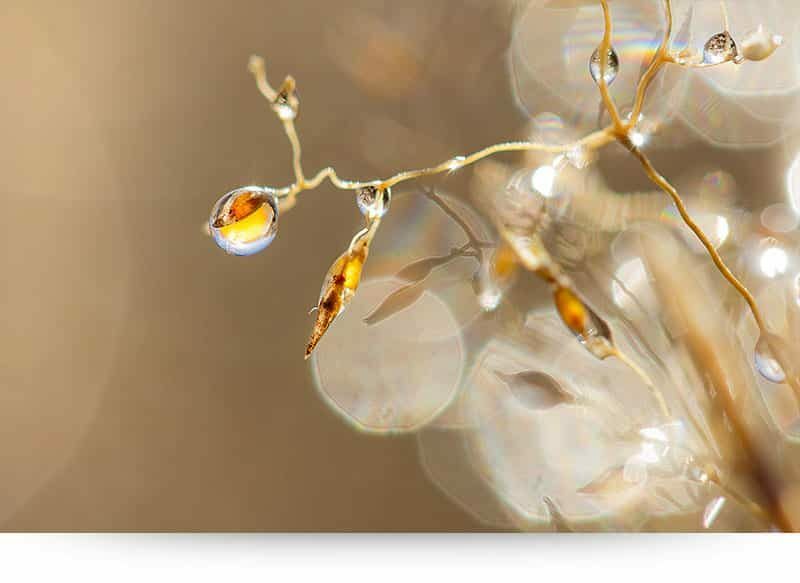 I had no clue what I would see, but the moment I sunk my knees in the mud and pointed the lens toward the fallen leaves, my heart leaped. 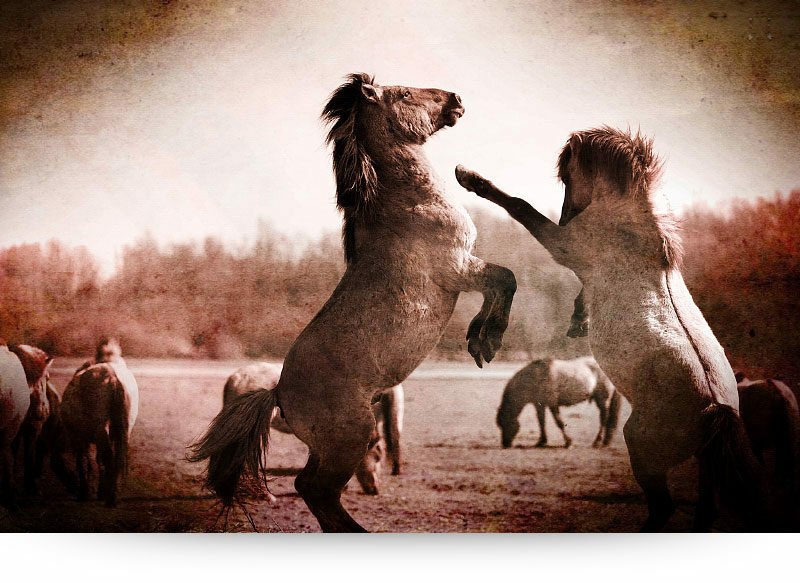 ‘WOAH! 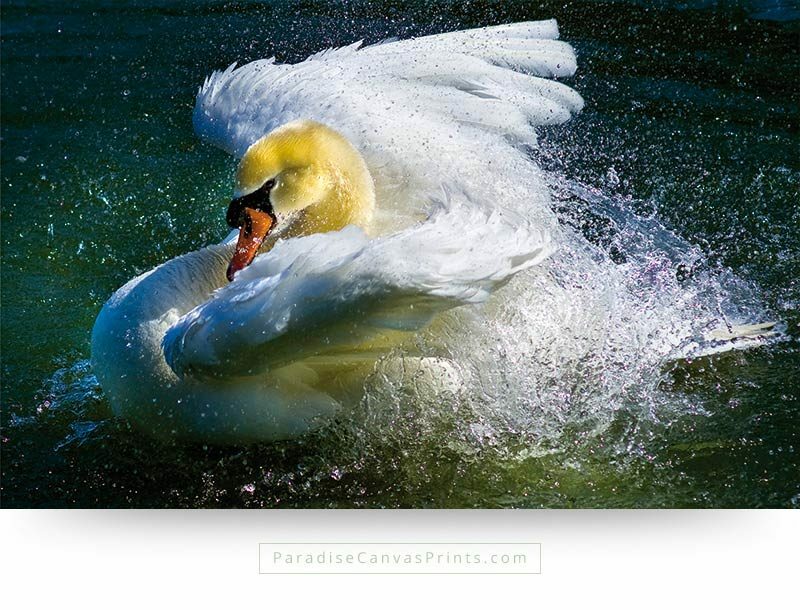 This is art!’ I shouted excitedly. 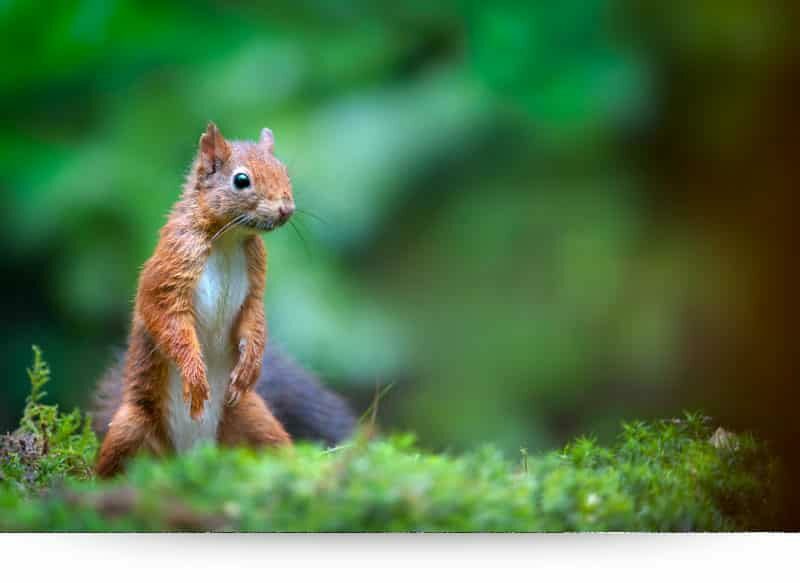 A man passed by and asked what I was doing. 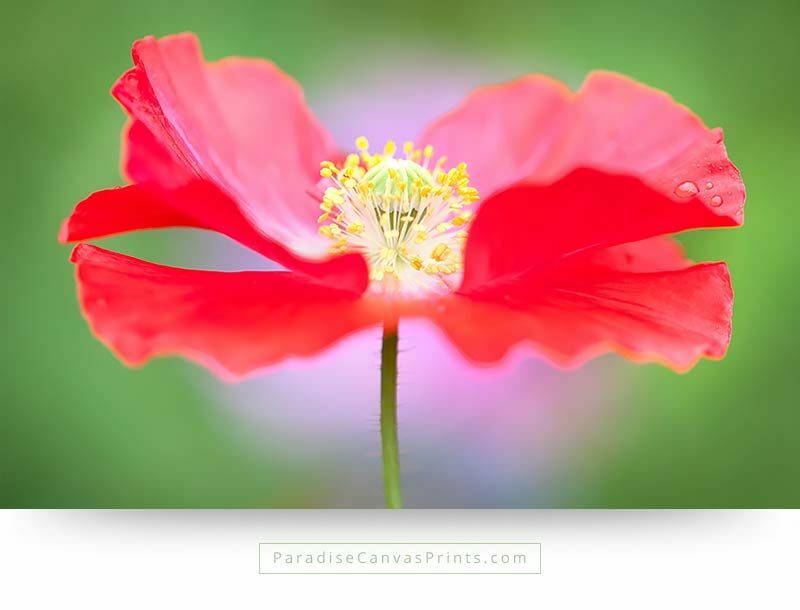 ’I am photographing the most amazing works of art!’ I replied thrilled. 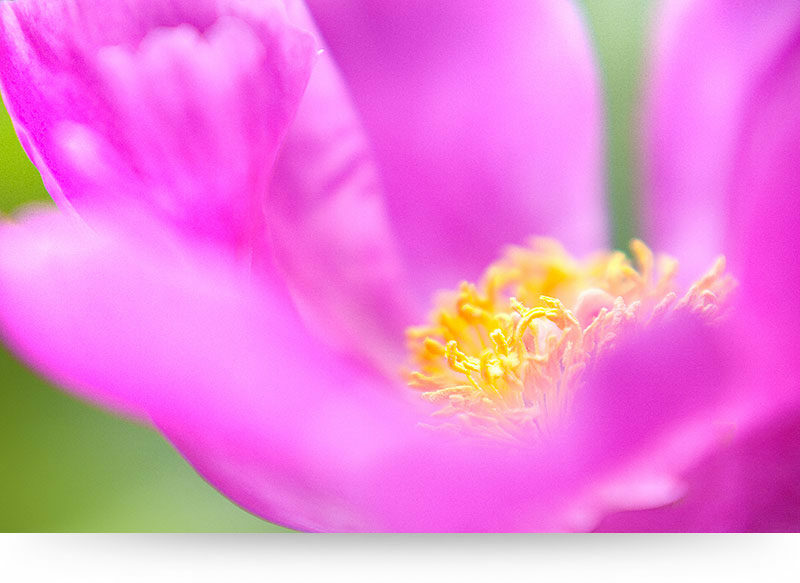 When he saw the picture on my camera’s LCD screen, he agreed. 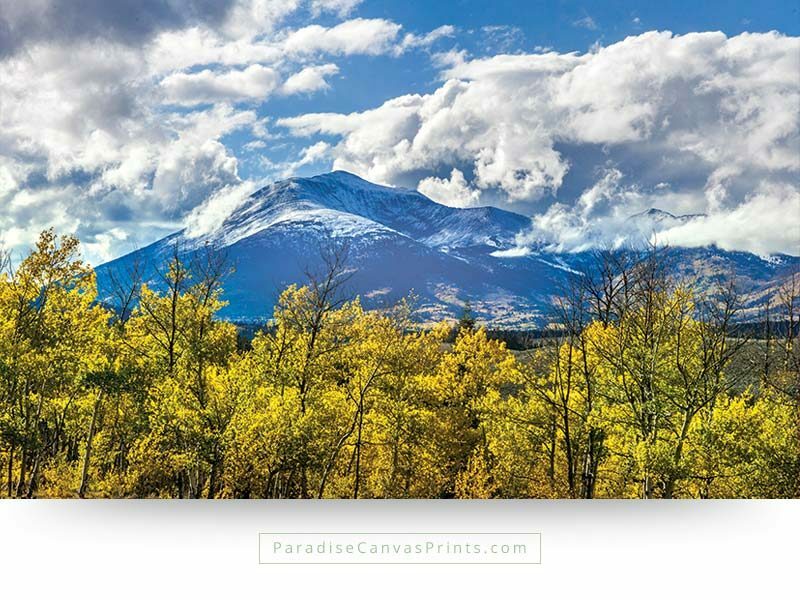 Buy this unique work of nature’s art, and bring Paradise into your home!